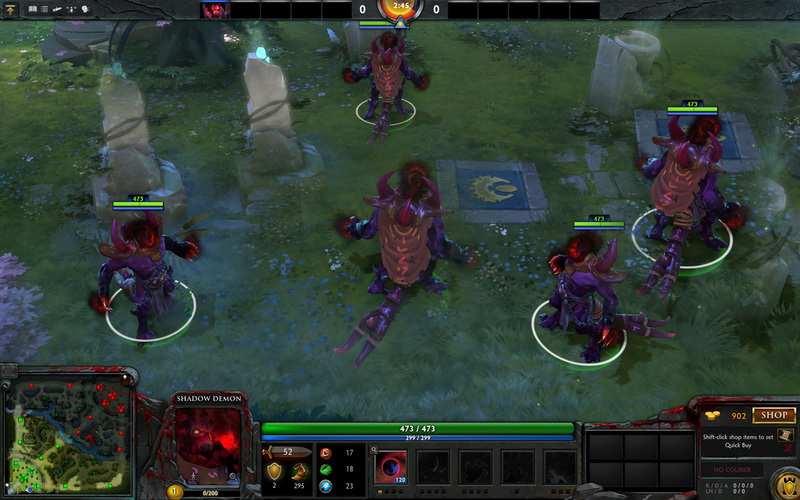 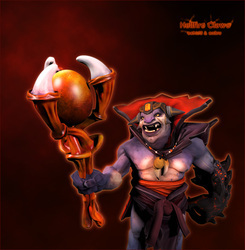 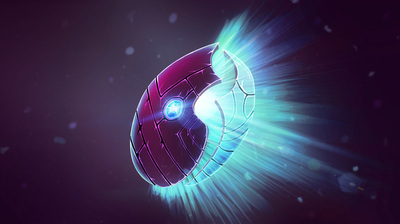 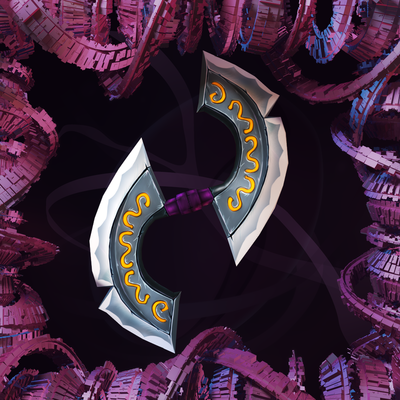 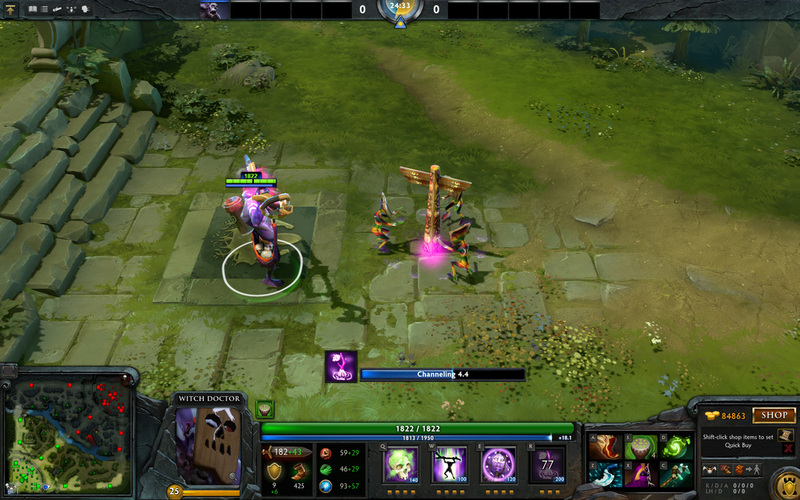 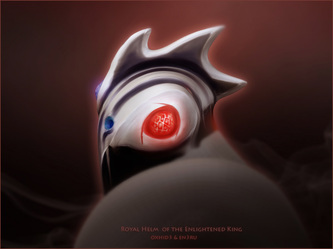 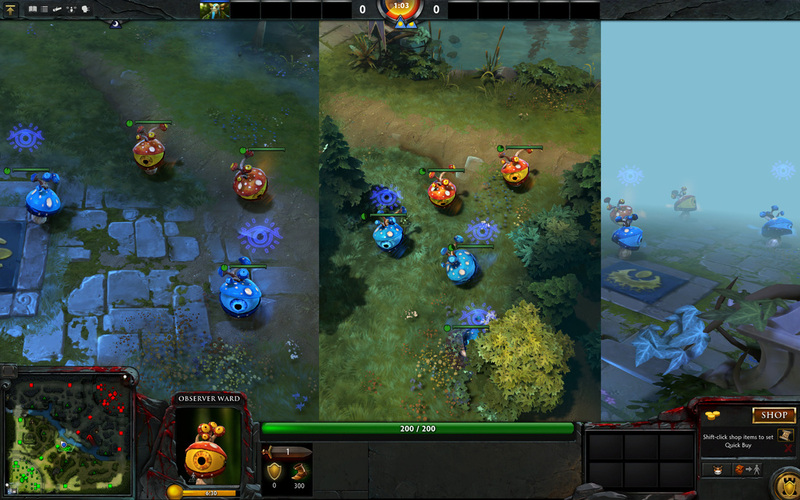 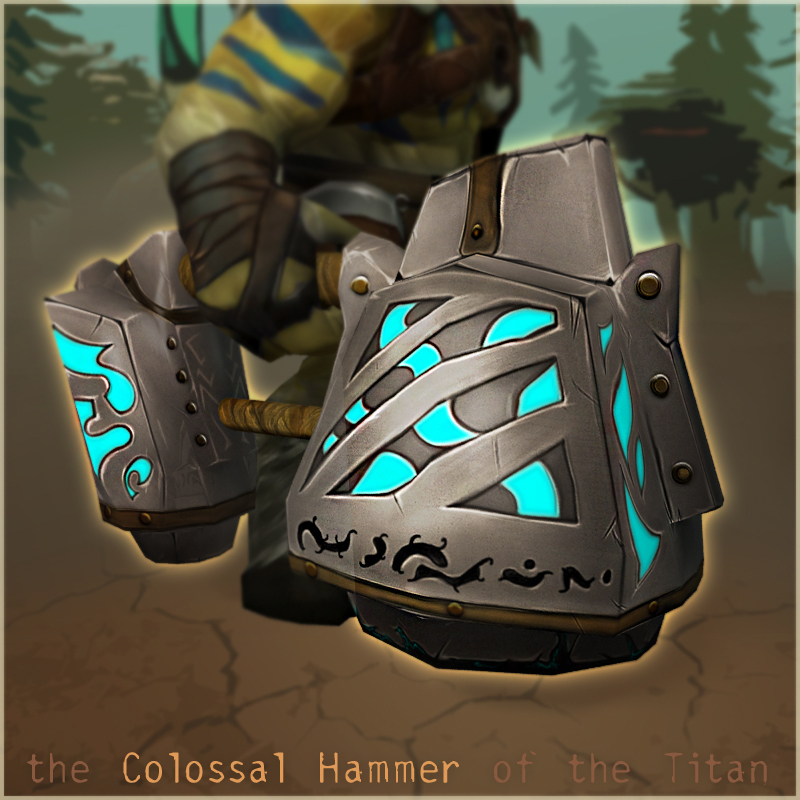 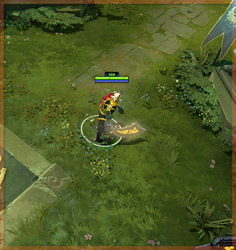 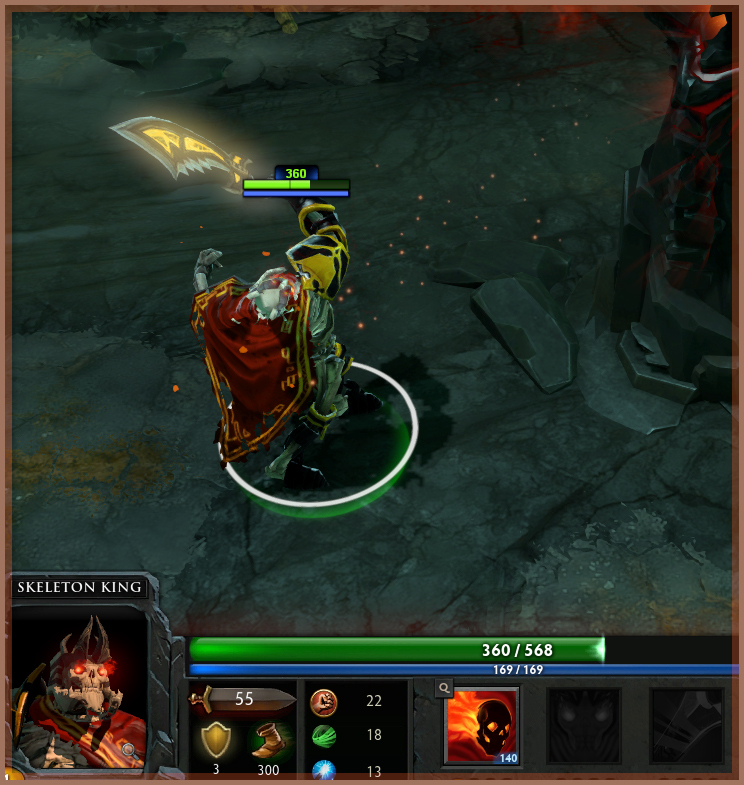 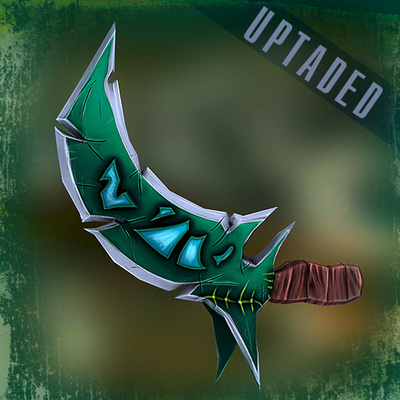 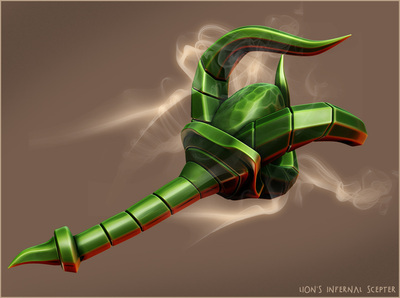 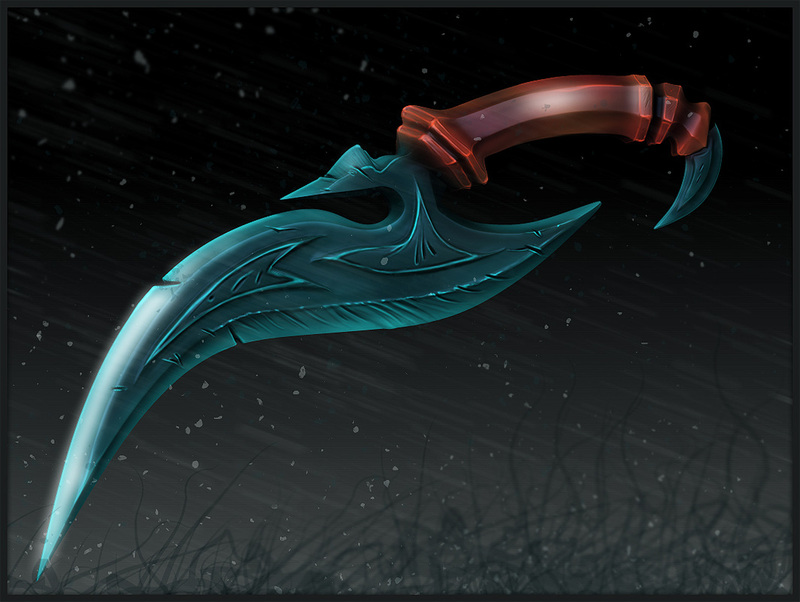 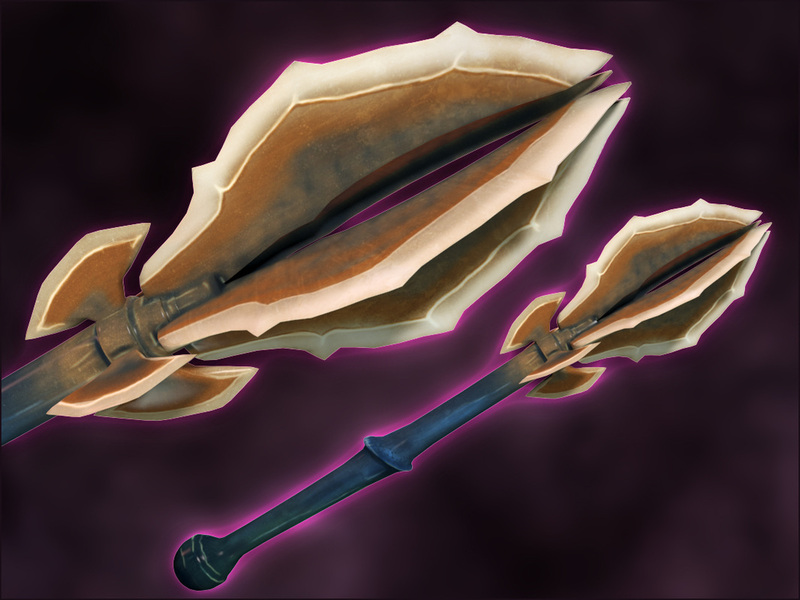 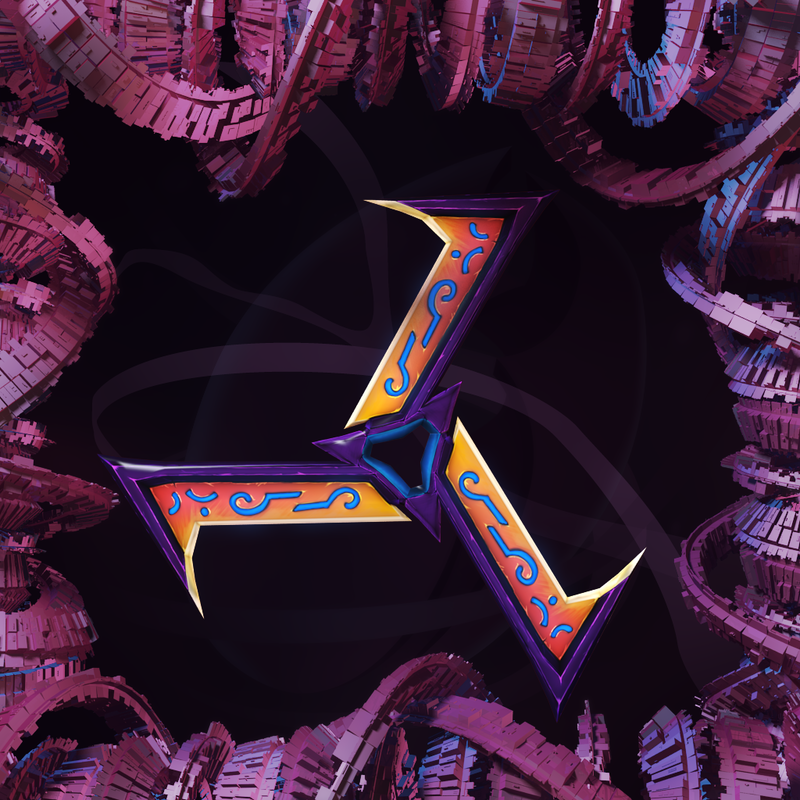 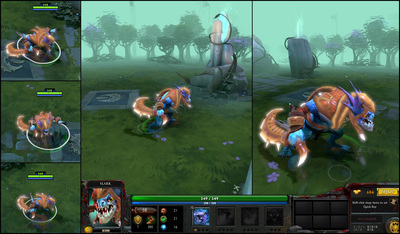 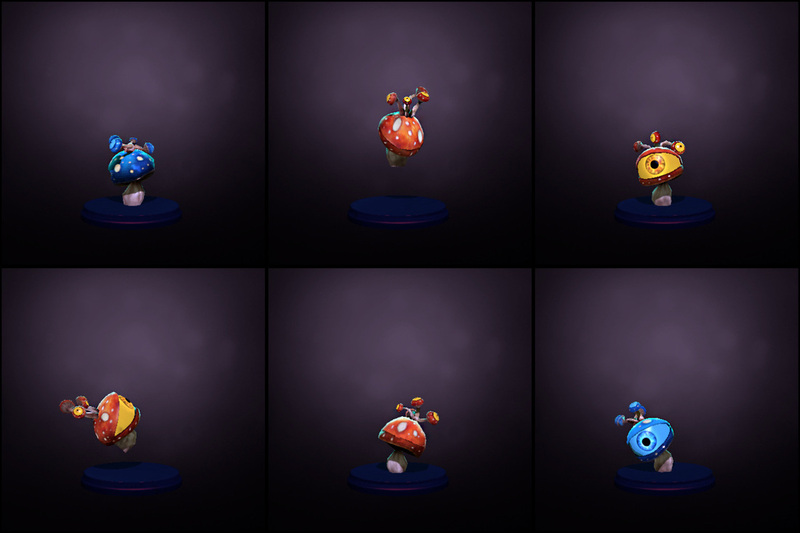 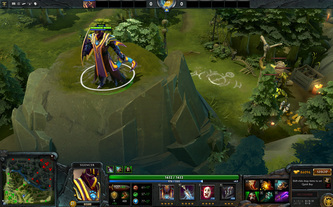 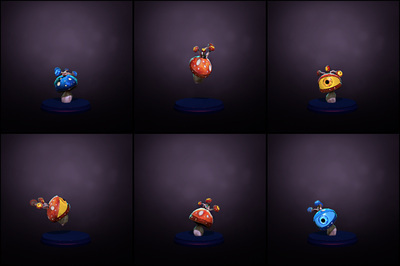 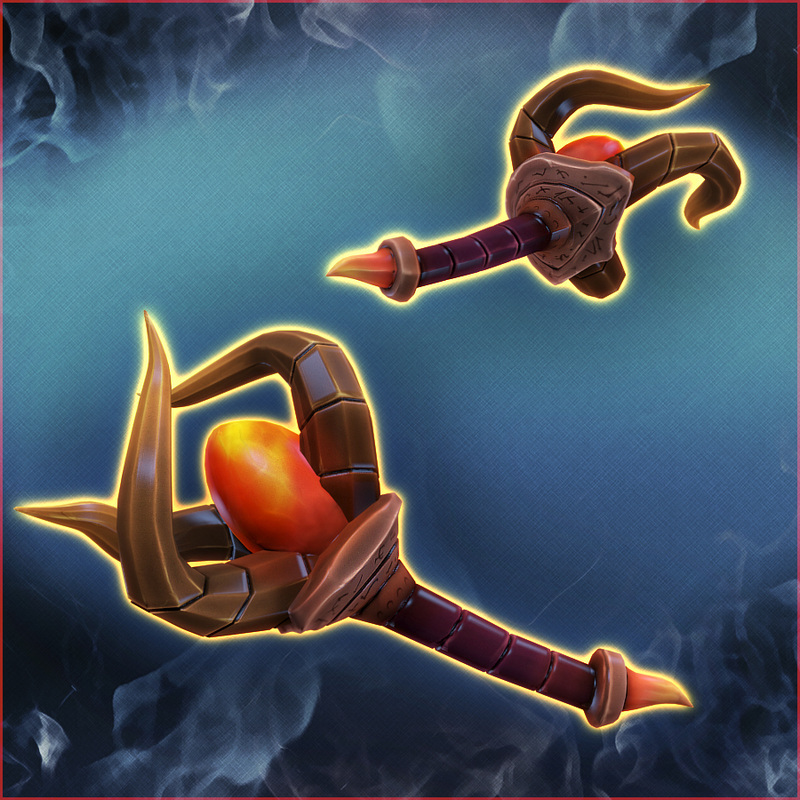 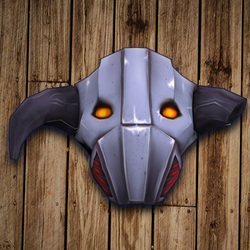 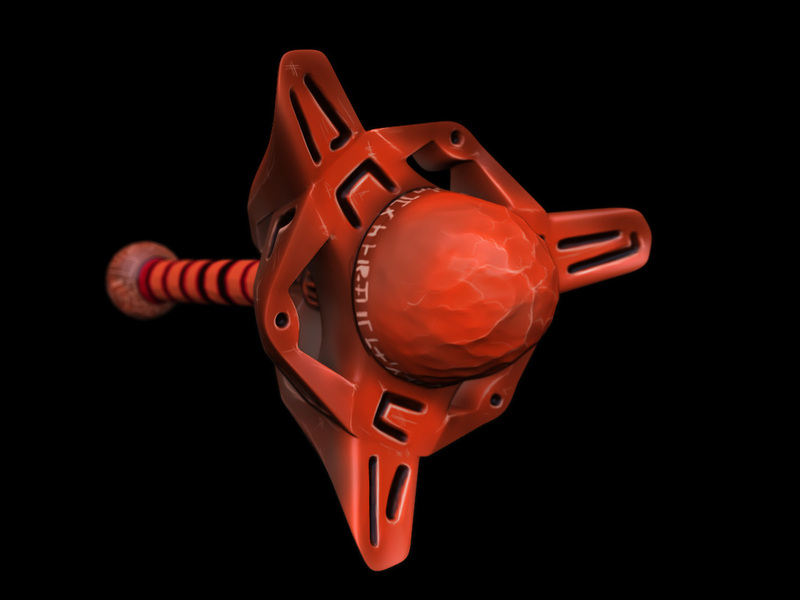 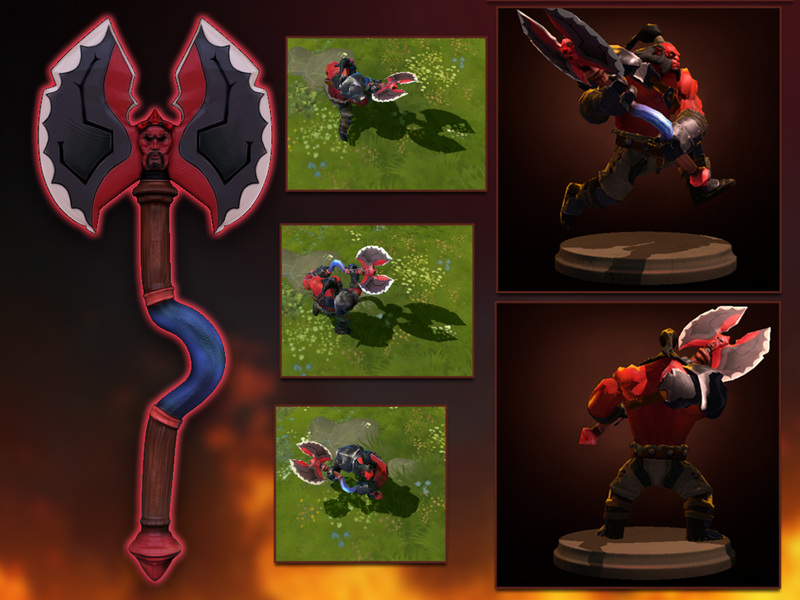 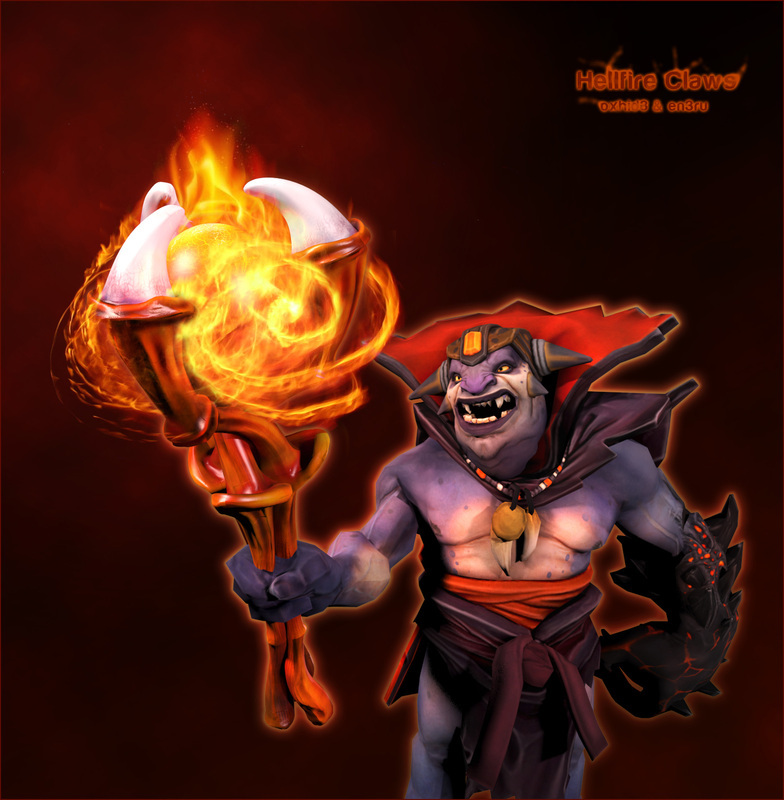 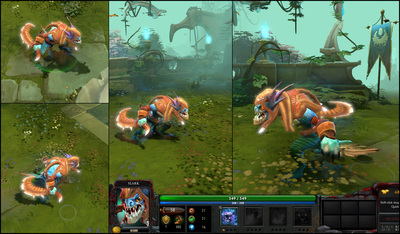 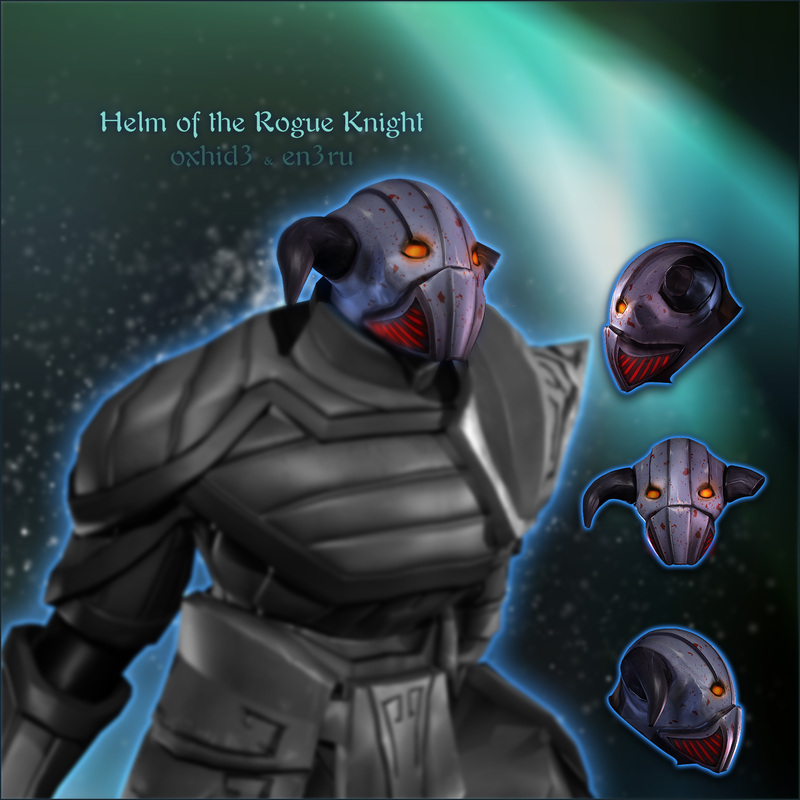 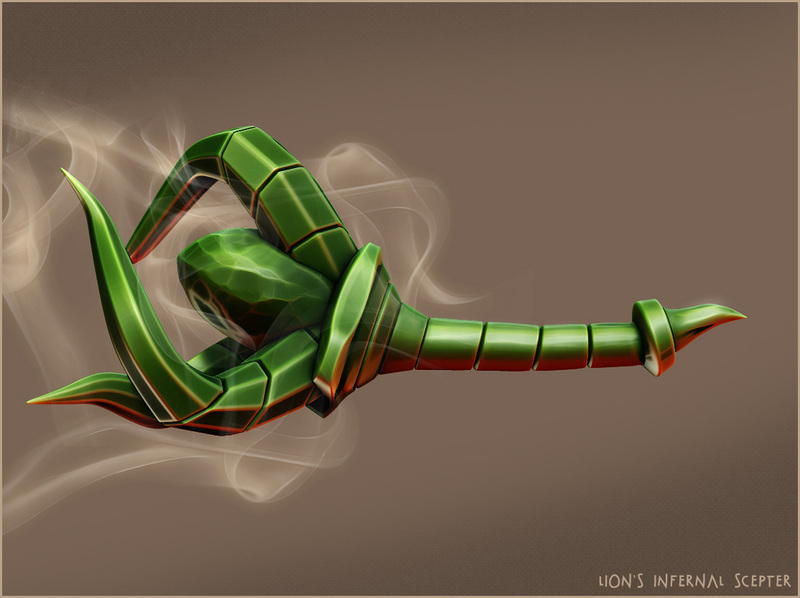 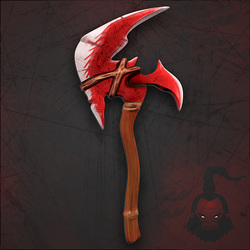 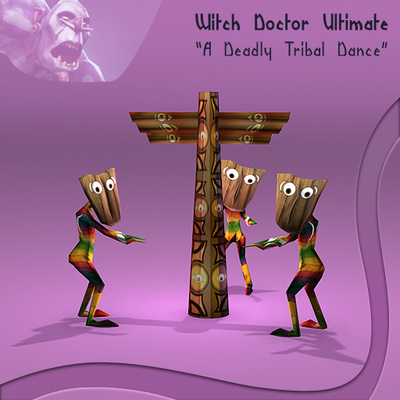 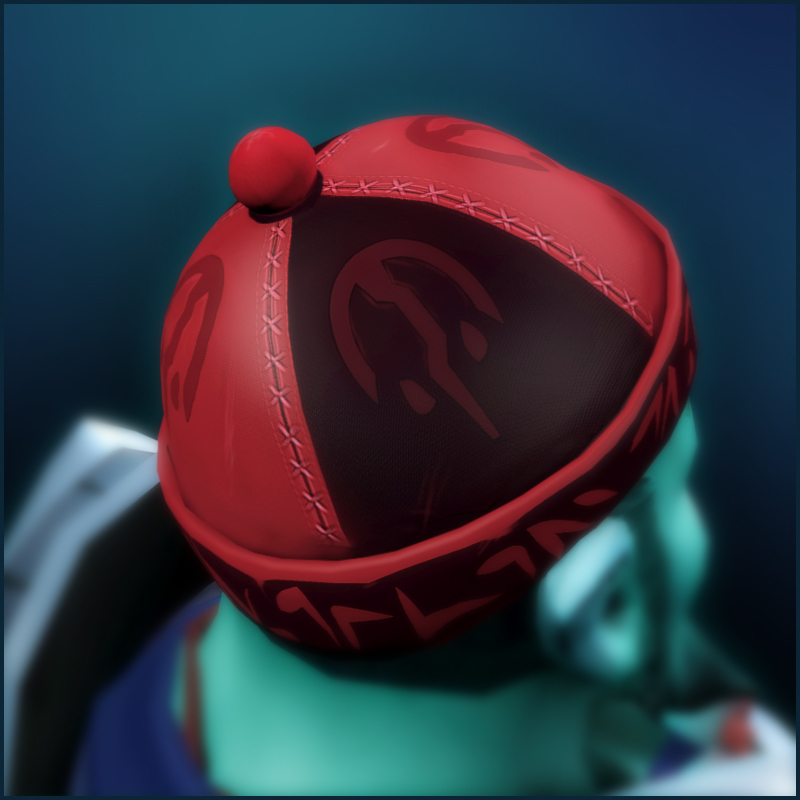 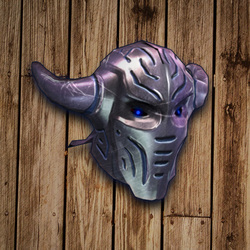 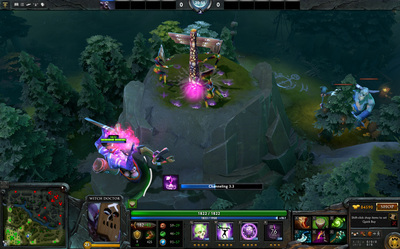 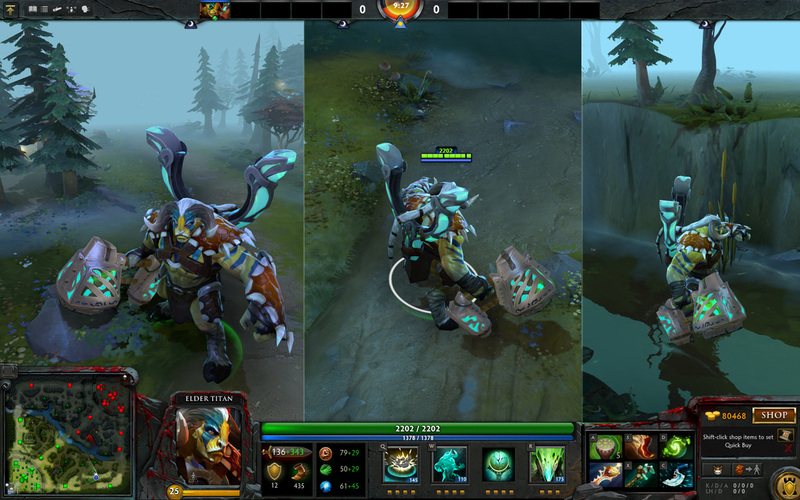 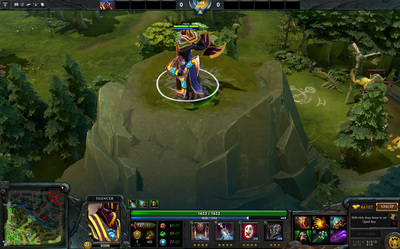 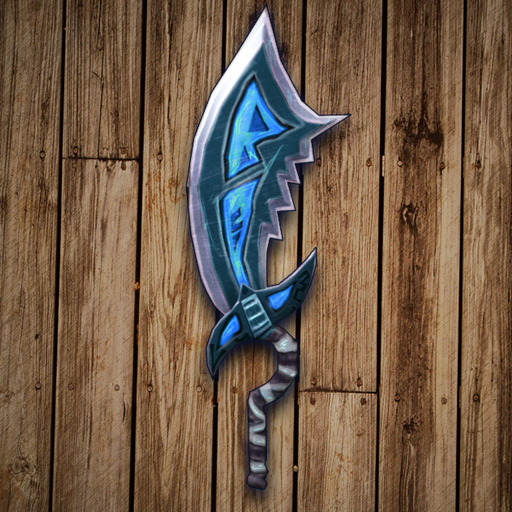 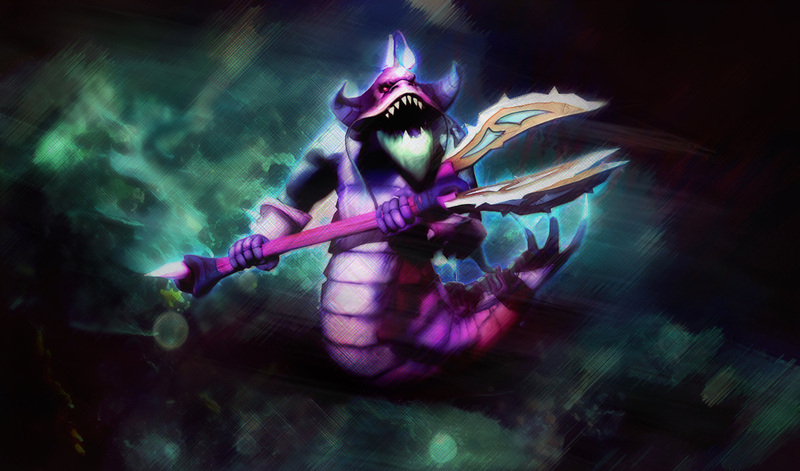 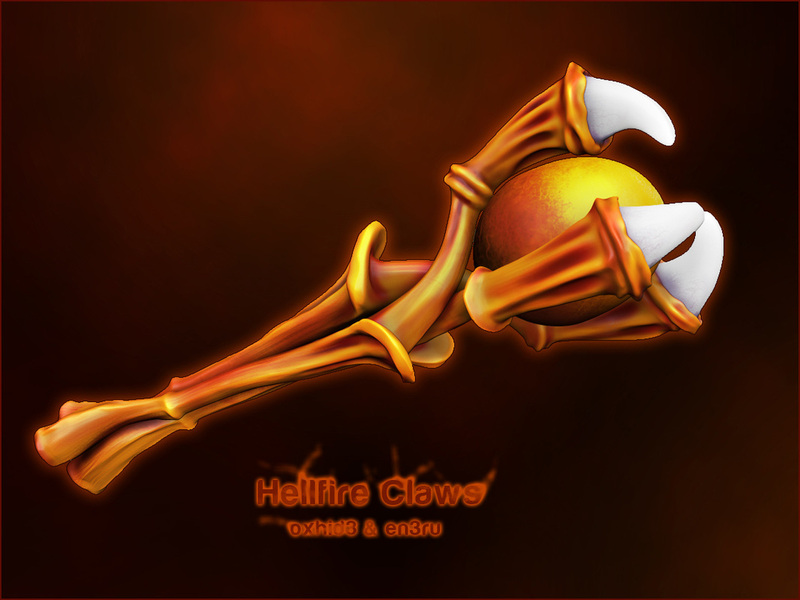 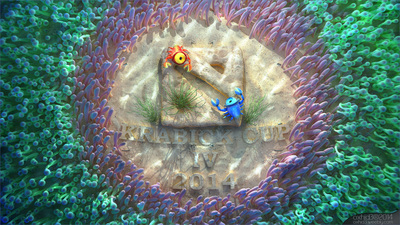 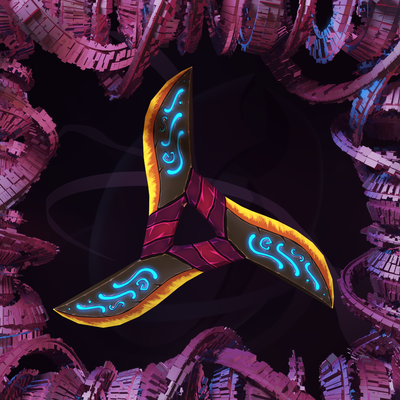 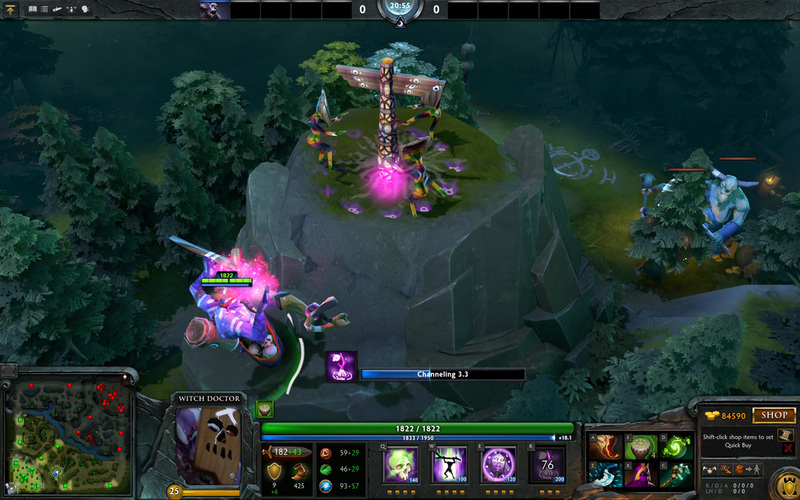 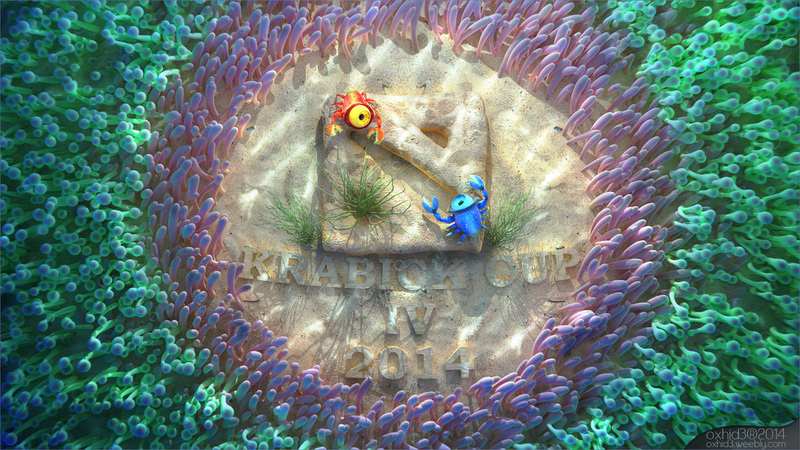 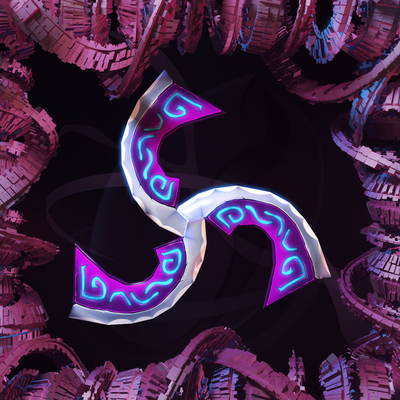 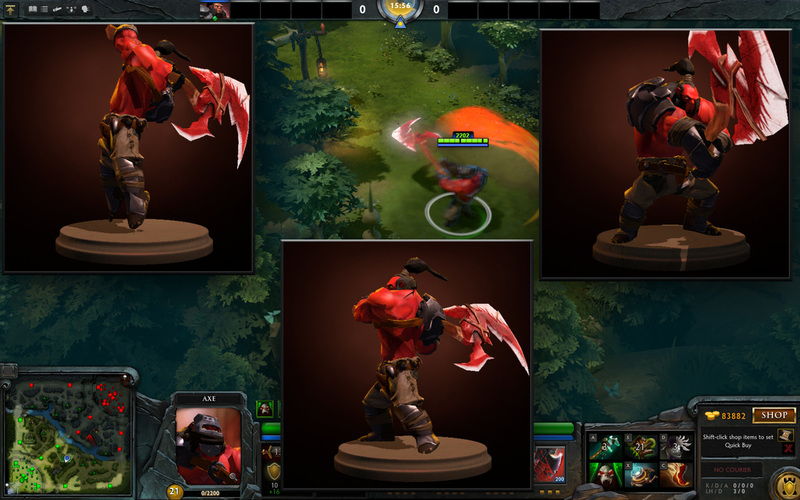 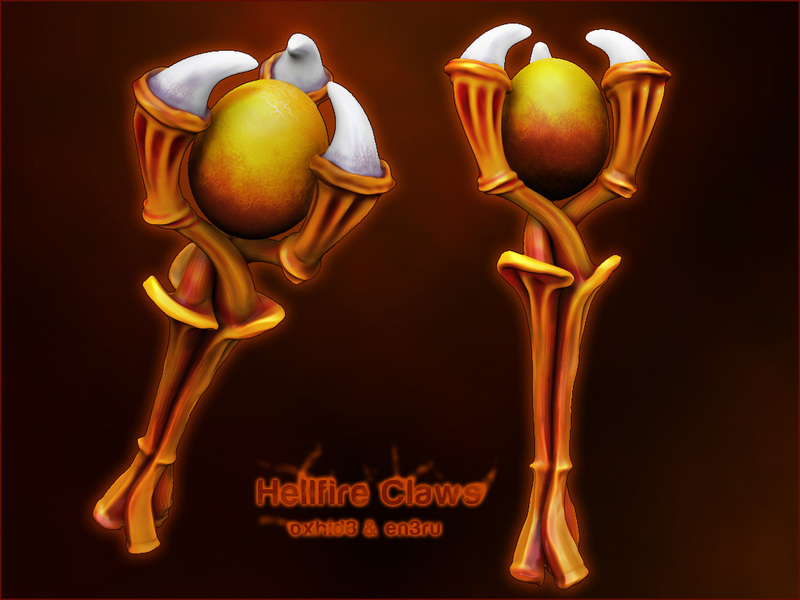 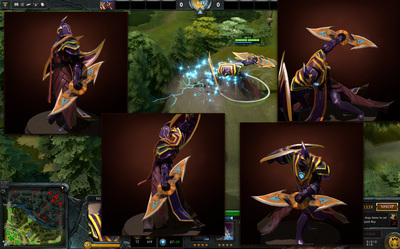 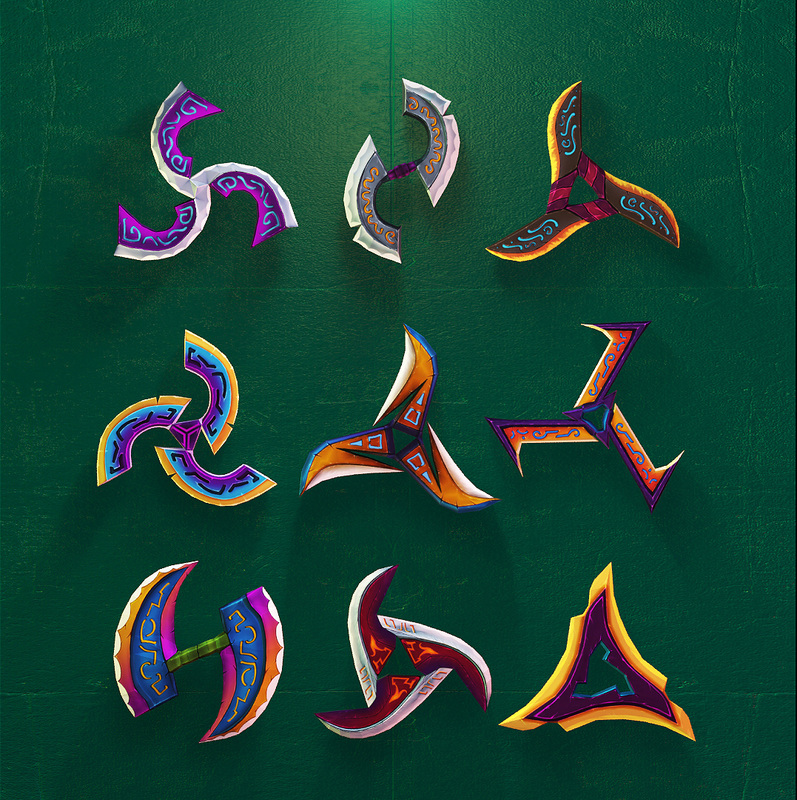 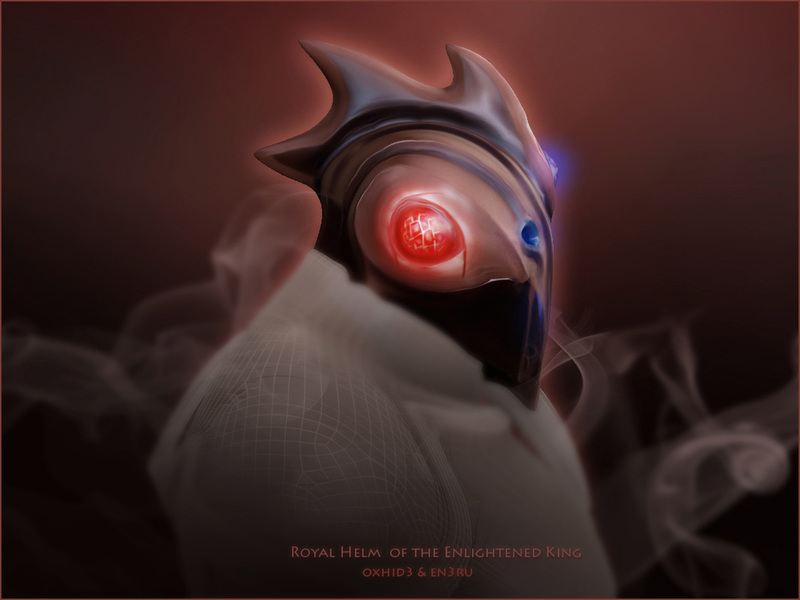 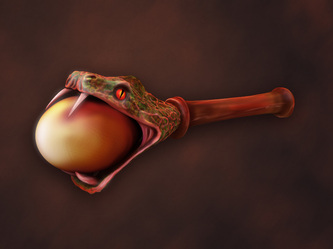 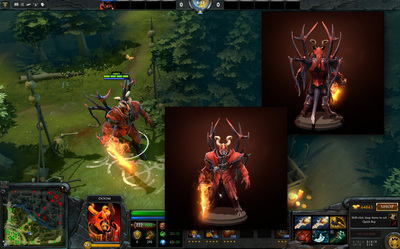 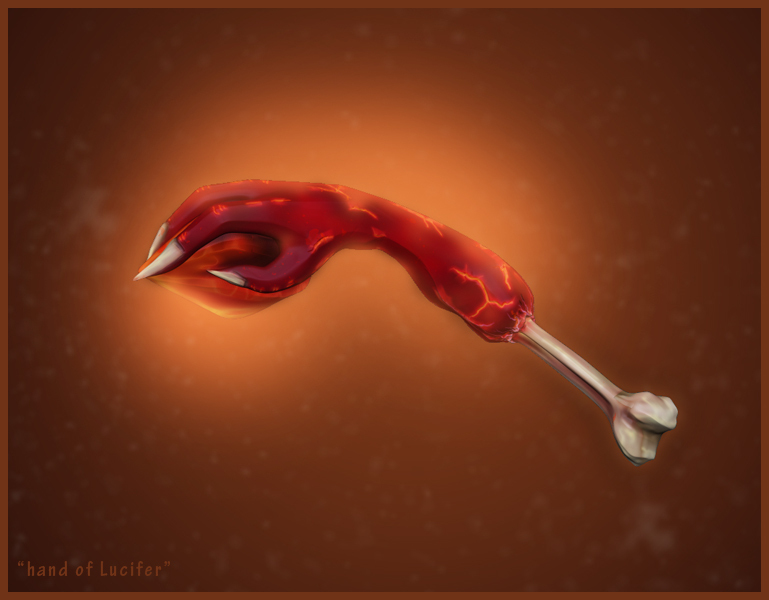 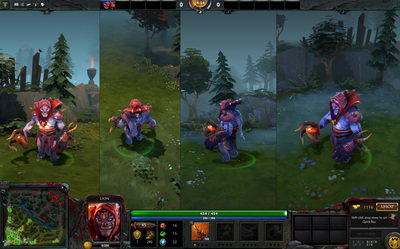 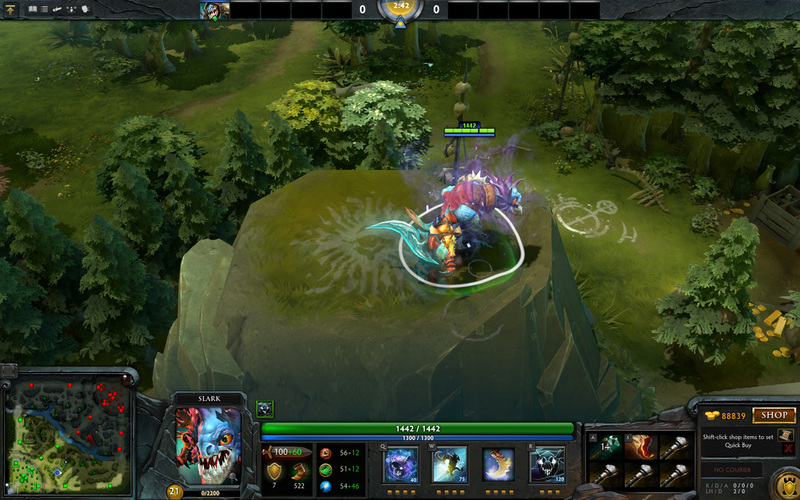 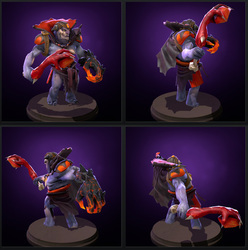 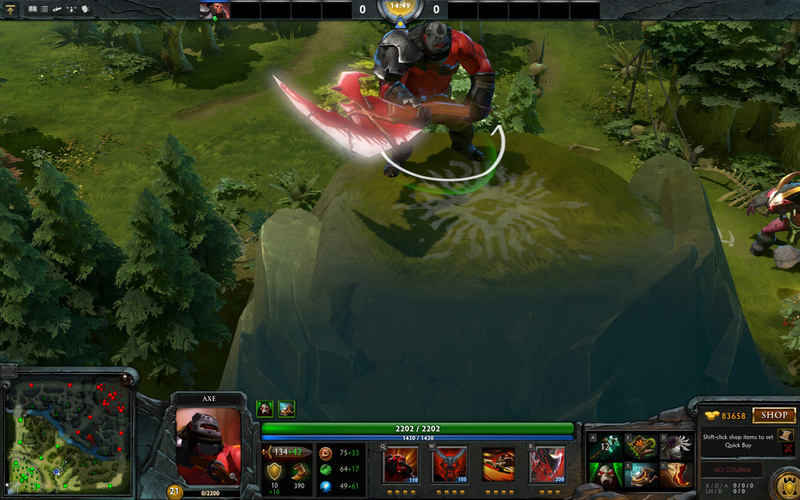 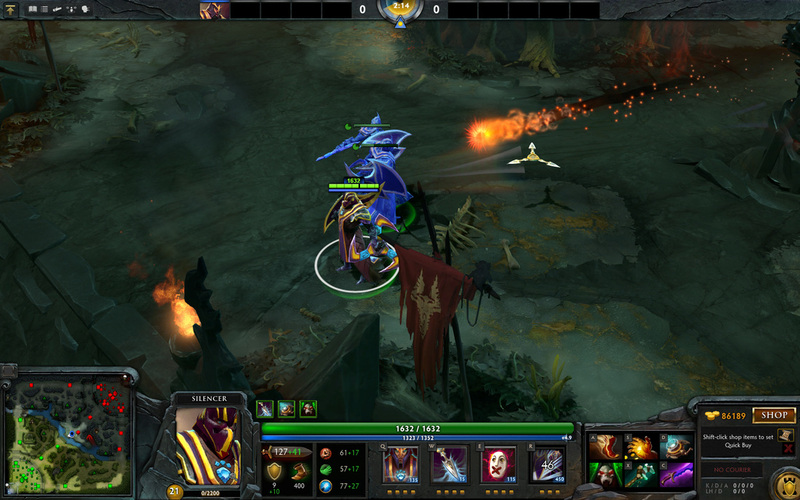 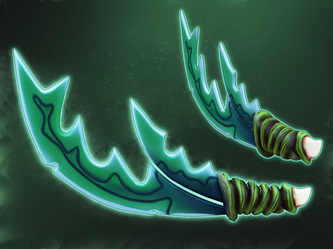 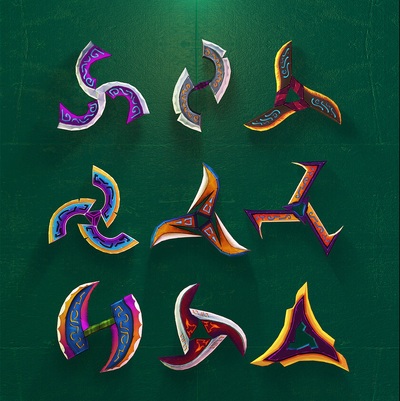 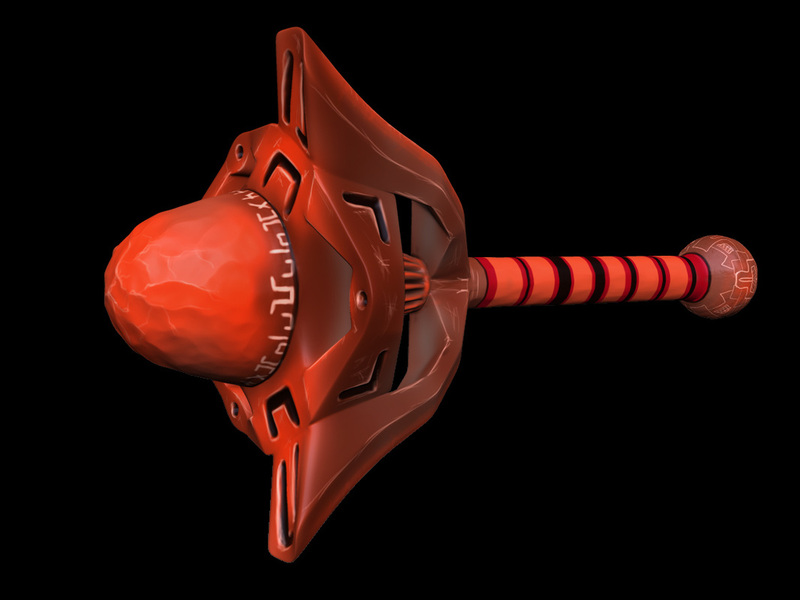 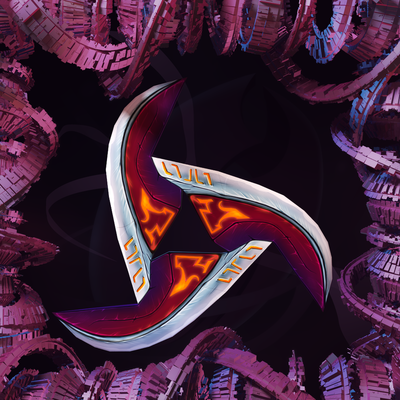 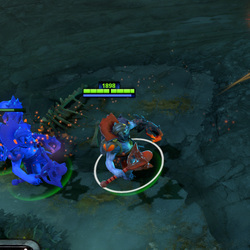 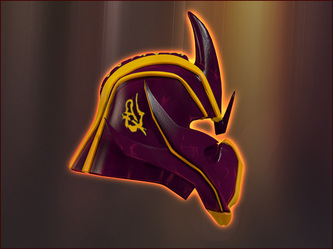 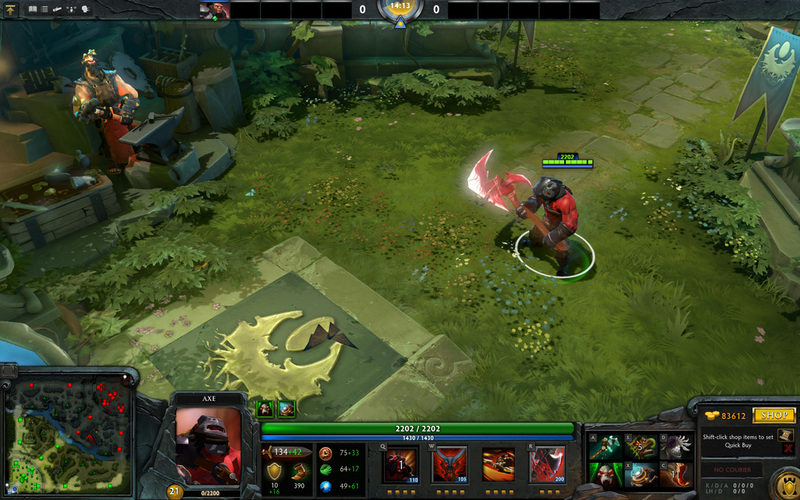 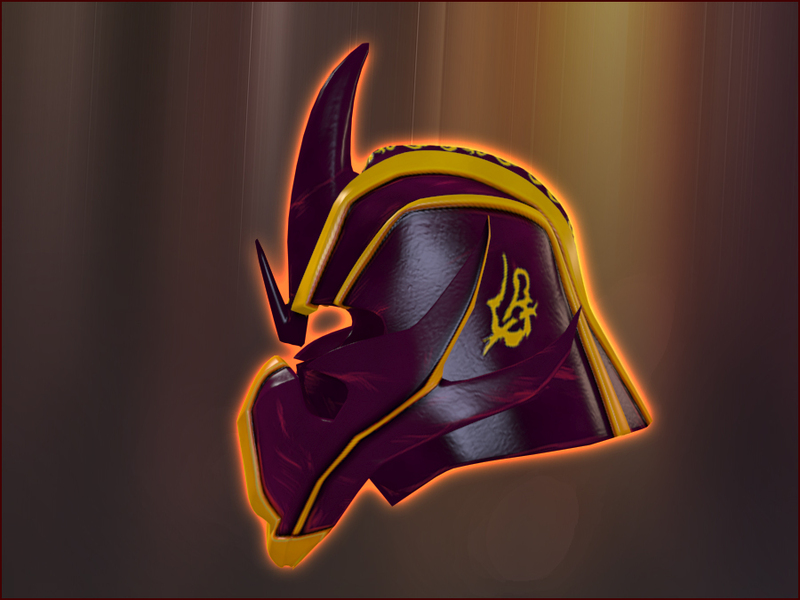 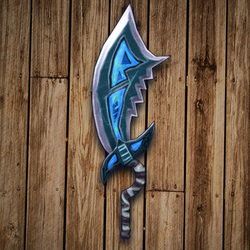 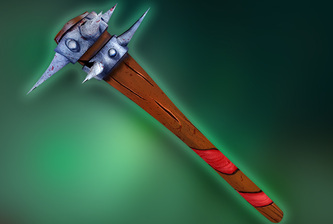 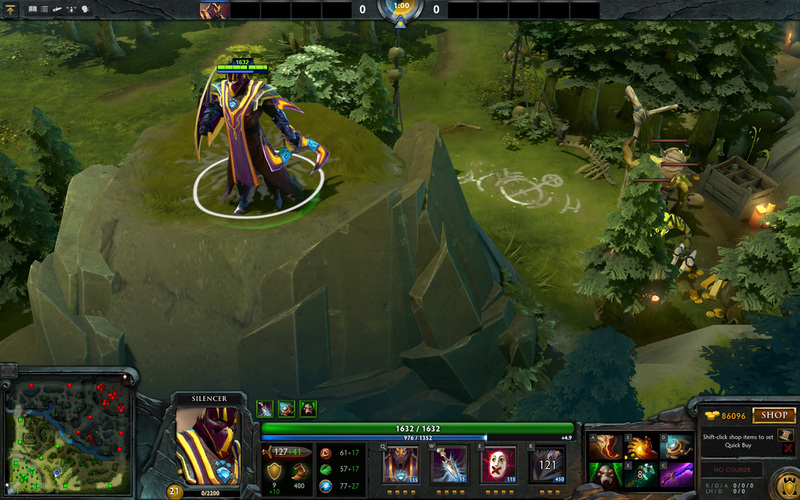 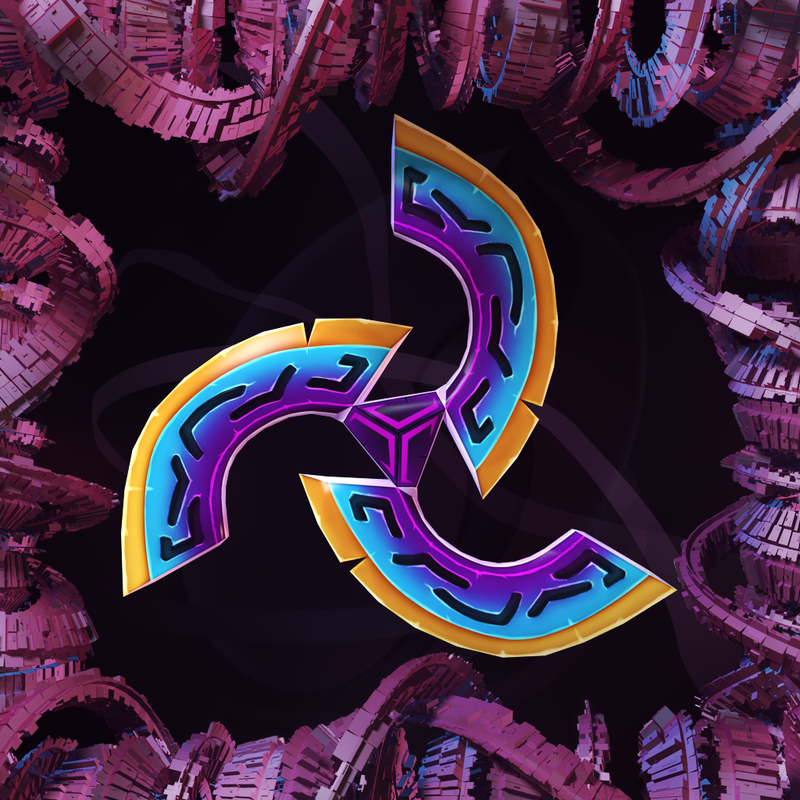 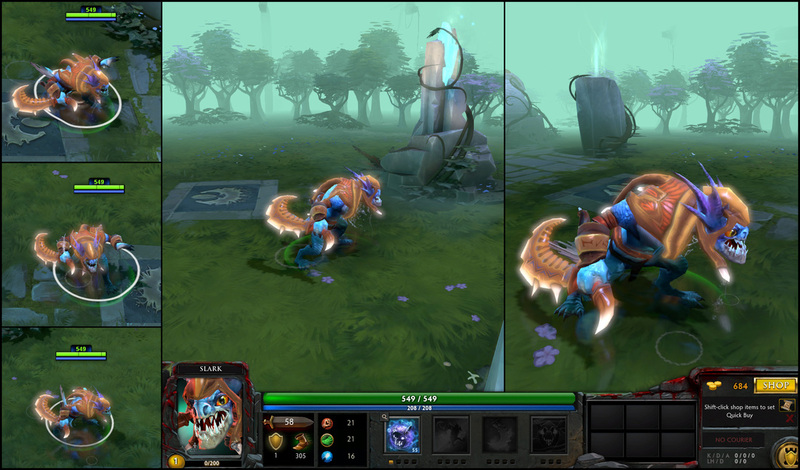 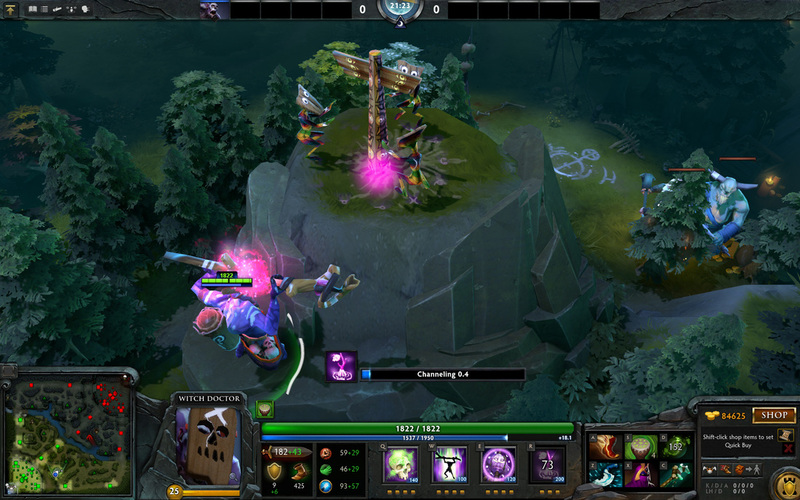 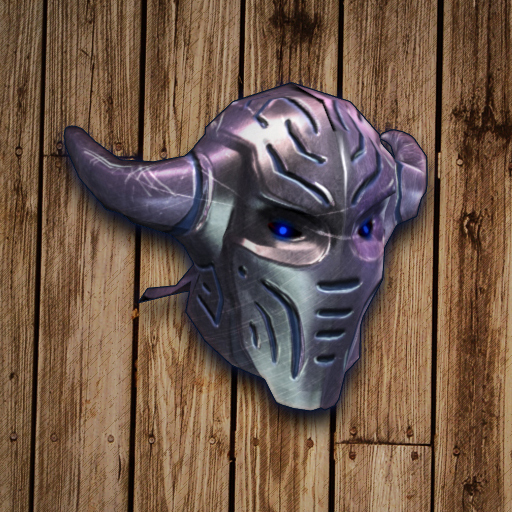 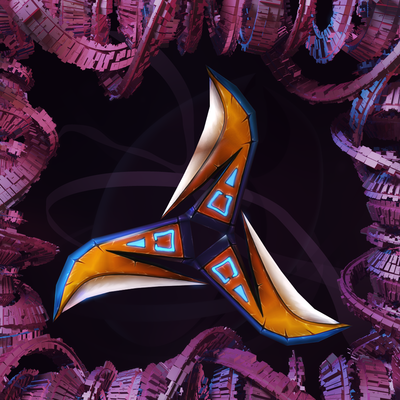 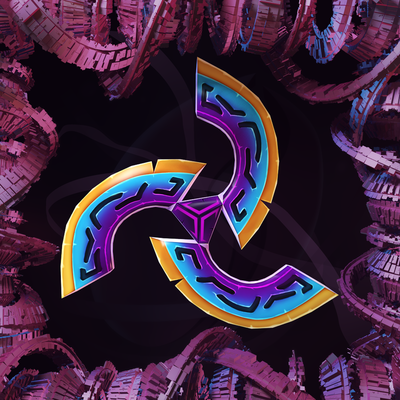 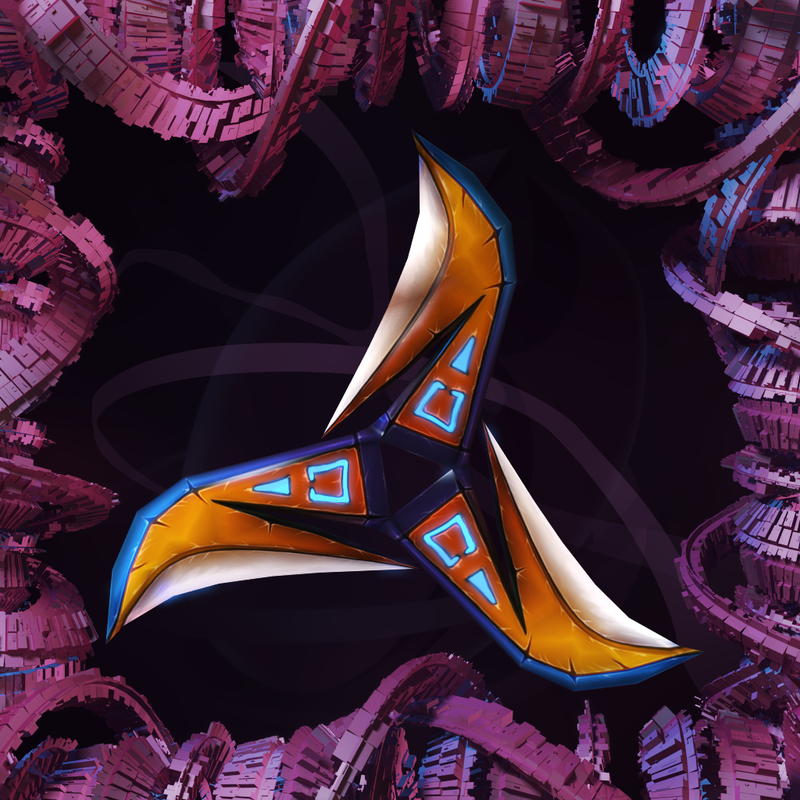 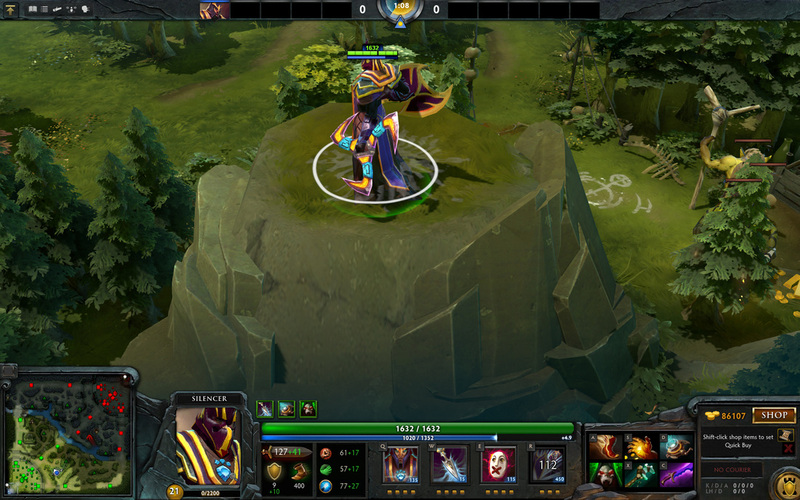 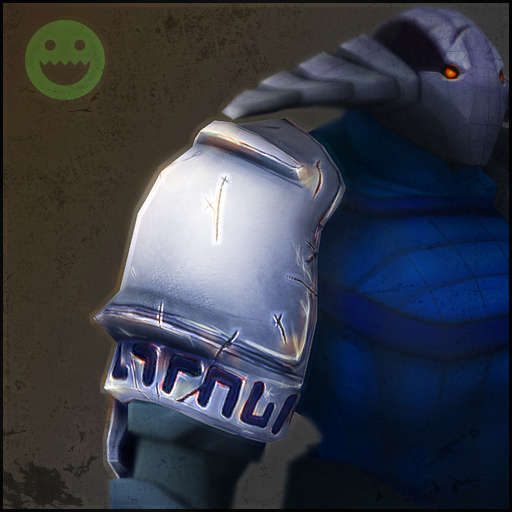 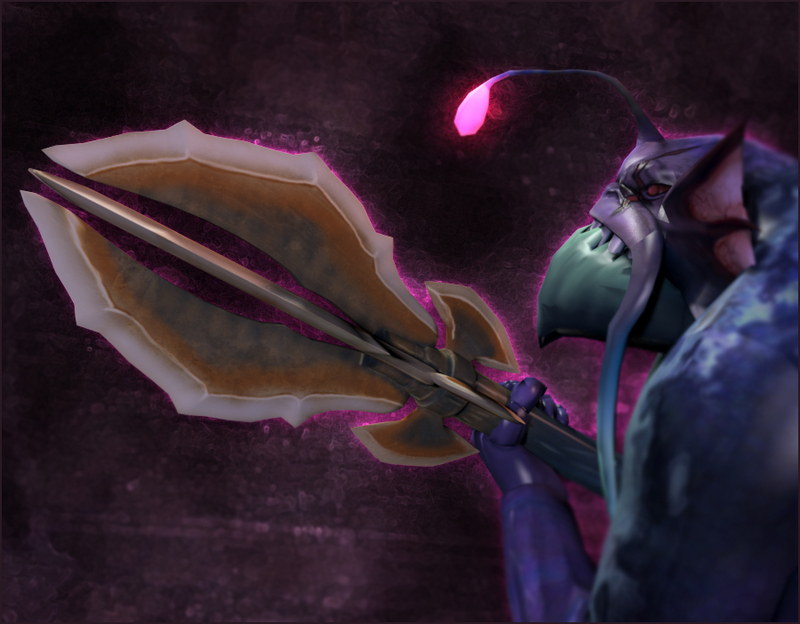 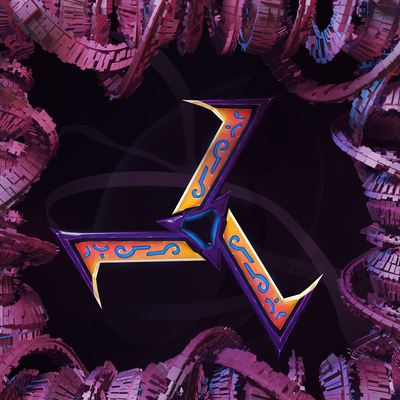 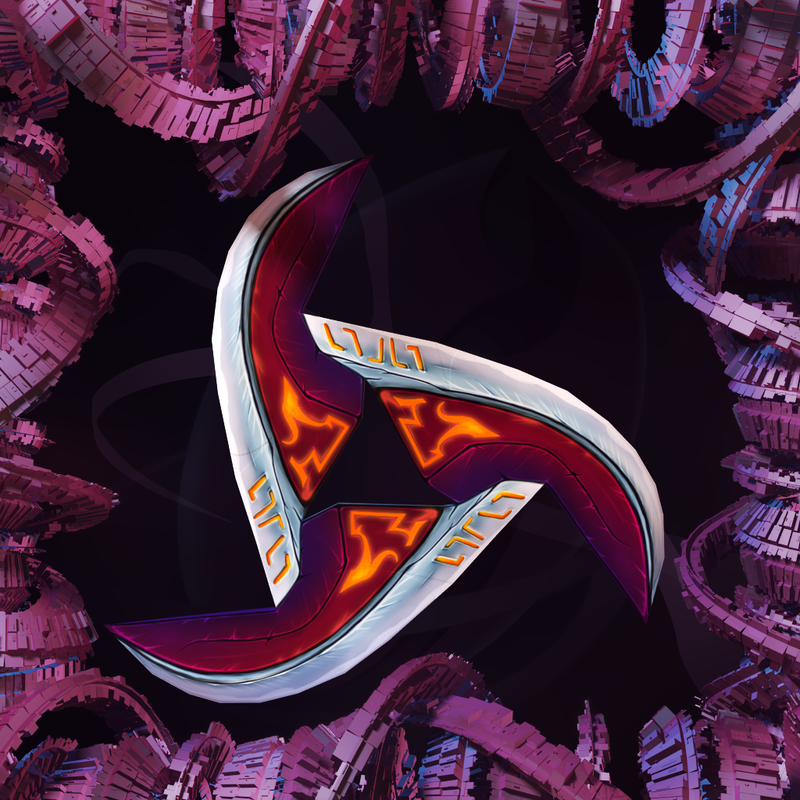 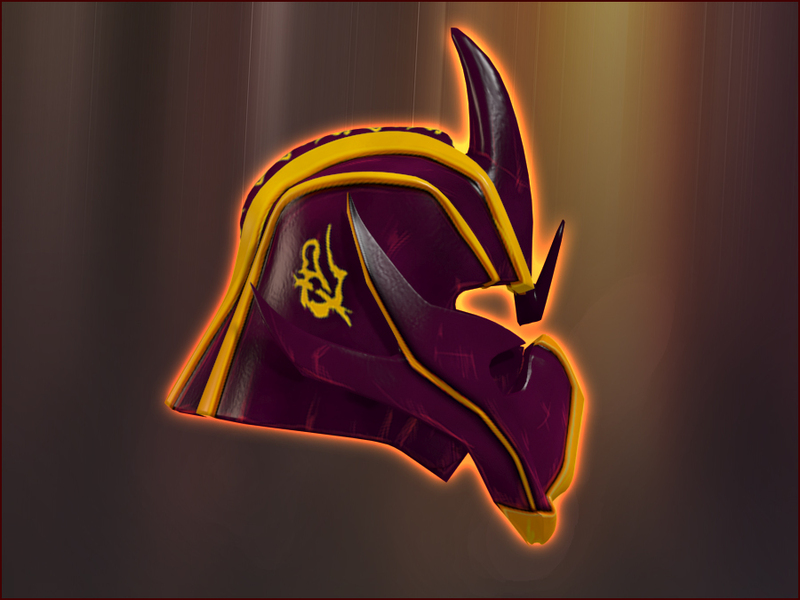 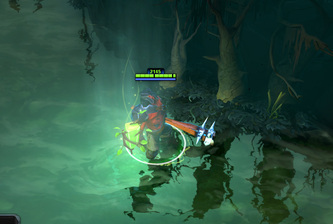 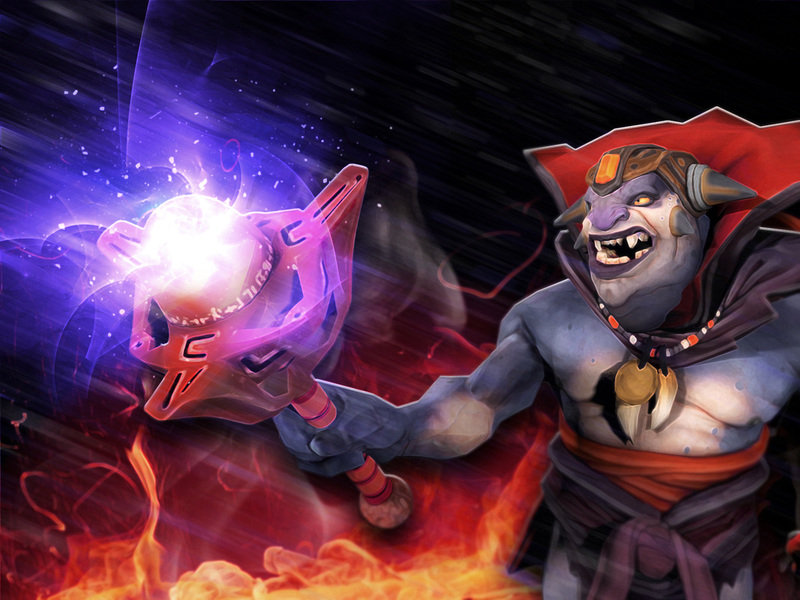 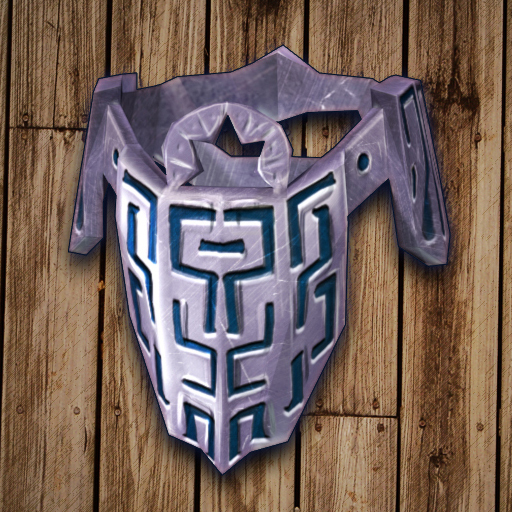 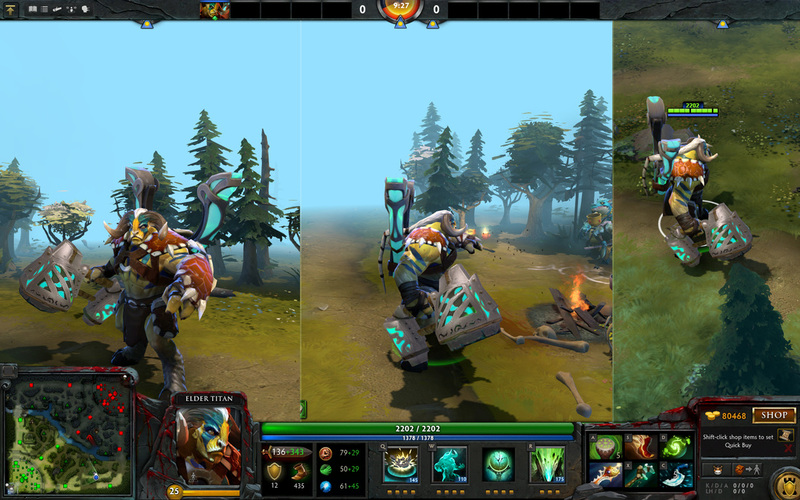 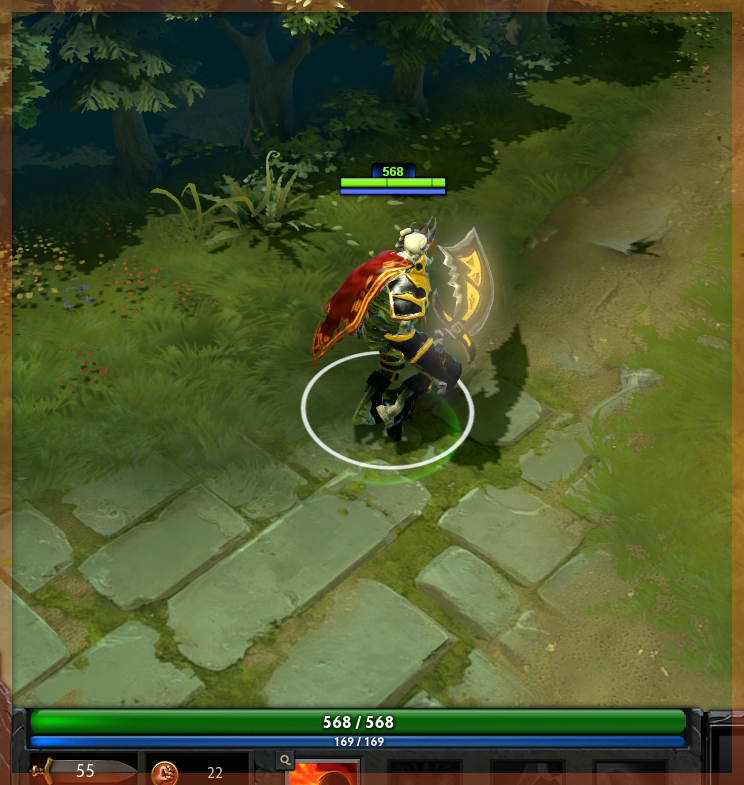 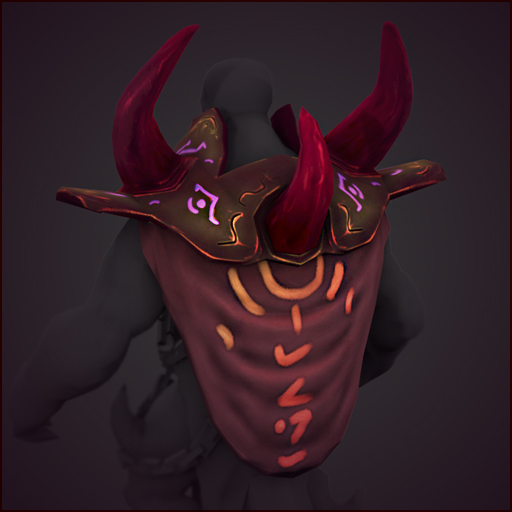 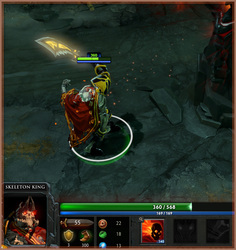 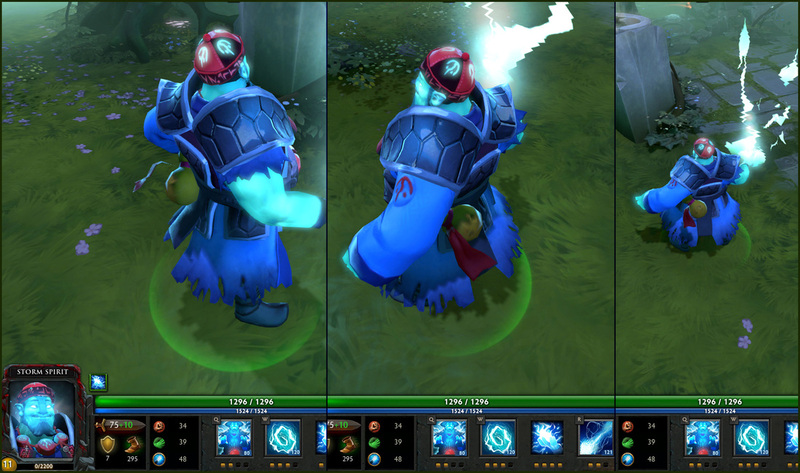 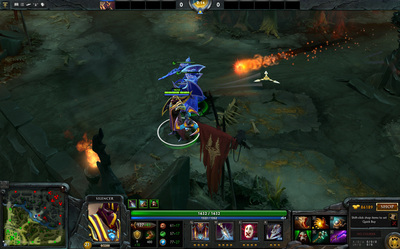 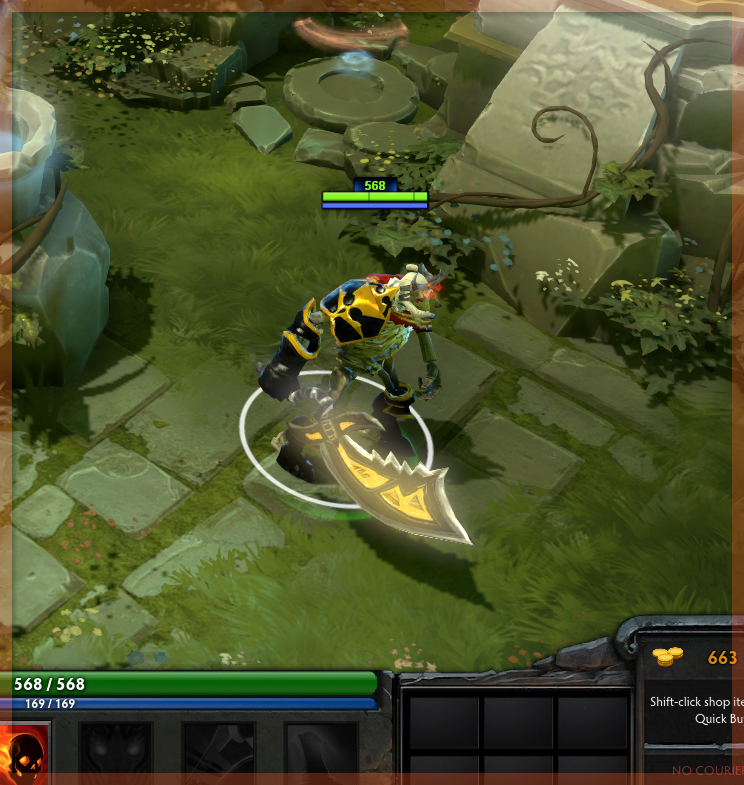 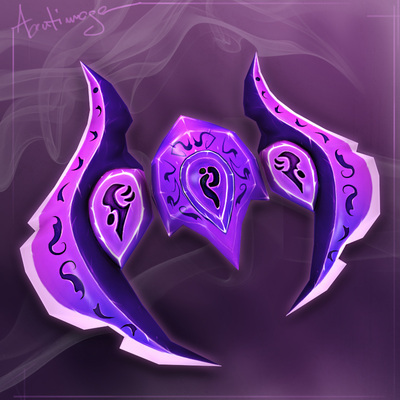 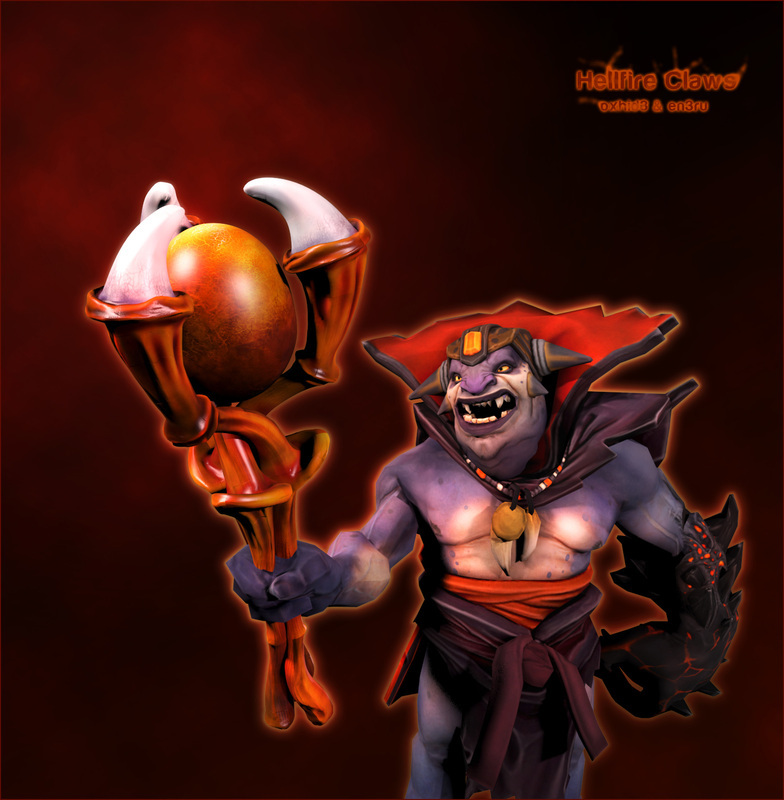 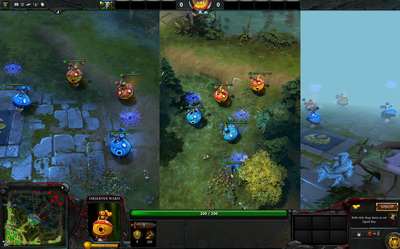 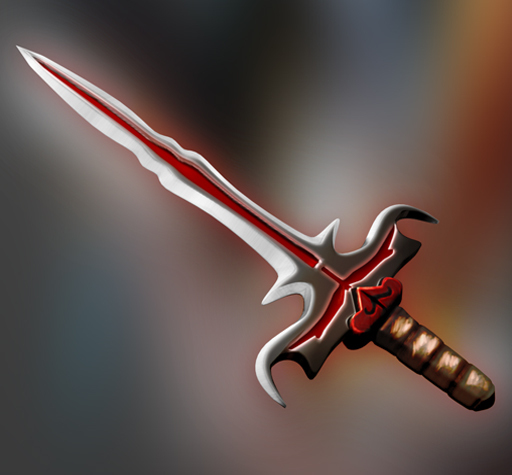 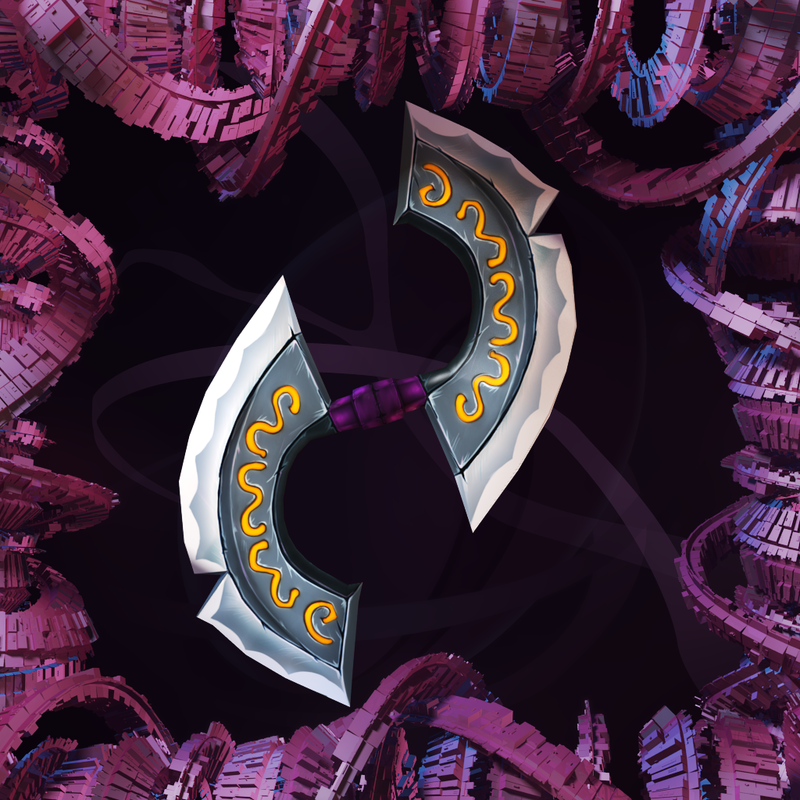 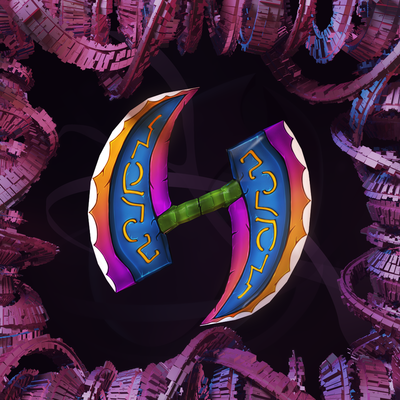 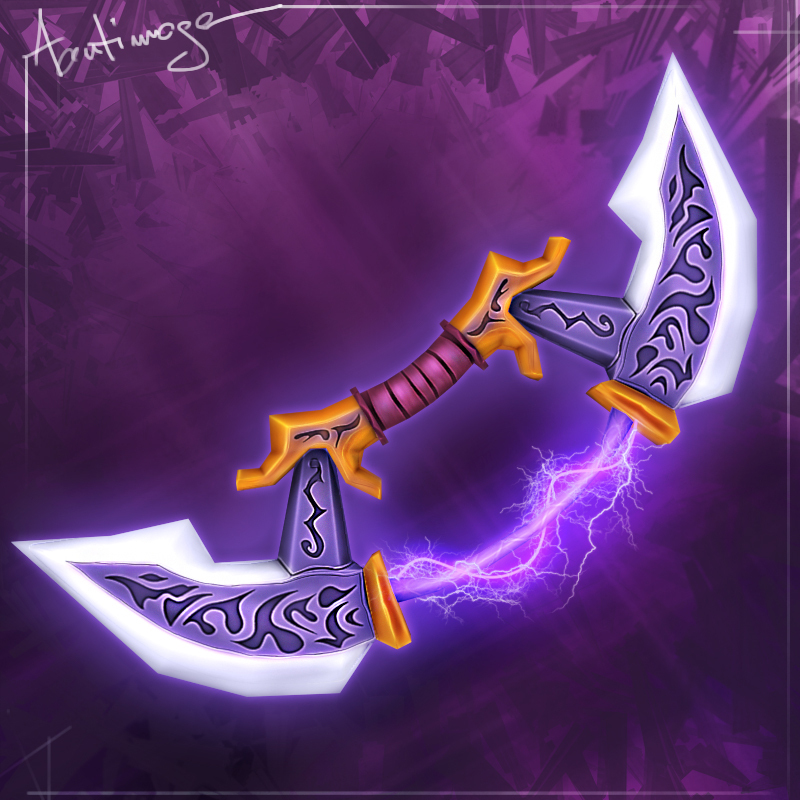 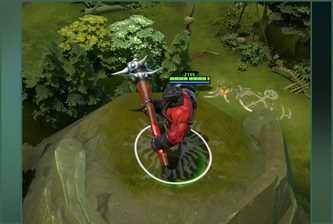 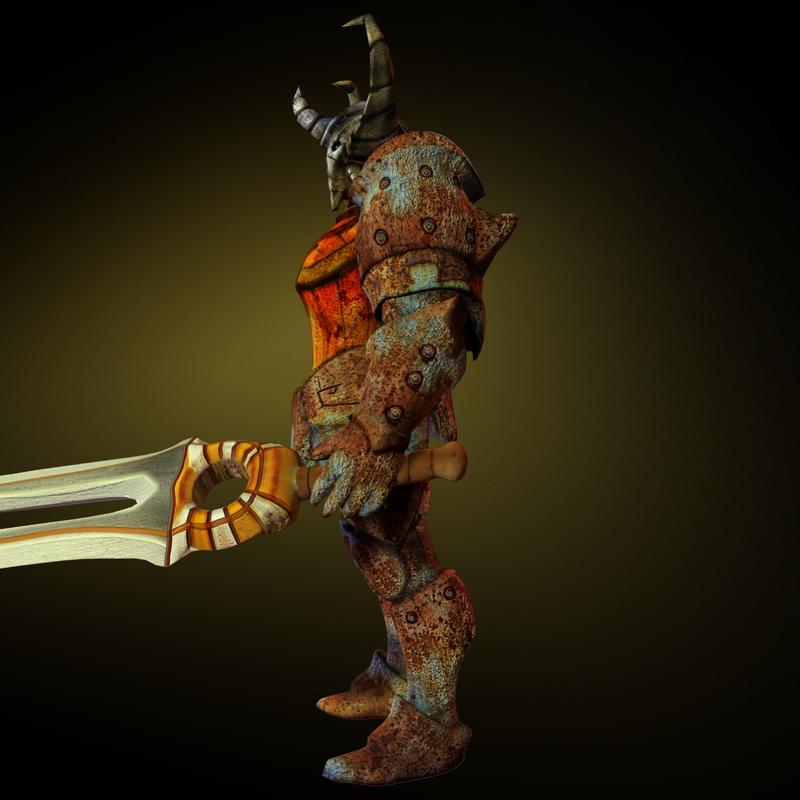 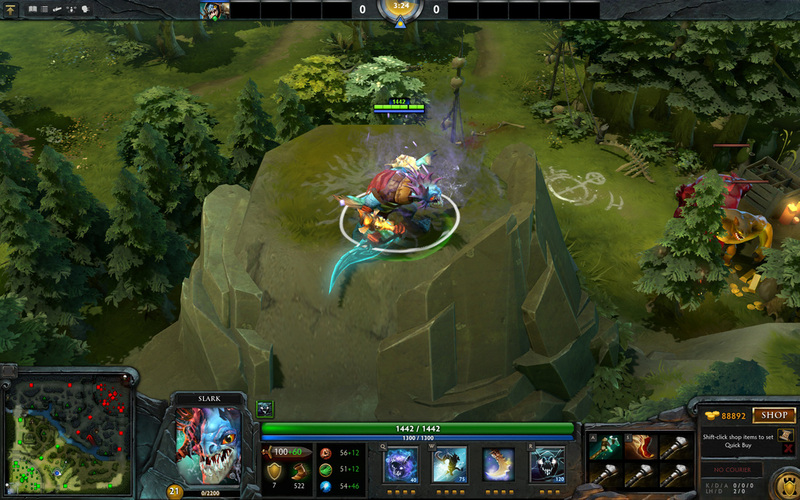 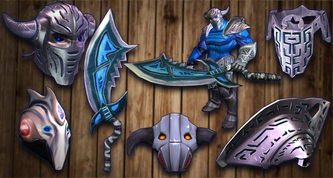 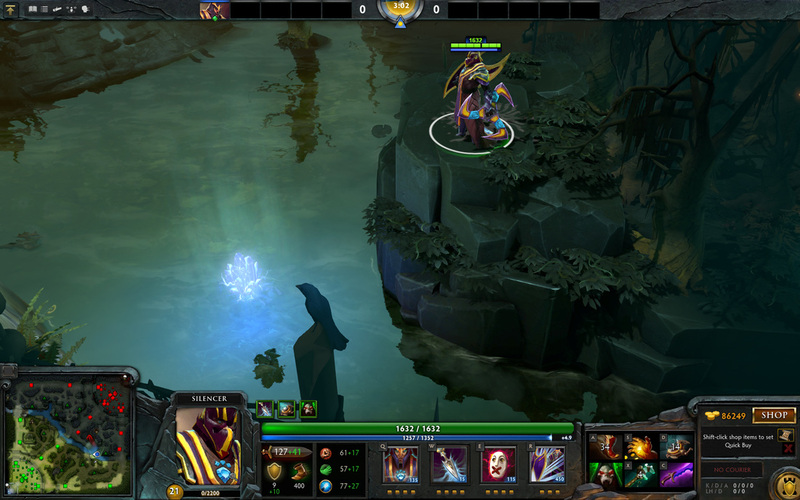 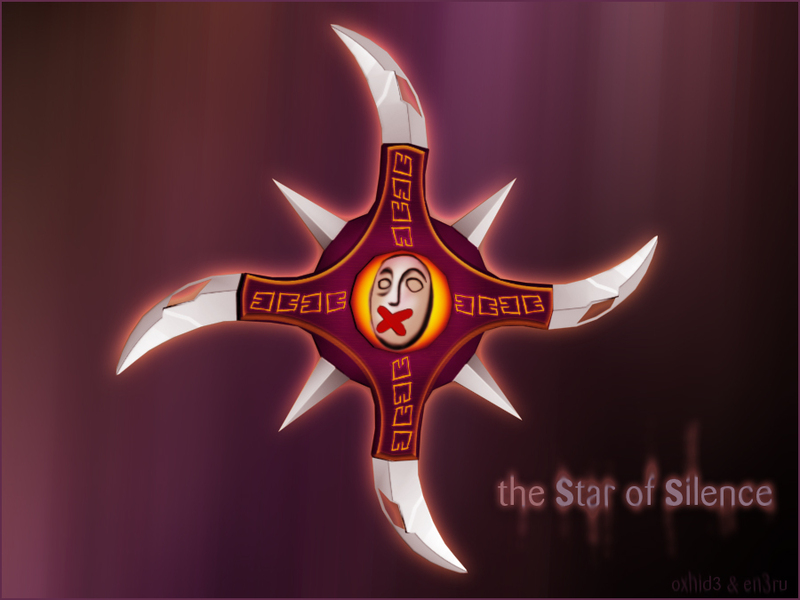 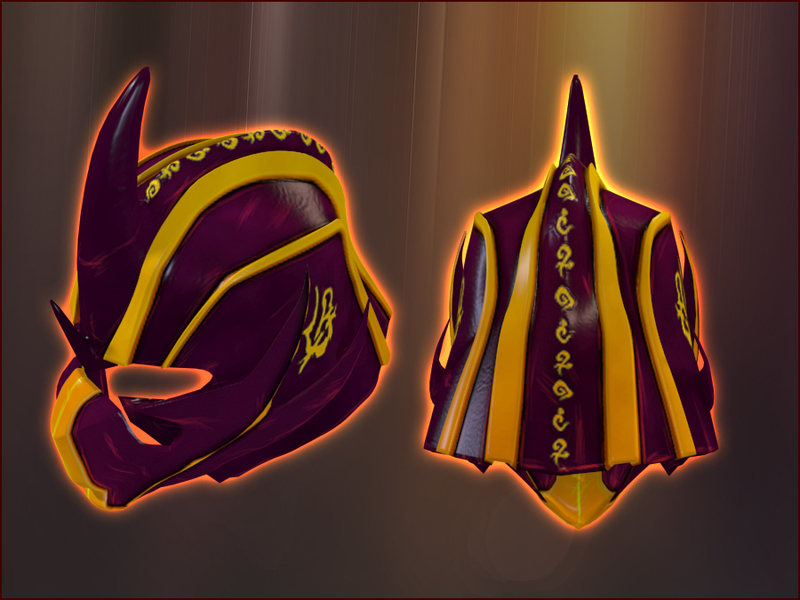 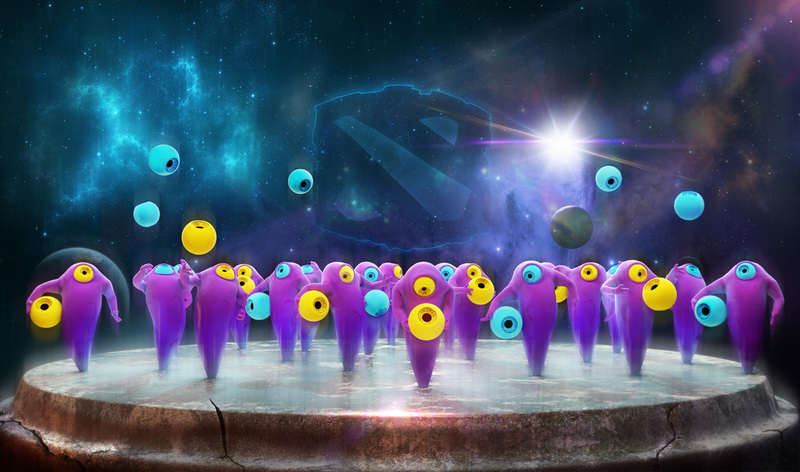 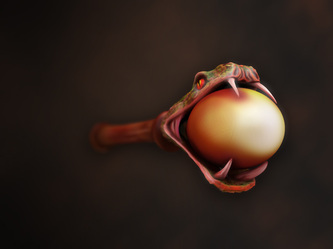 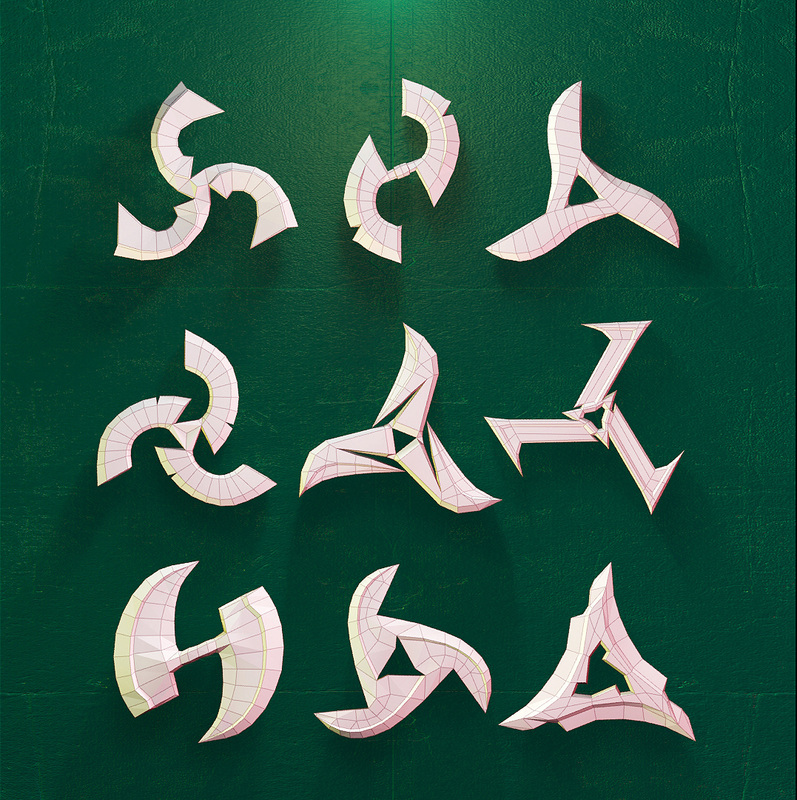 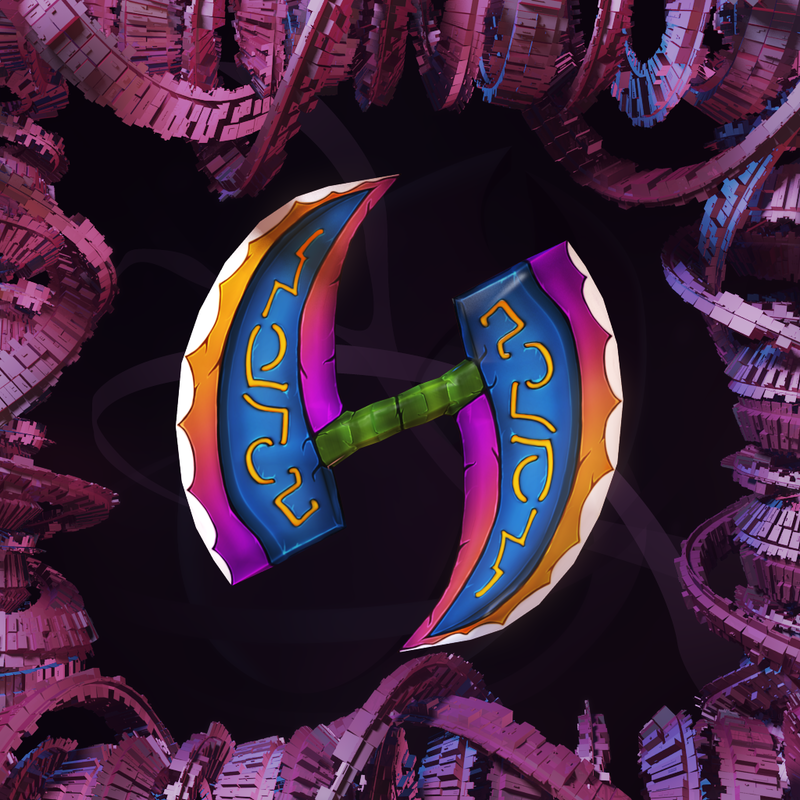 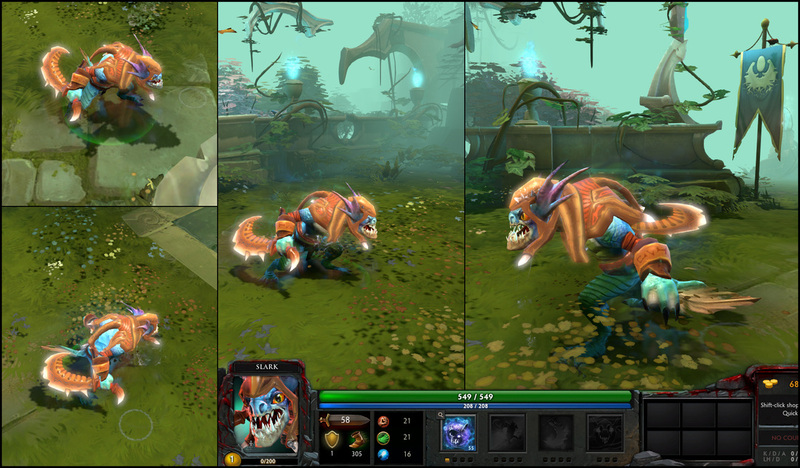 On my spare time I love to create items for Dota2 (®Valve). 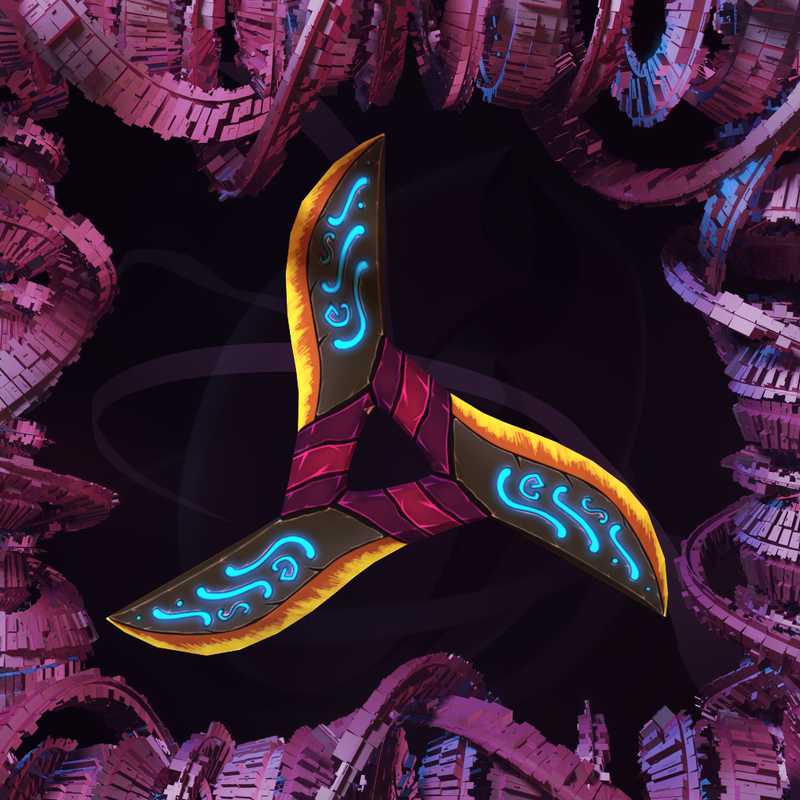 It starts with "concepting" which is one of the most important steps and whom in most cases decides the acceptance or declination of the item itself. 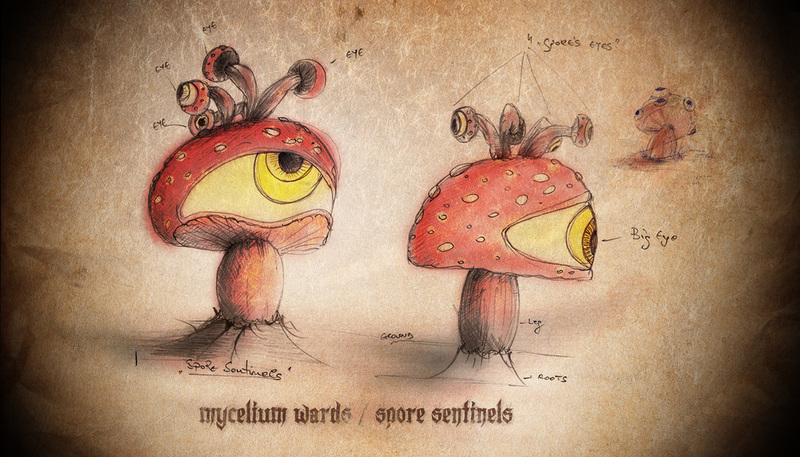 Here you start sketching and drawing until your idea comes out of your brain the same way you imagined it. After you have decided that the concept reached your expectations you then proceed to the next level which is the base mesh "modeling". 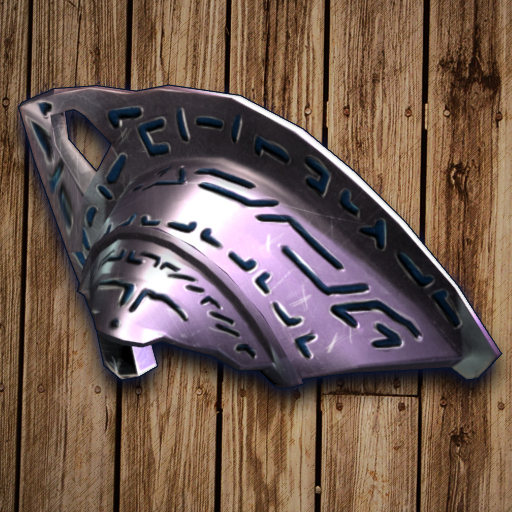 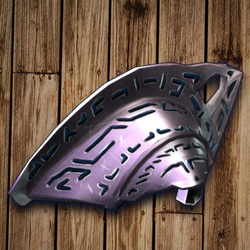 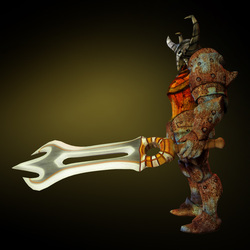 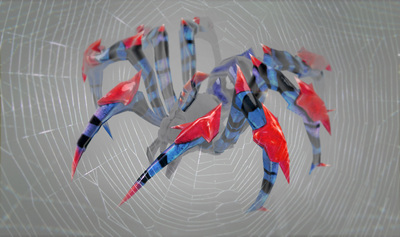 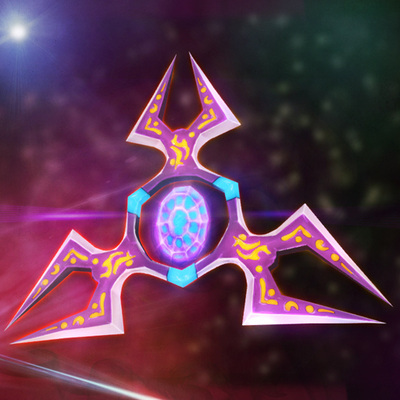 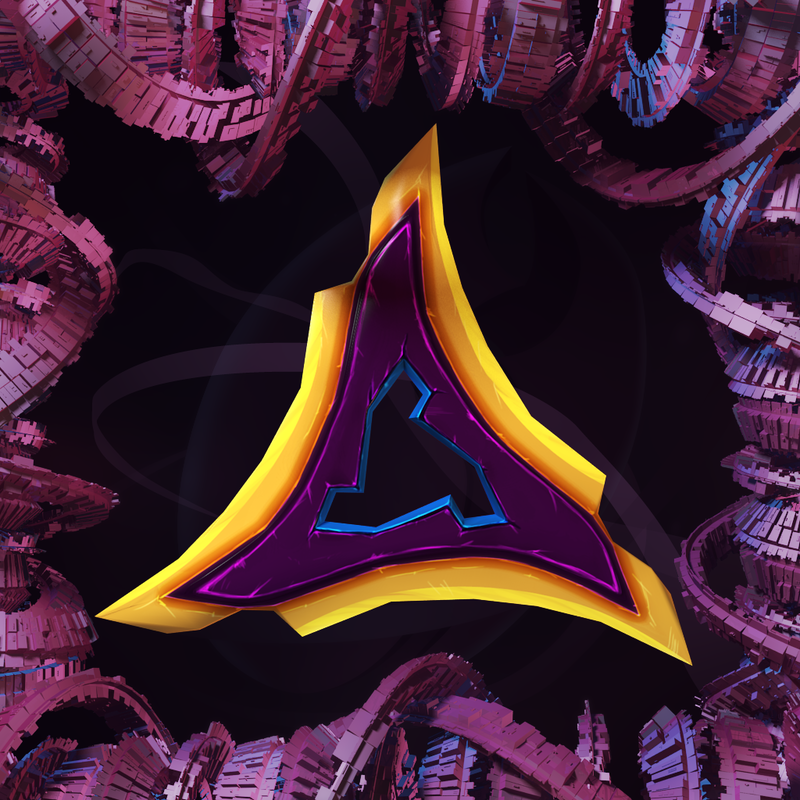 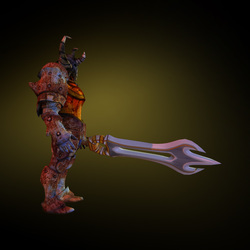 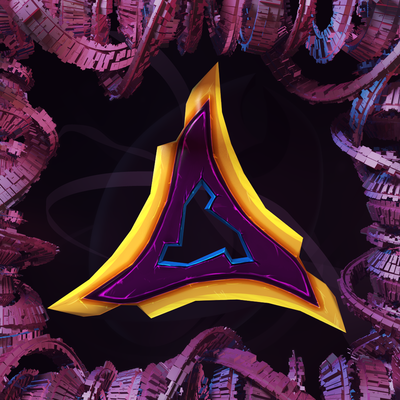 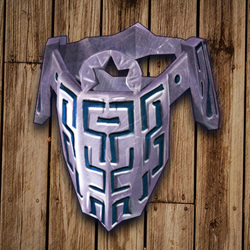 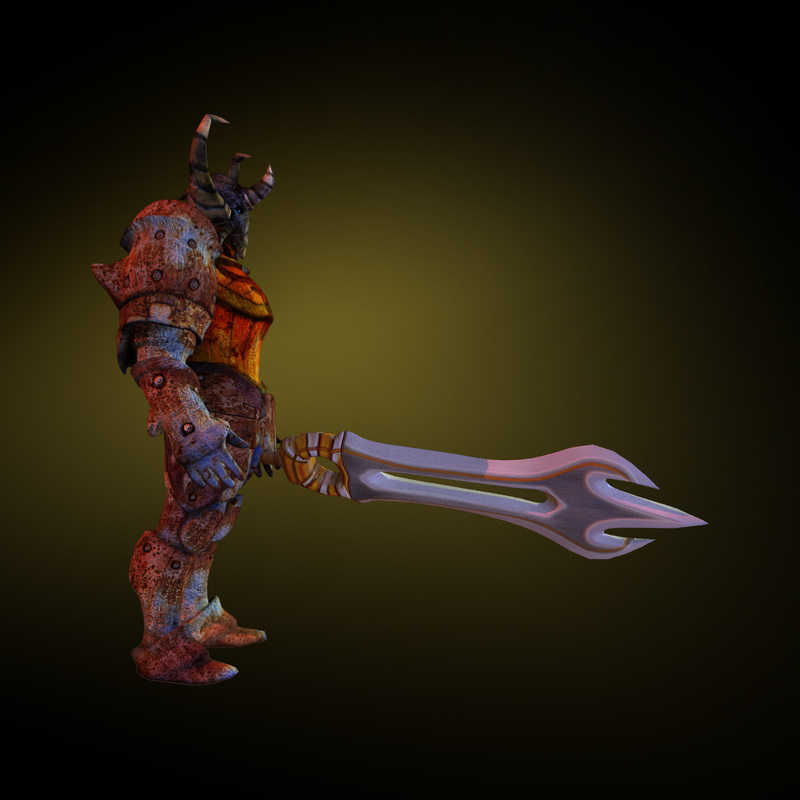 Here your item gets to life in all of the three dimensions. 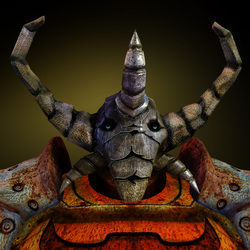 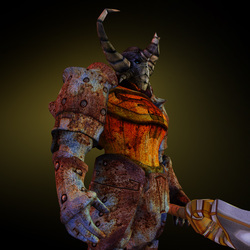 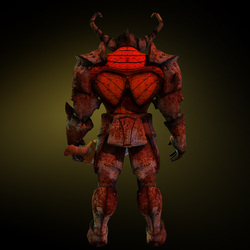 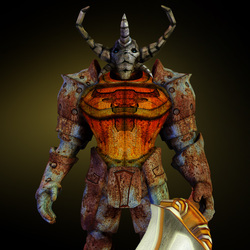 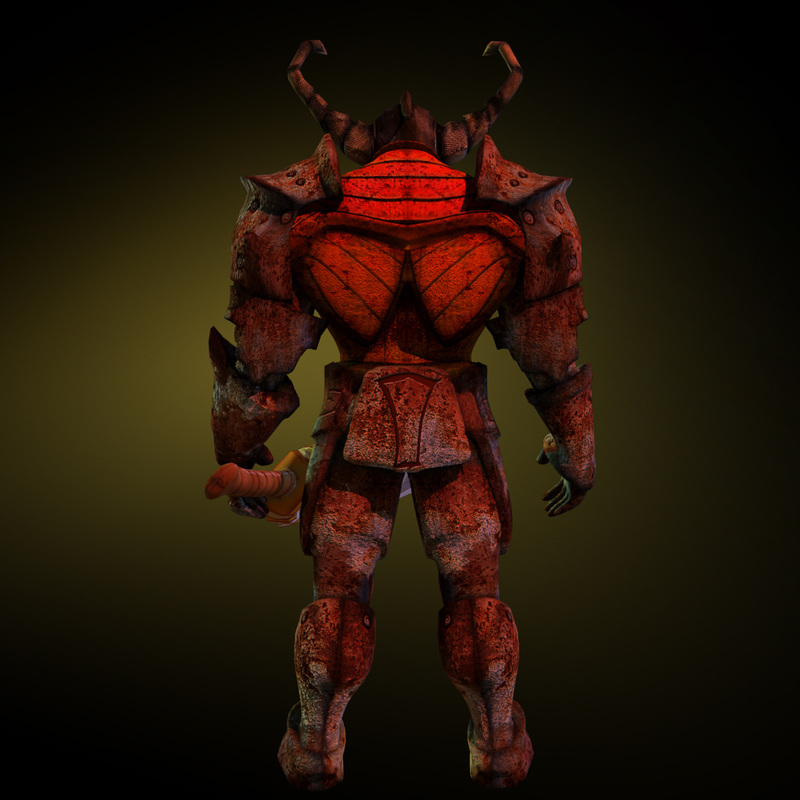 Since you must respect many polygon and texture limits, you must bare it in mind and eventually reshape the base model to fit the requirements. 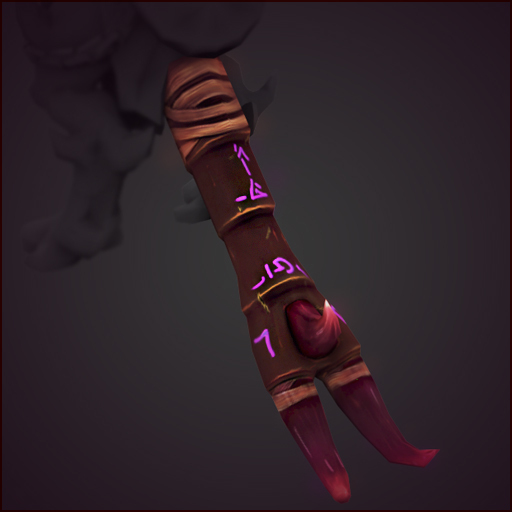 After this step is done, you must then setup the "uv coordinates" and get your model prepared for further improvements such as "high poly modeling", or sculpting eventually, and texture creation, or "baking" eventually. 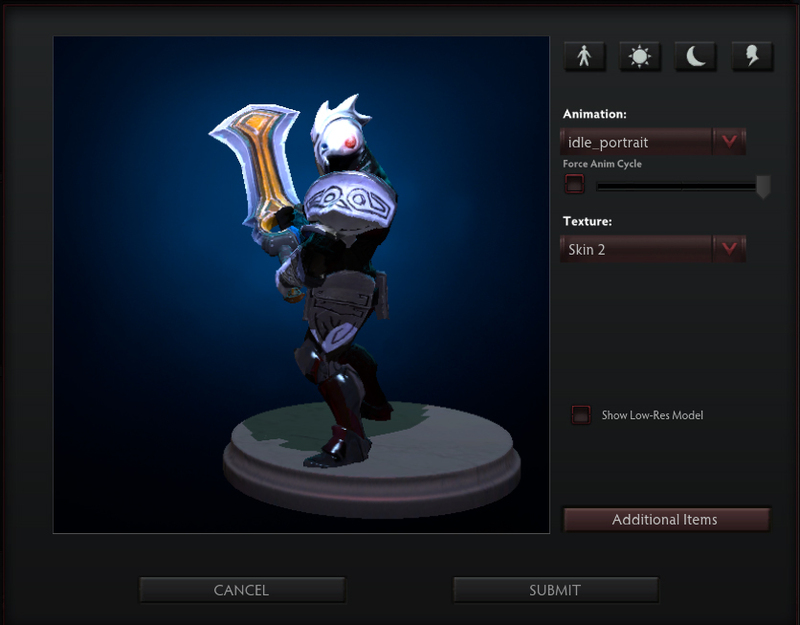 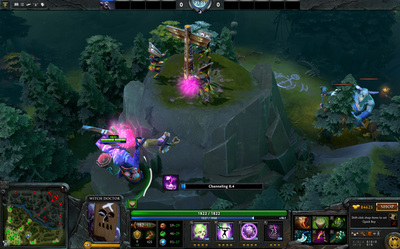 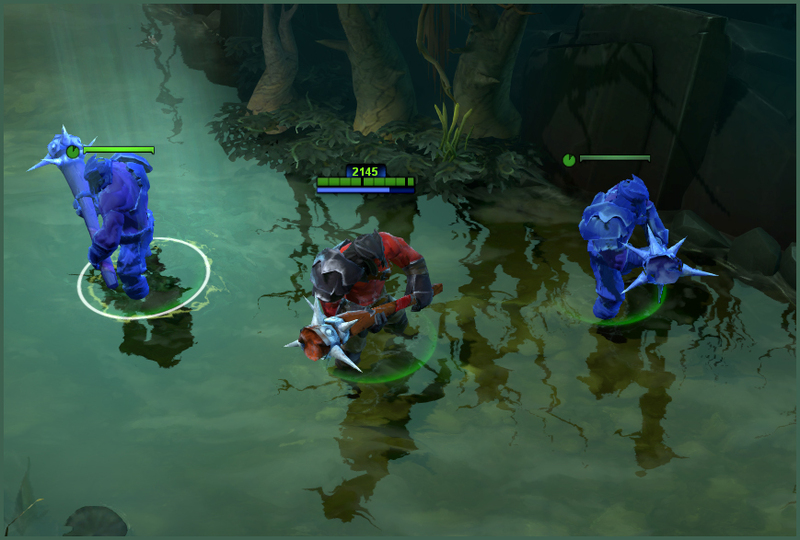 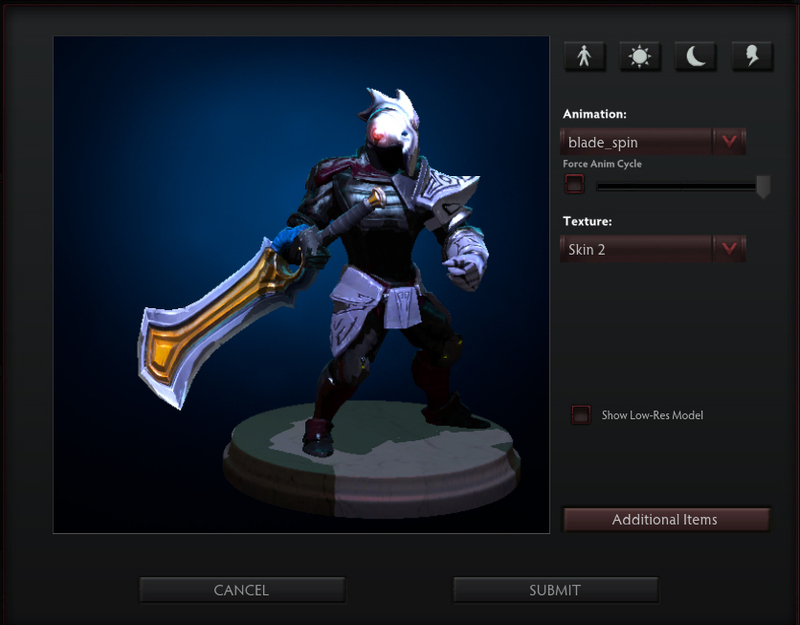 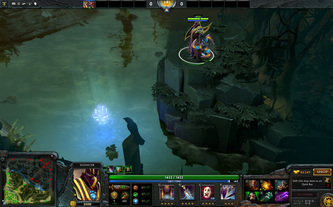 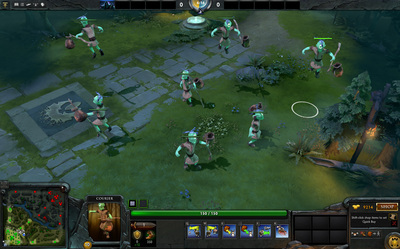 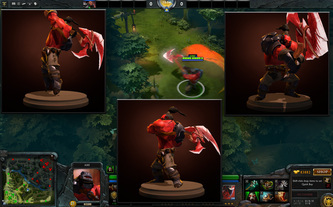 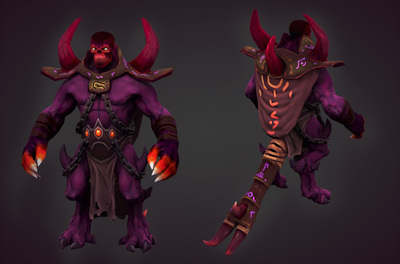 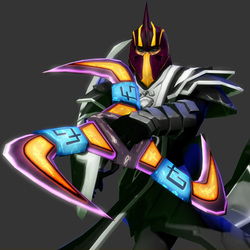 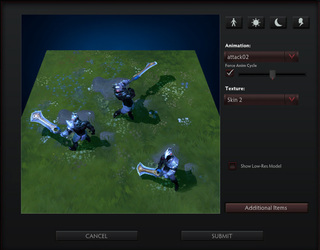 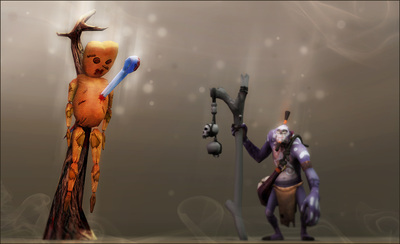 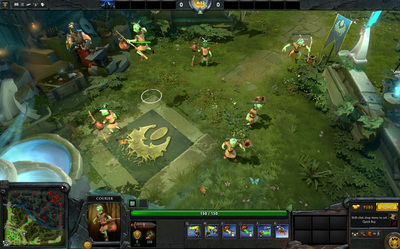 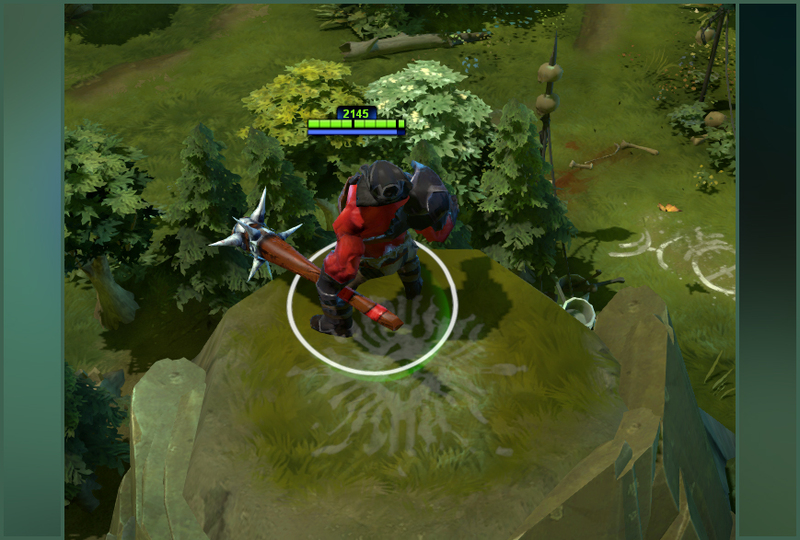 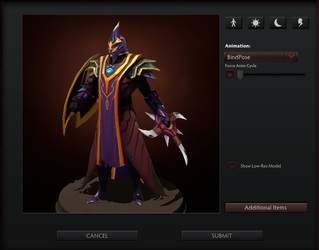 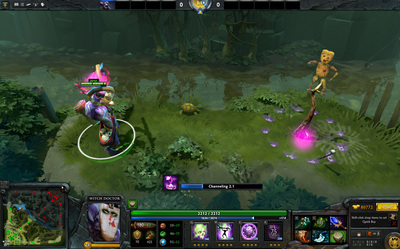 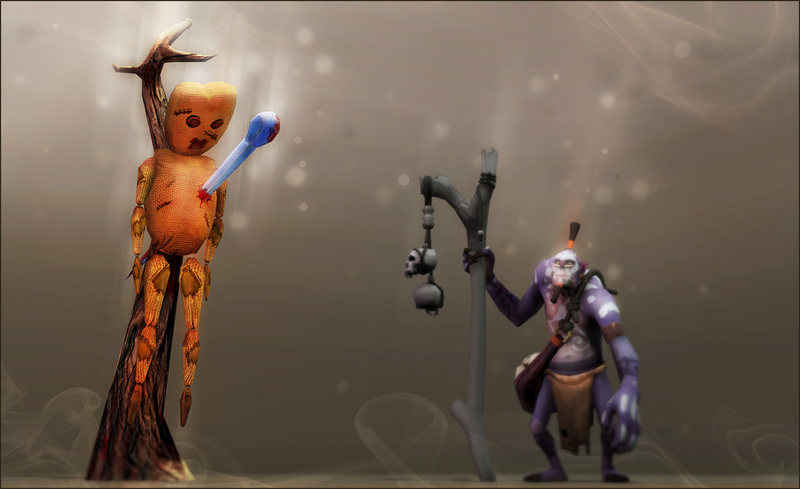 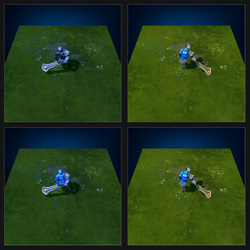 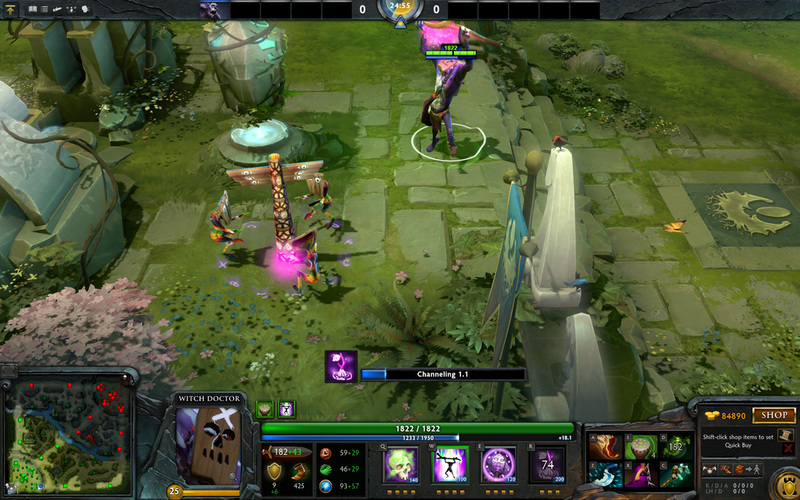 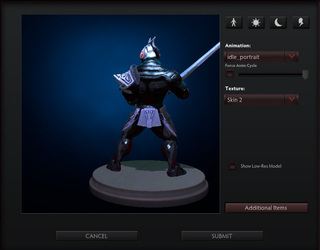 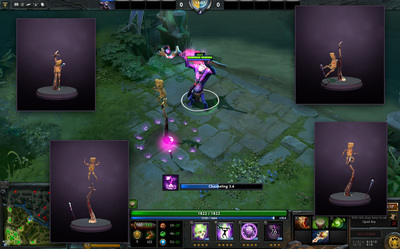 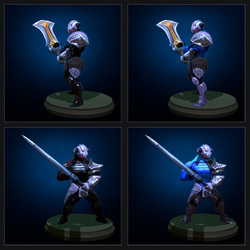 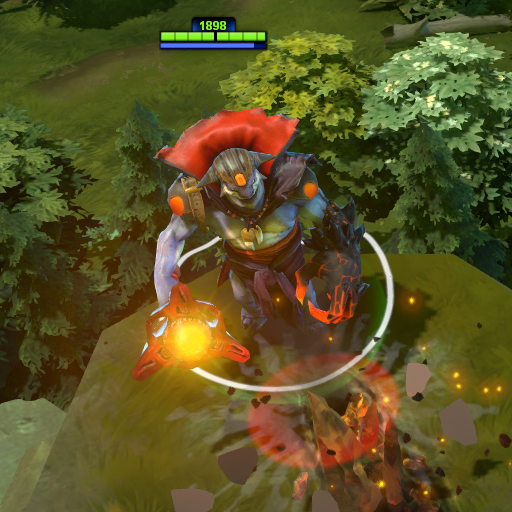 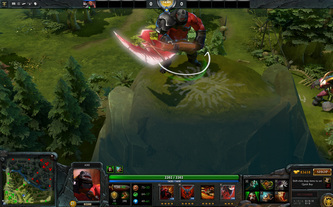 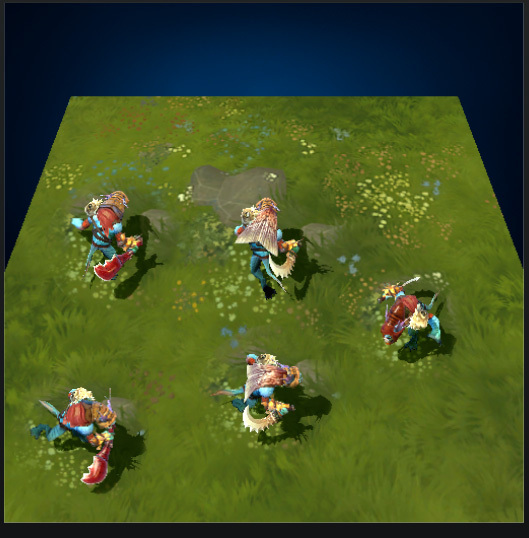 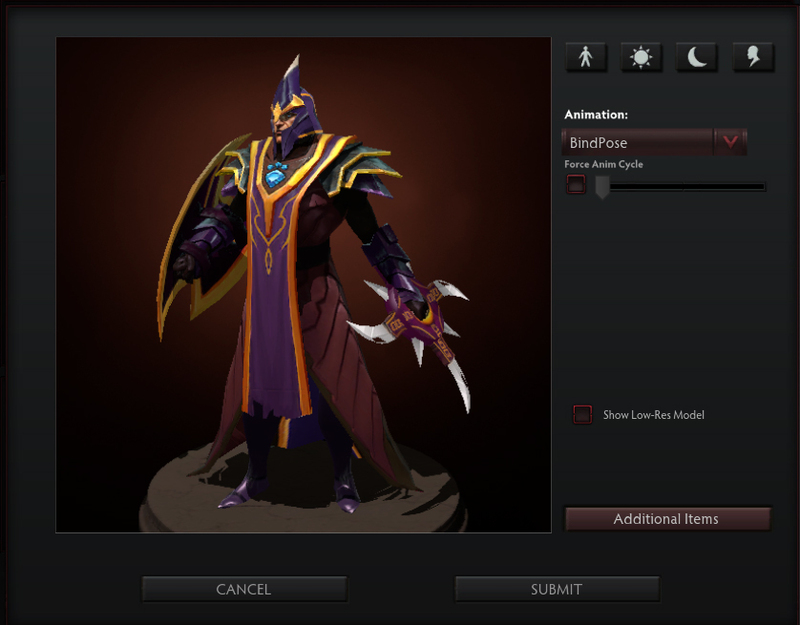 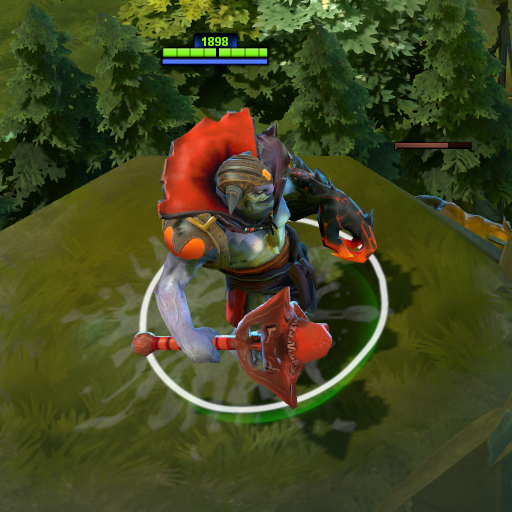 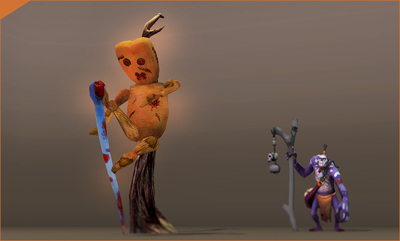 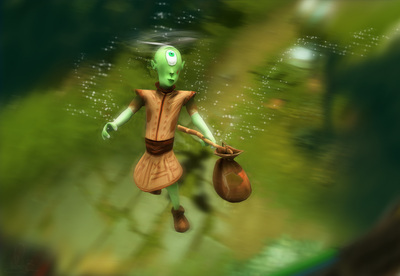 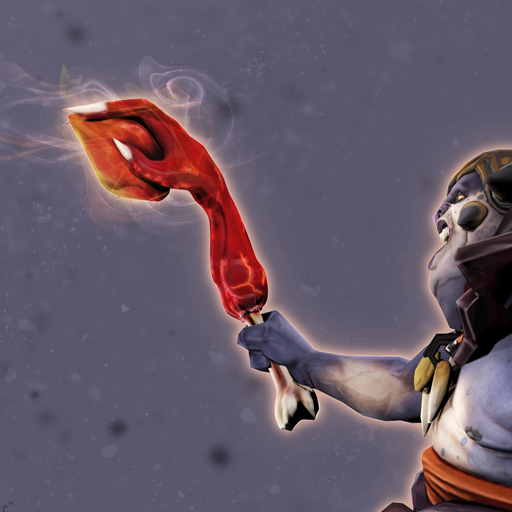 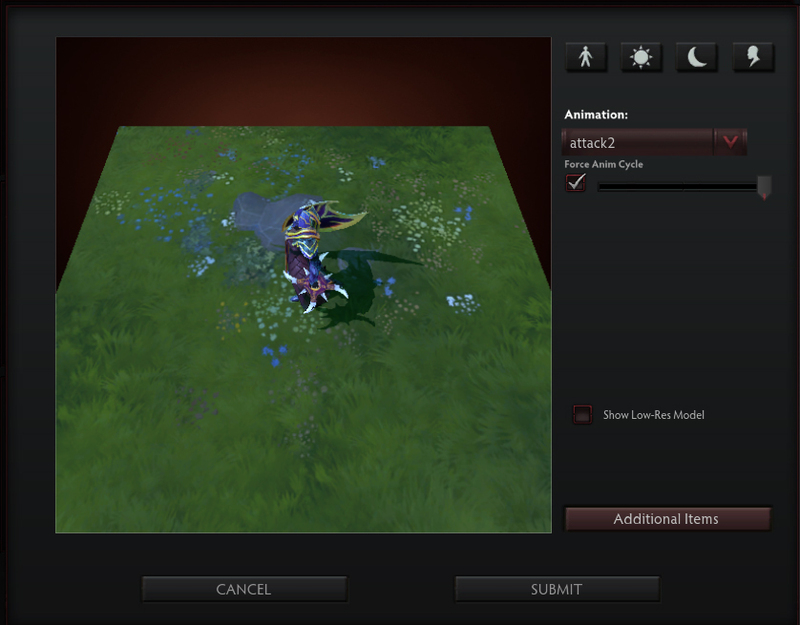 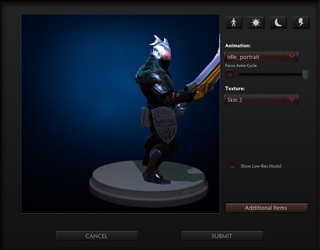 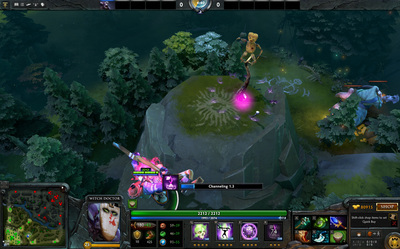 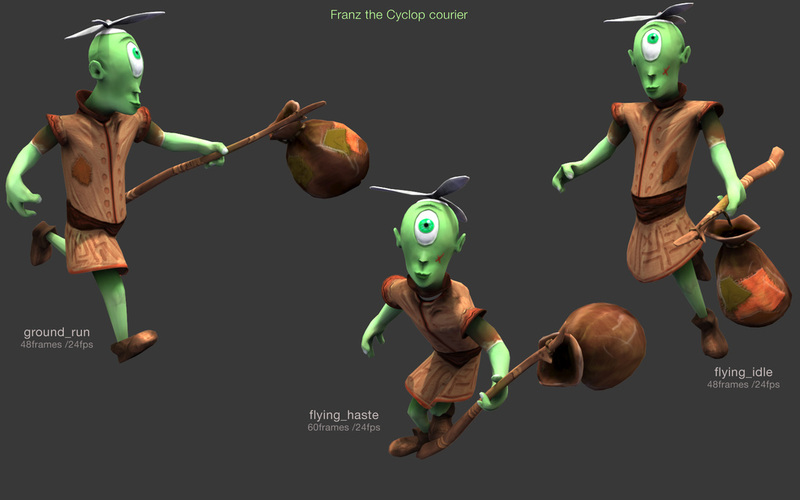 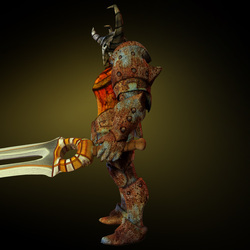 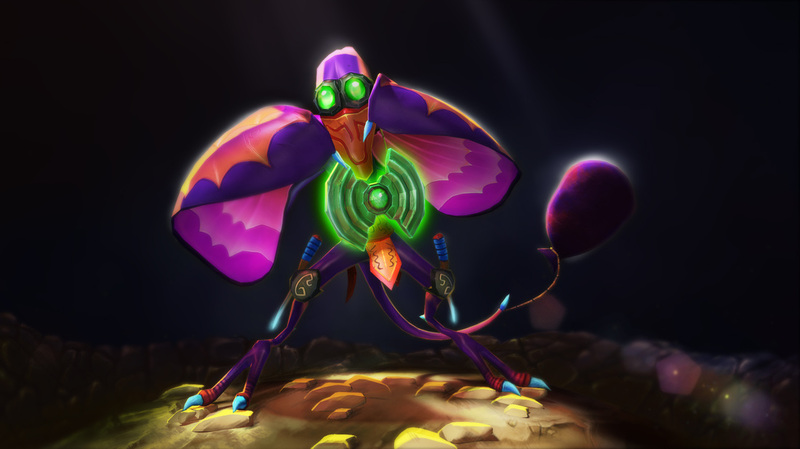 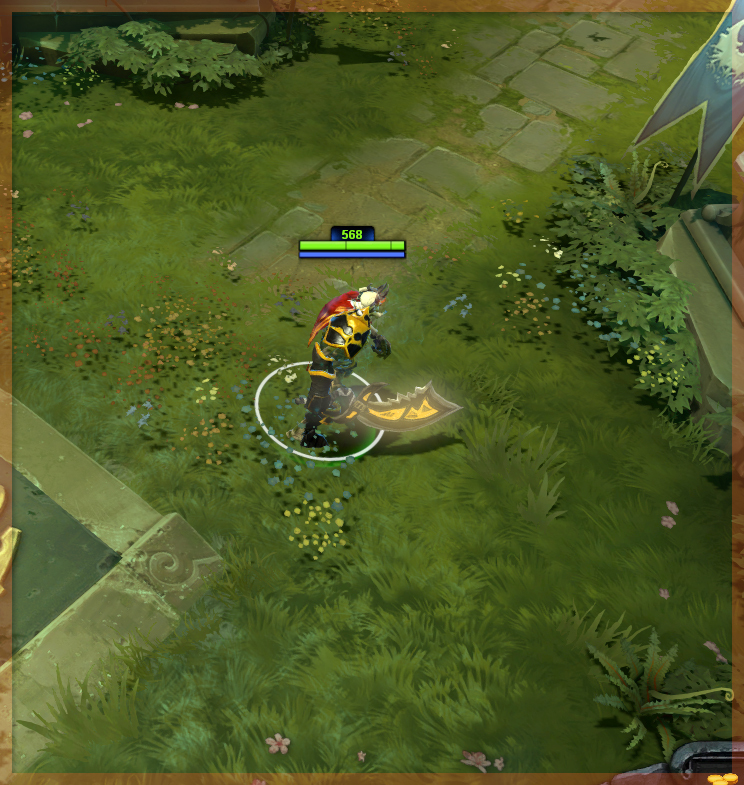 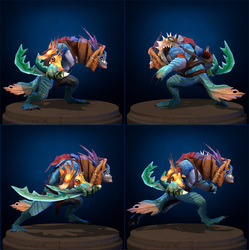 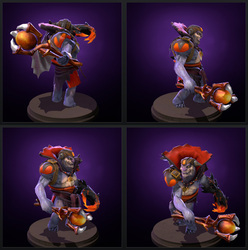 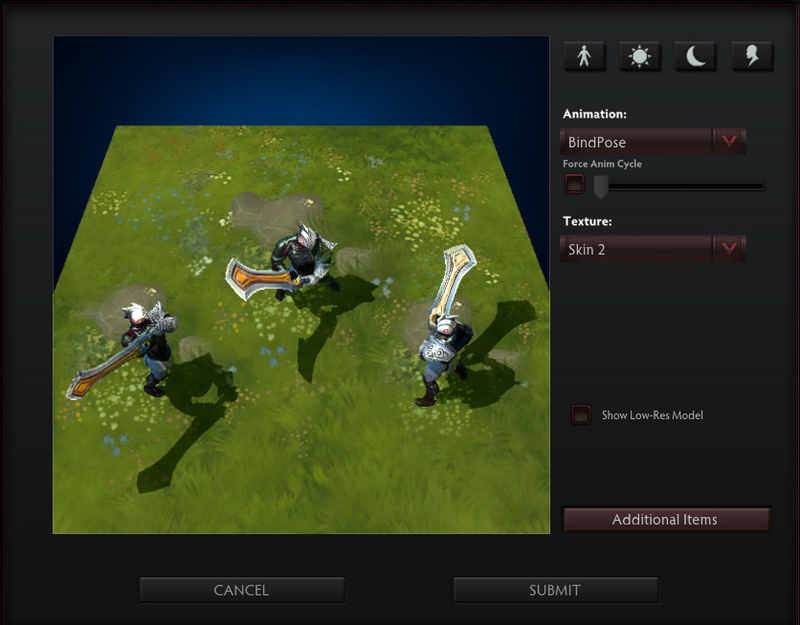 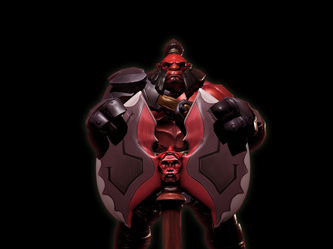 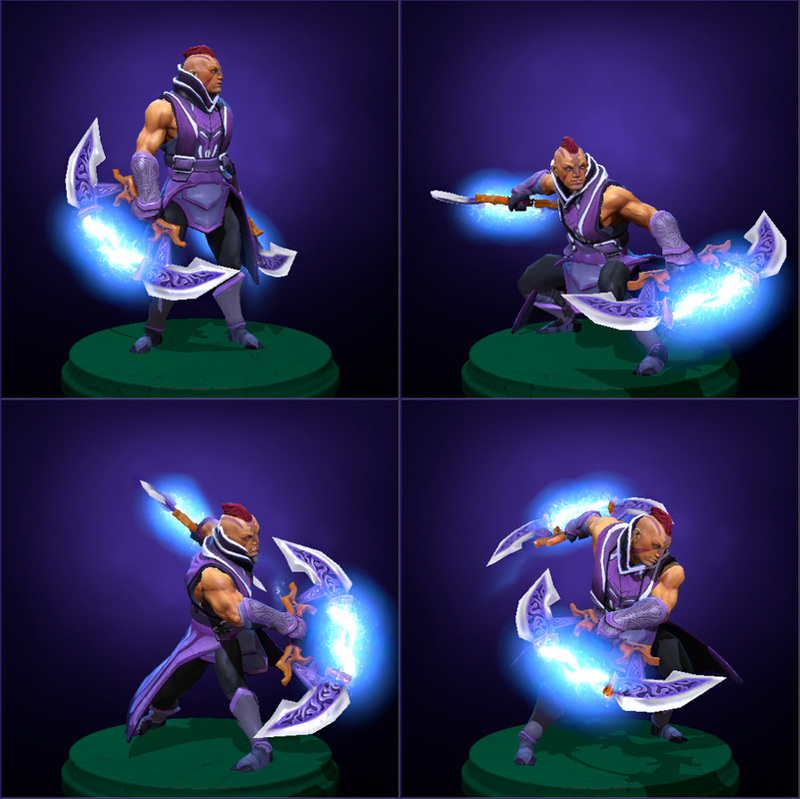 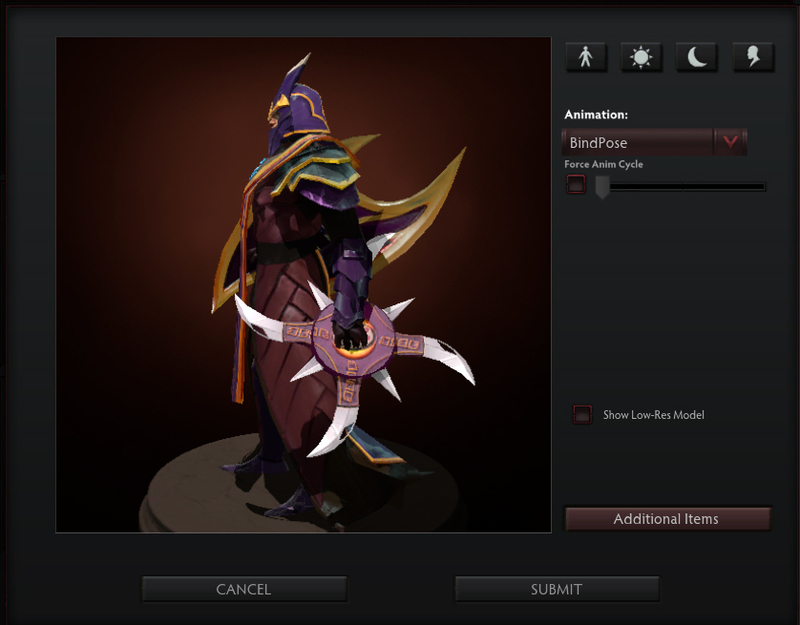 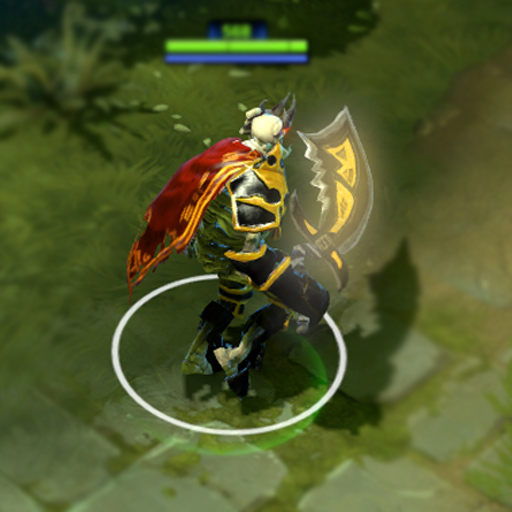 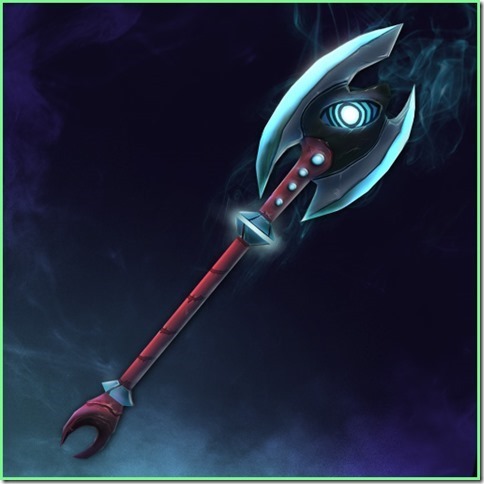 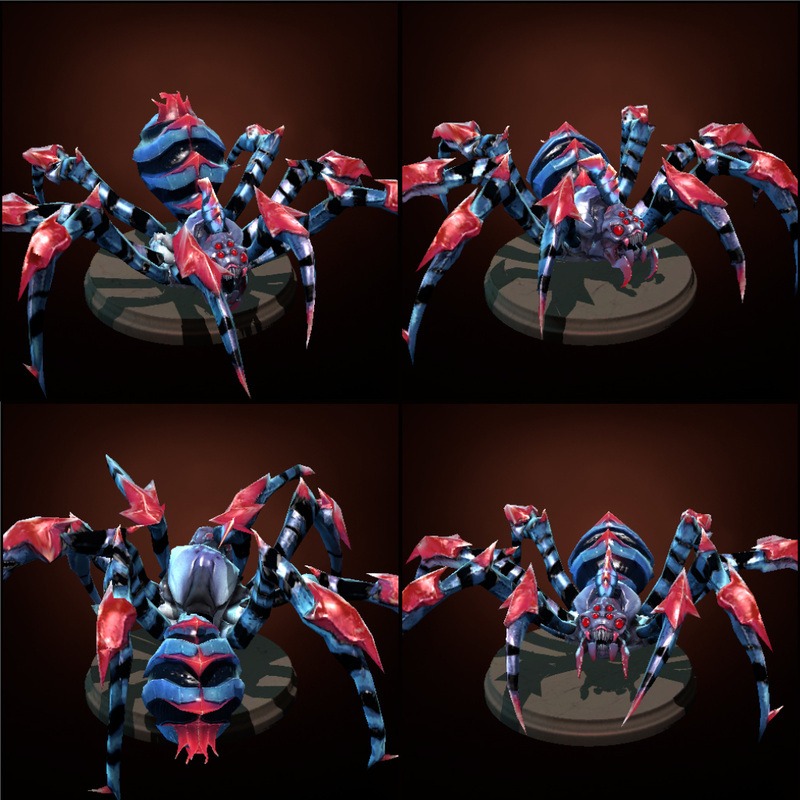 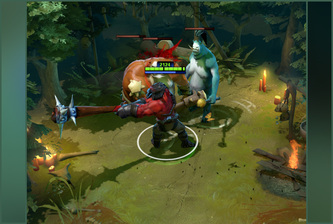 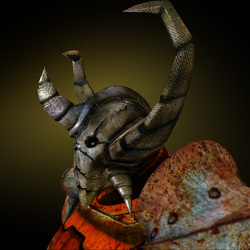 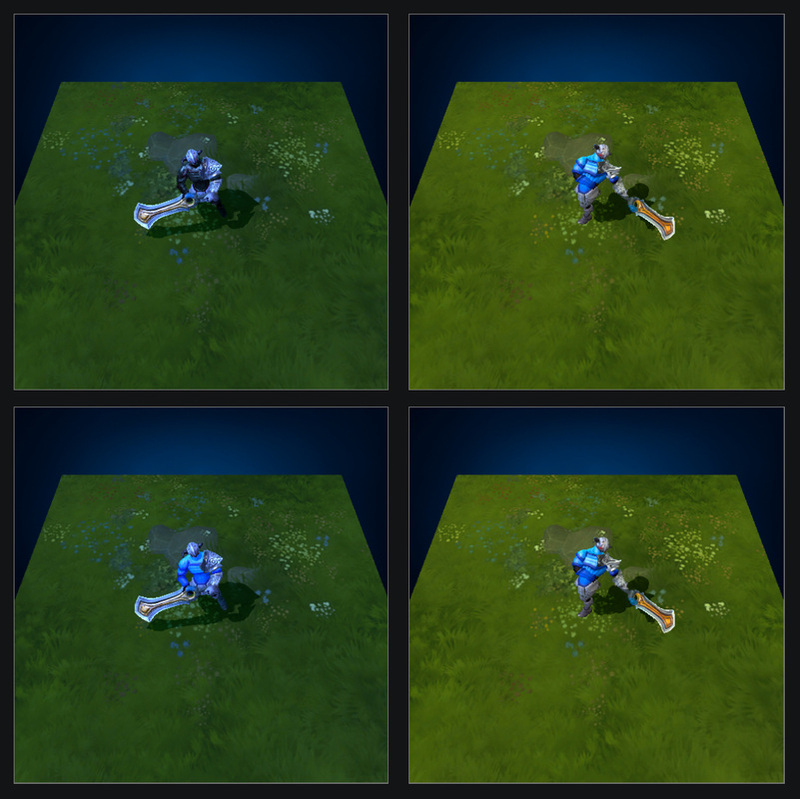 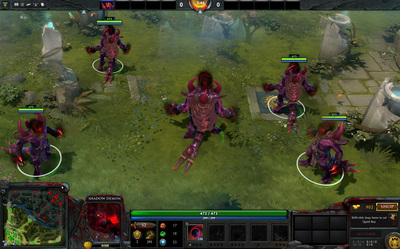 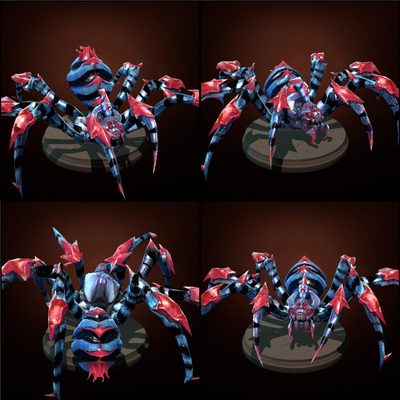 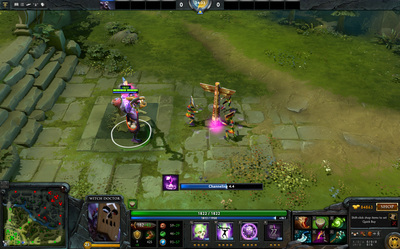 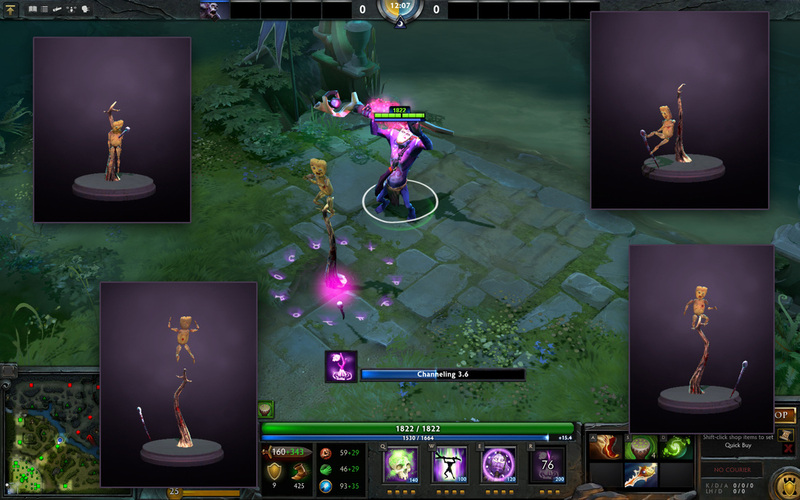 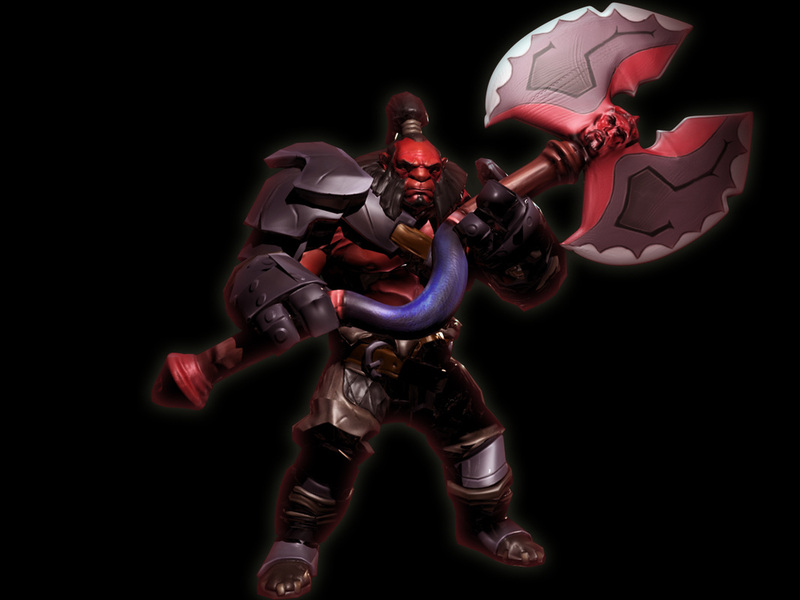 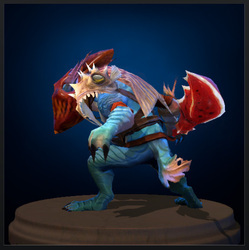 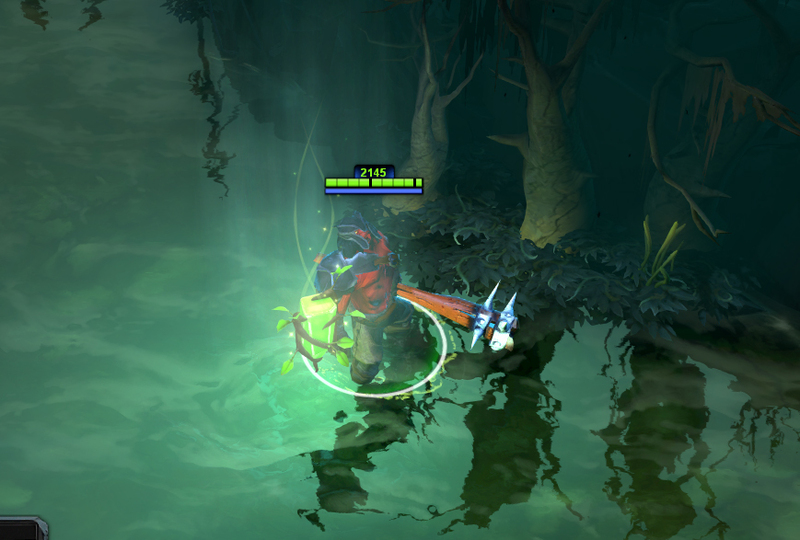 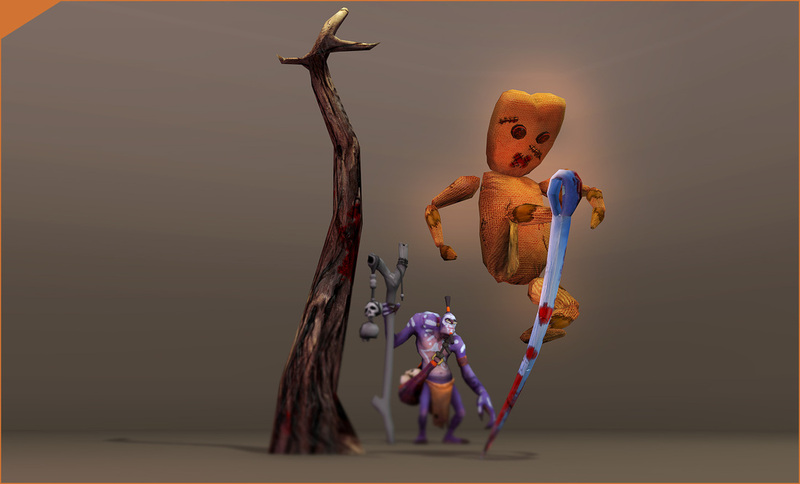 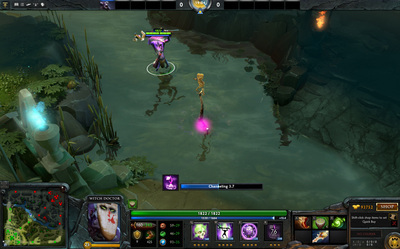 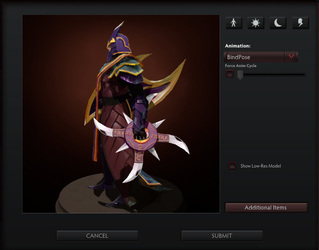 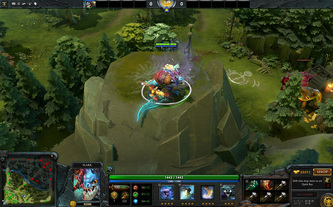 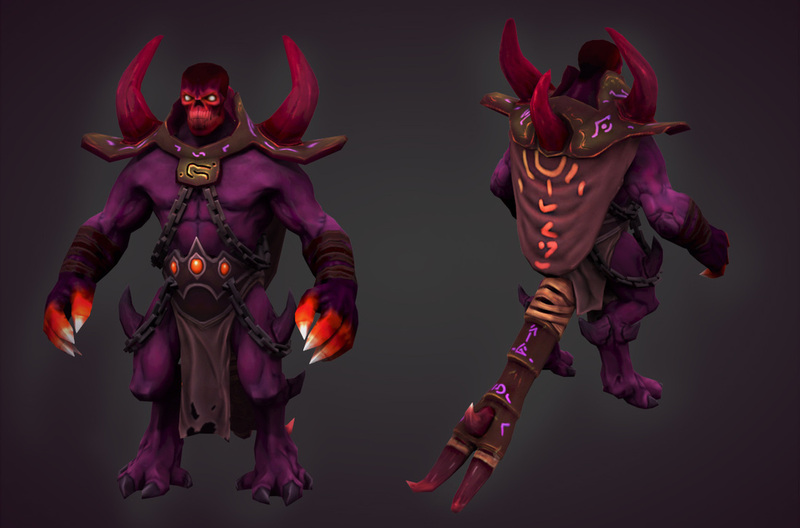 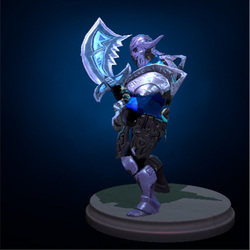 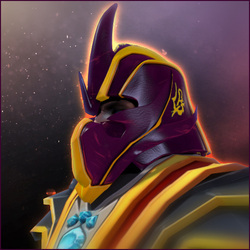 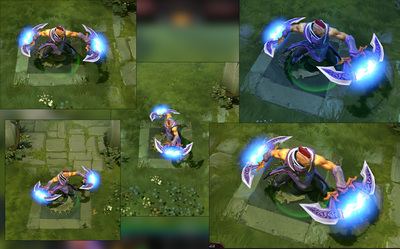 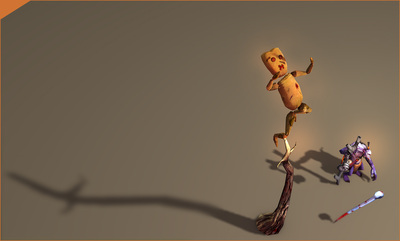 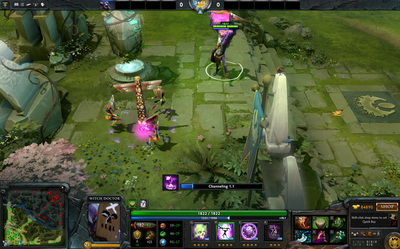 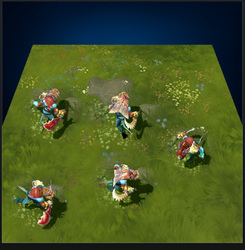 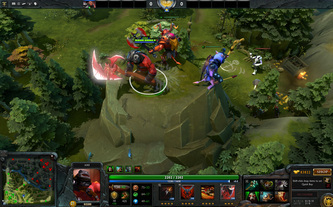 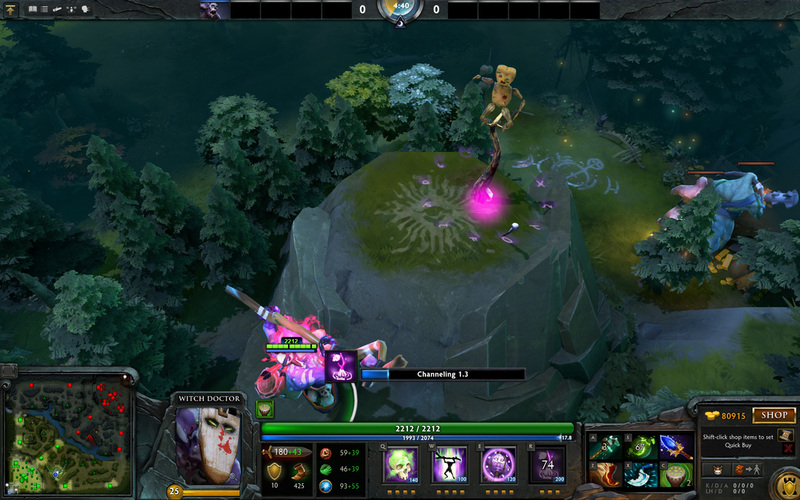 The final steps are to bind your model to the "rigging" you have been given or to create a new rigging setup in order for your model to act correctly and correspond to the item you have chosen (that may be a "ward", a "courier" or a single or set of "items" for given heroes). 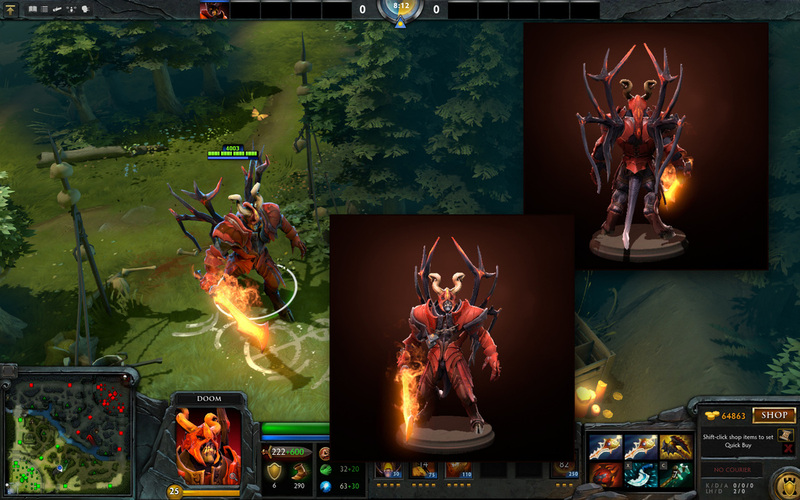 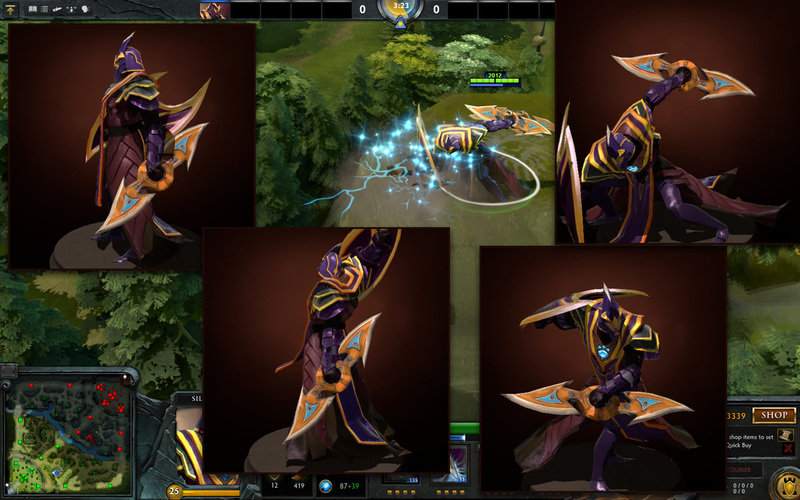 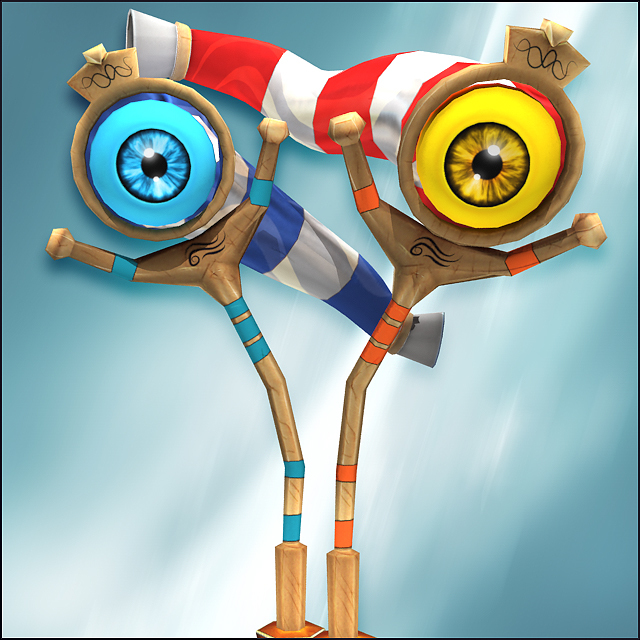 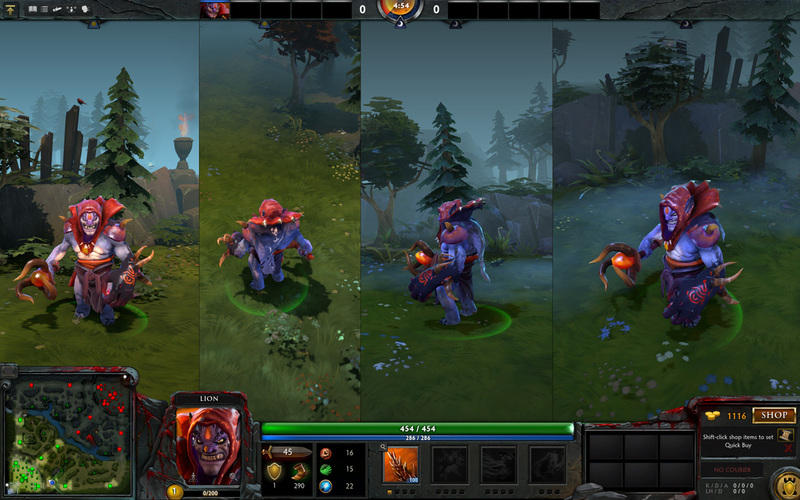 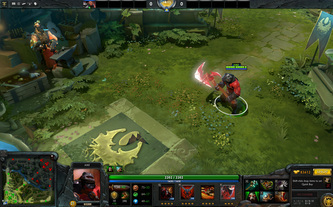 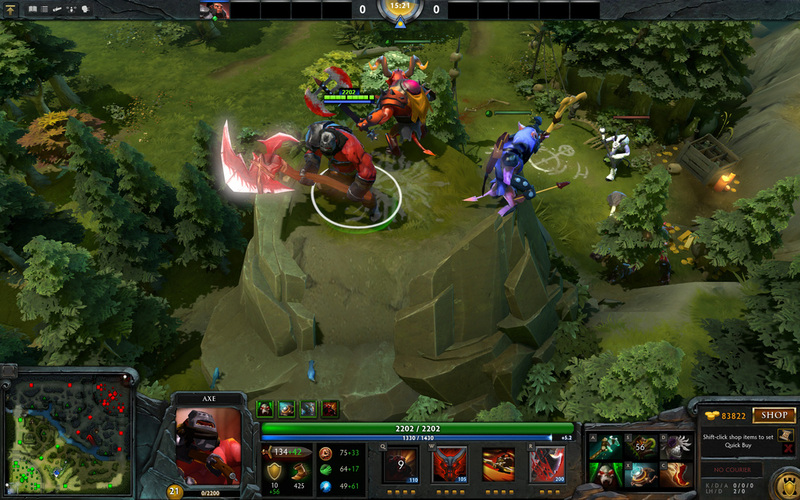 The final retouch are the "masks" (the way valve shades the model withing their software engines). 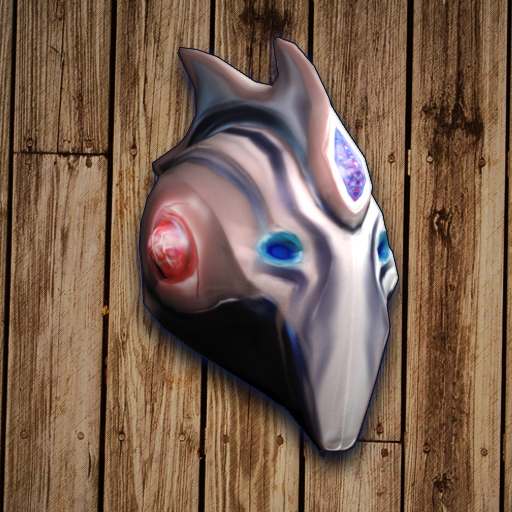 You must create two masks with all the four channels interacting between, so you rather have a glossy area, a metal area, a dirt area, a clean area, and so on. Procedure may vary from one item to the other and this is not the only way to reach the same result, but as I have already mentioned it involves a lot of steps and constraints that must be respected and followed carefully. 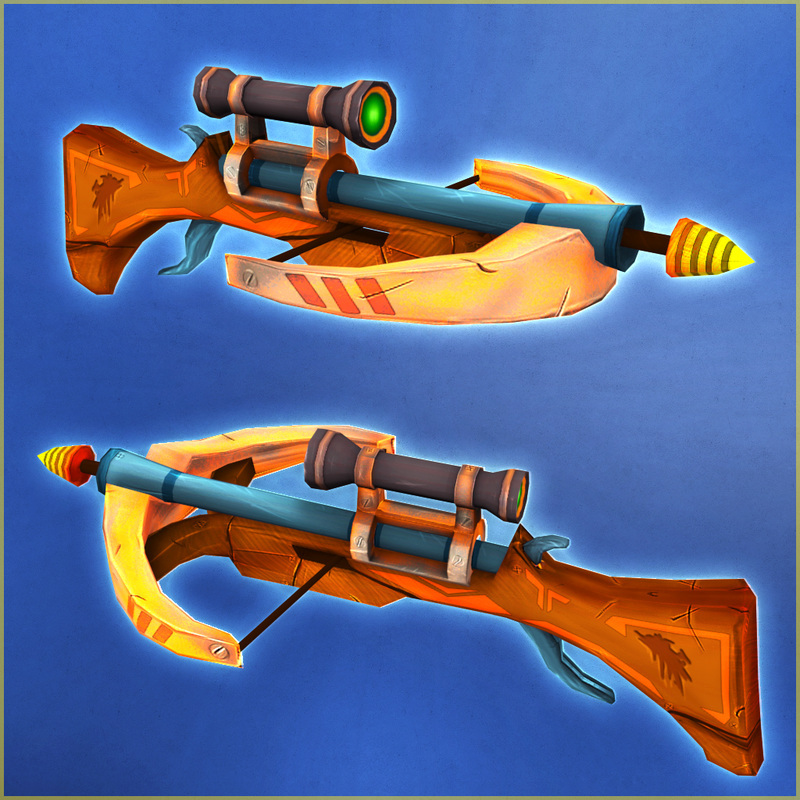 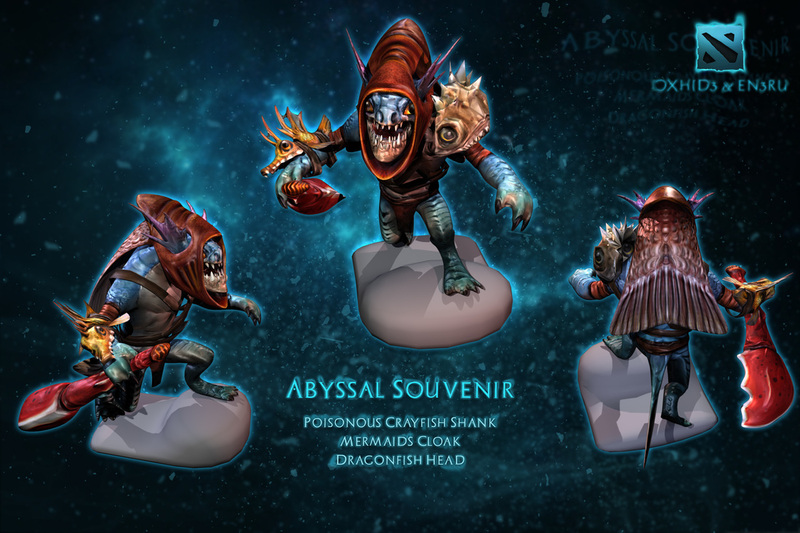 Here is a list with those items in my opinion, the most interesting ones (full list here). 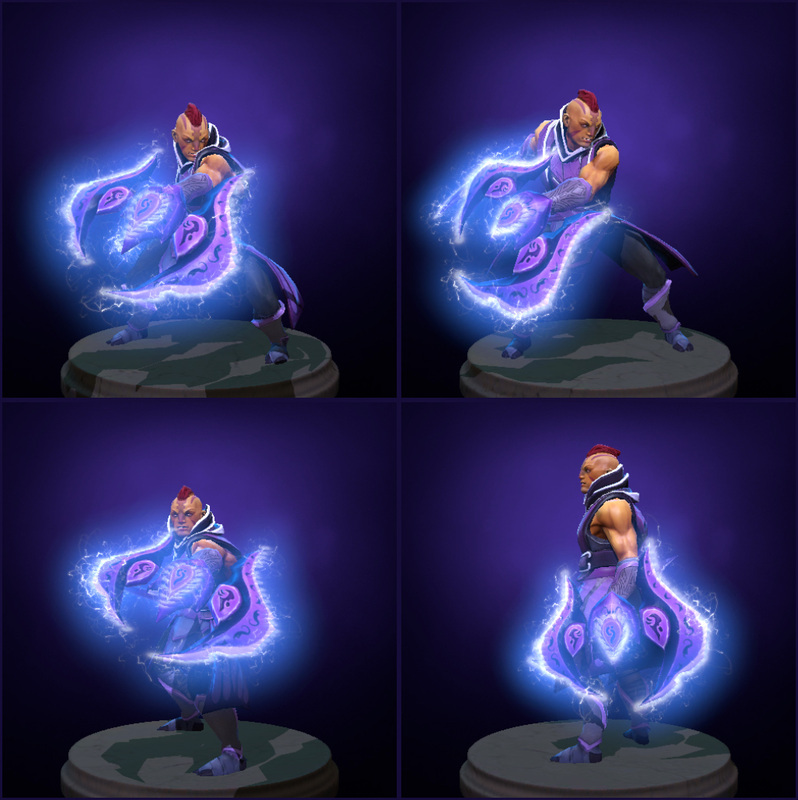 Please visit the ﻿GIF SECTION to see some of the Items in action! 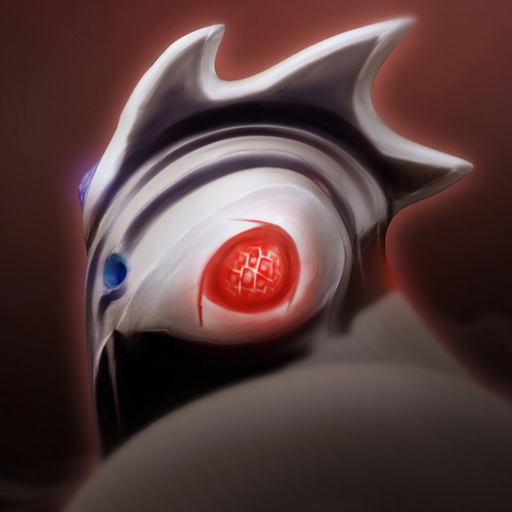 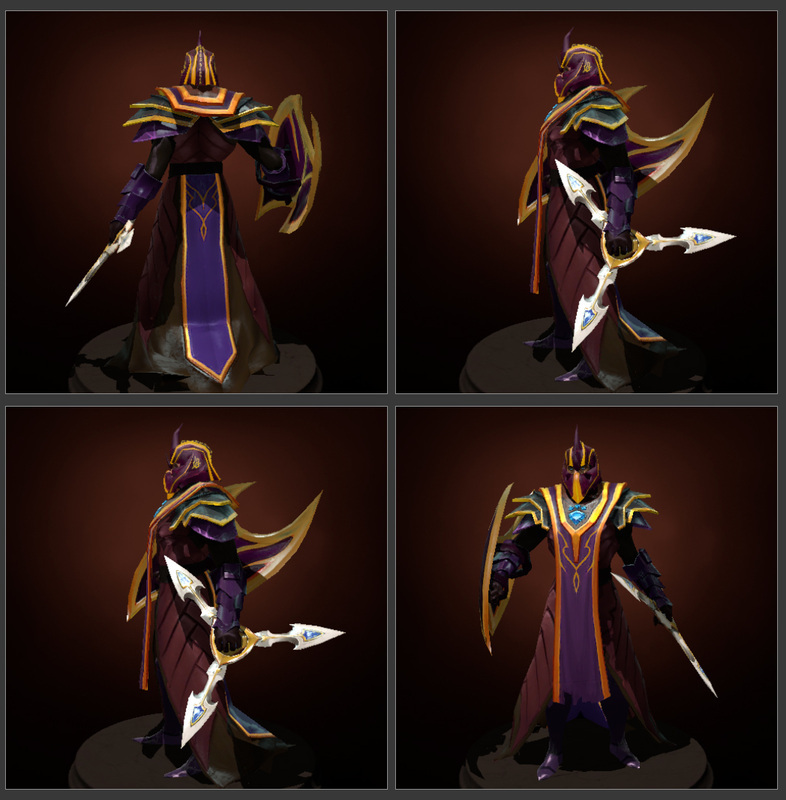 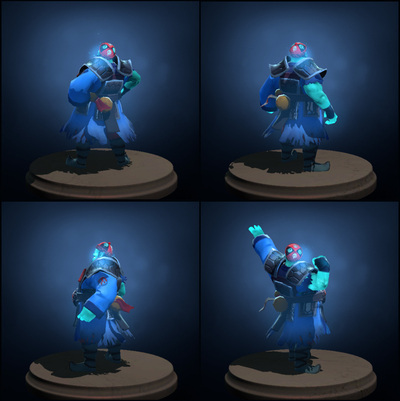 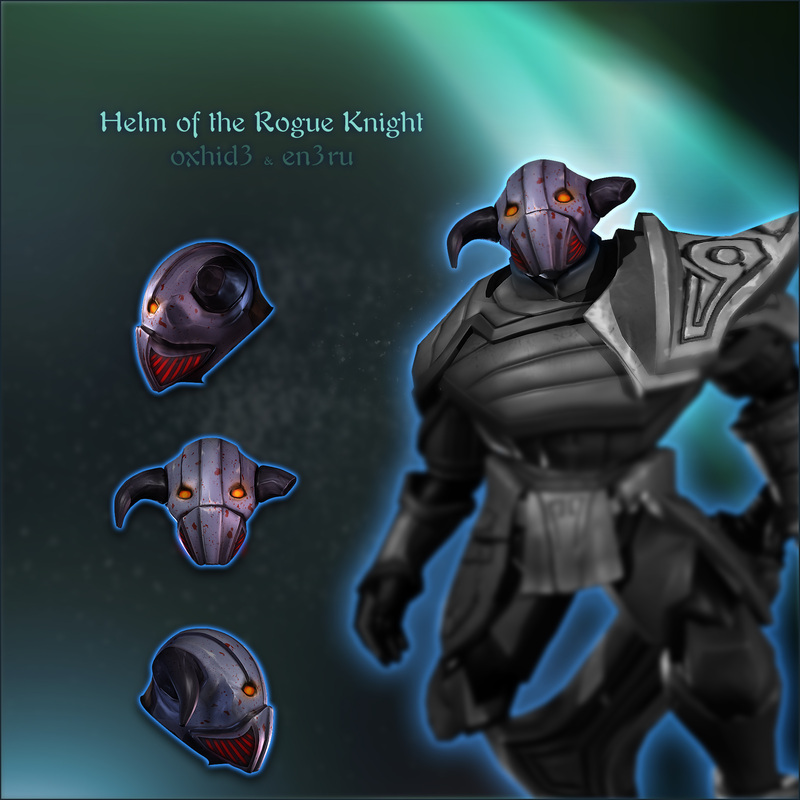 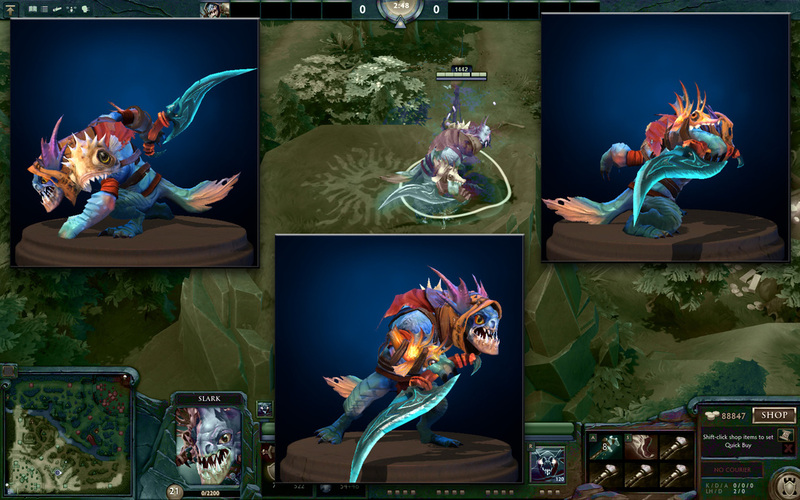 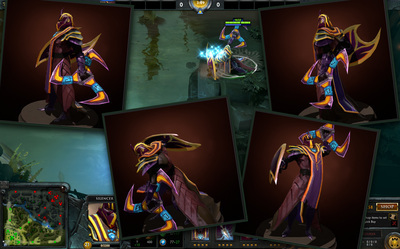 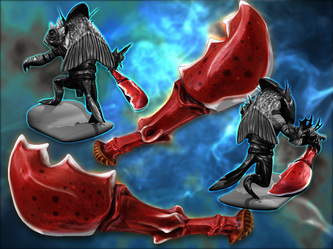 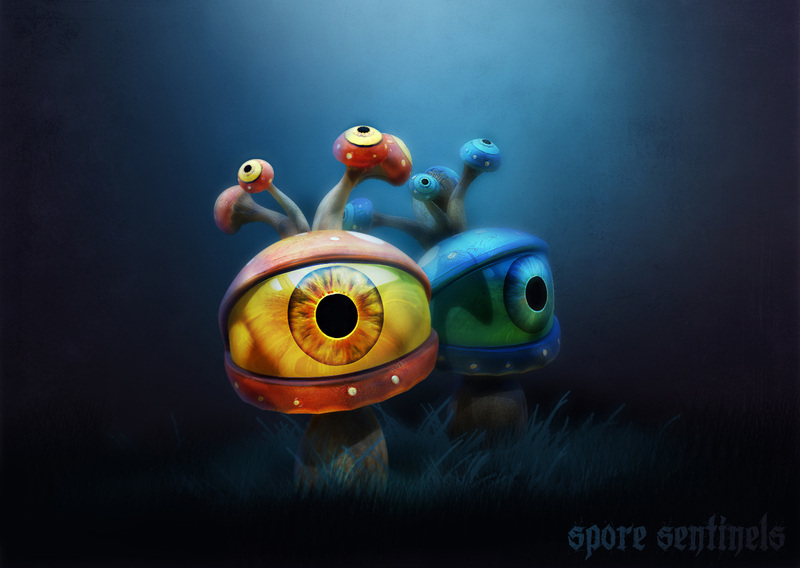 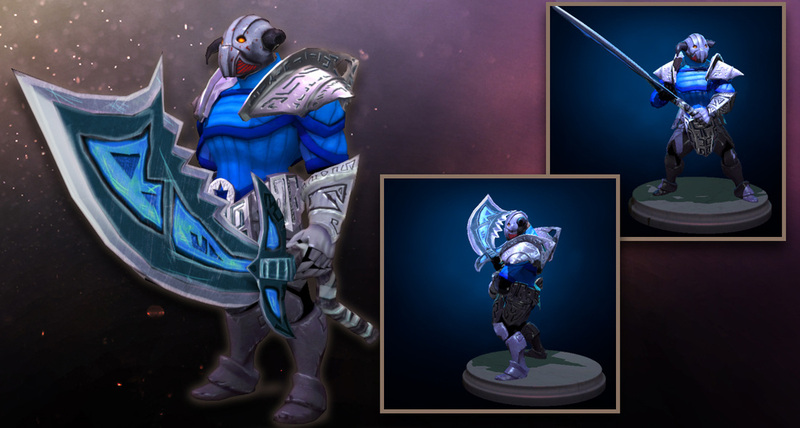 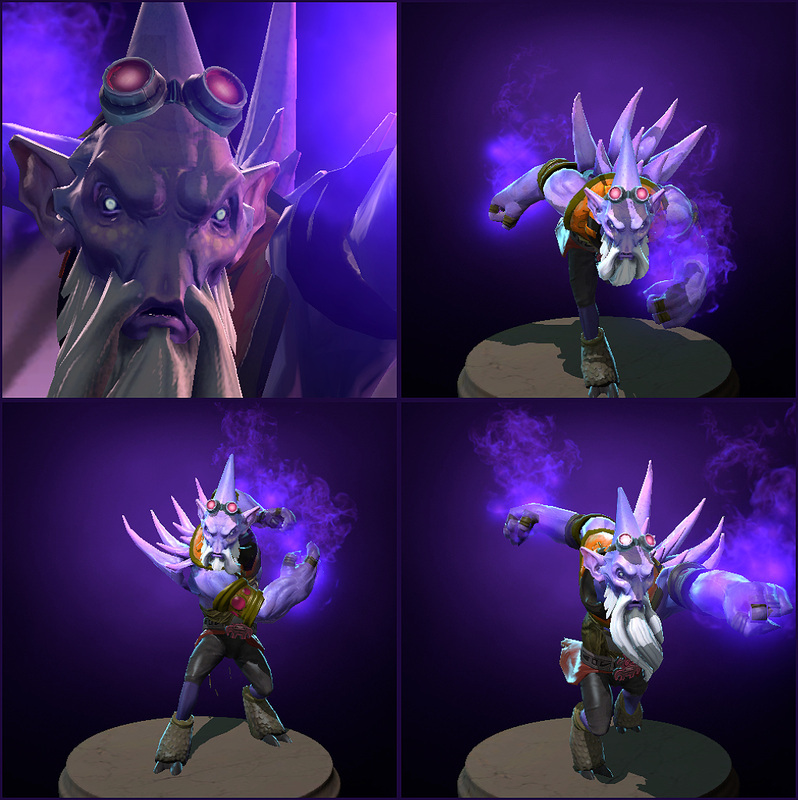 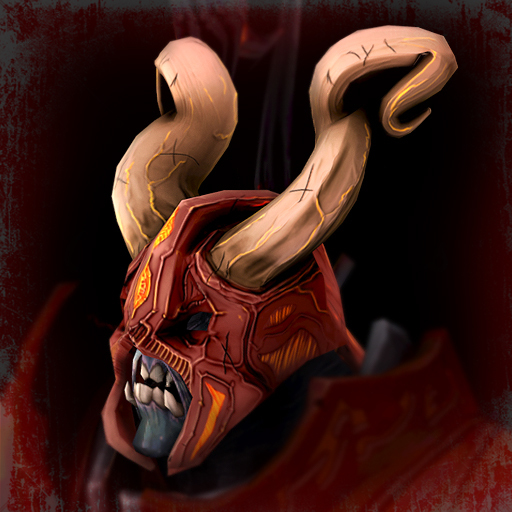 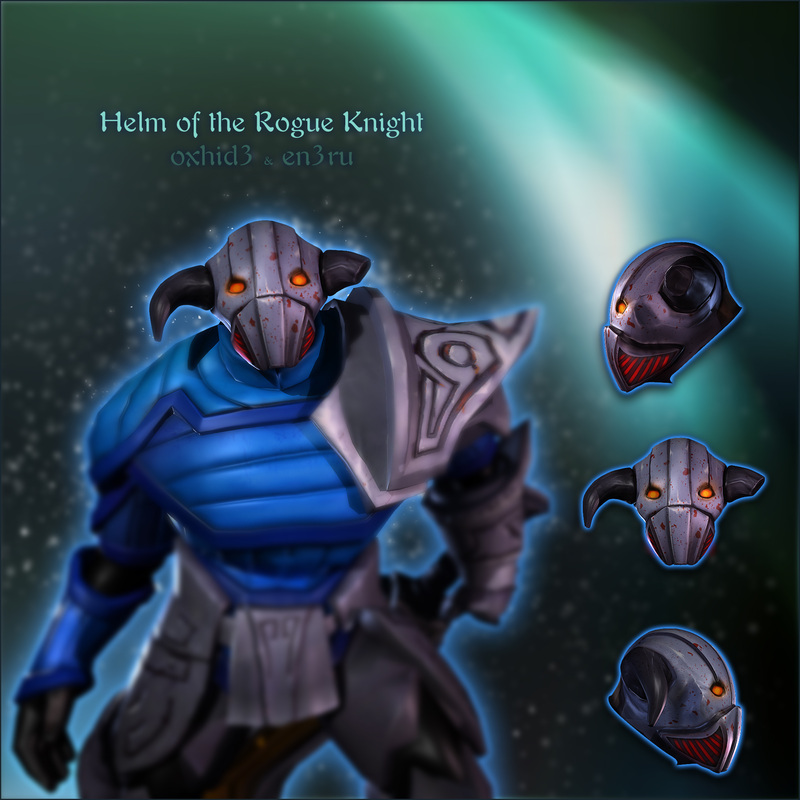 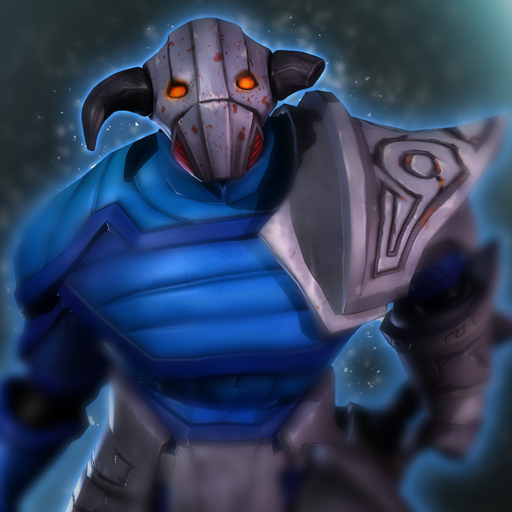 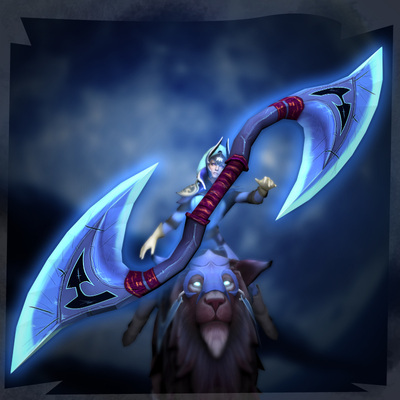 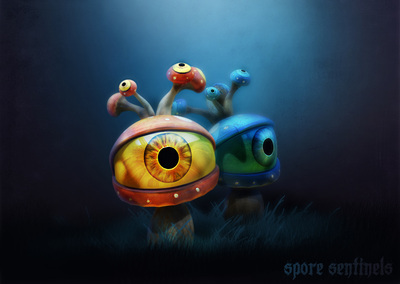 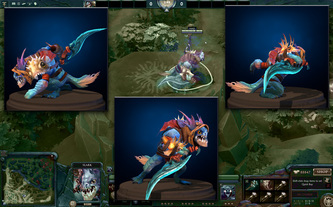 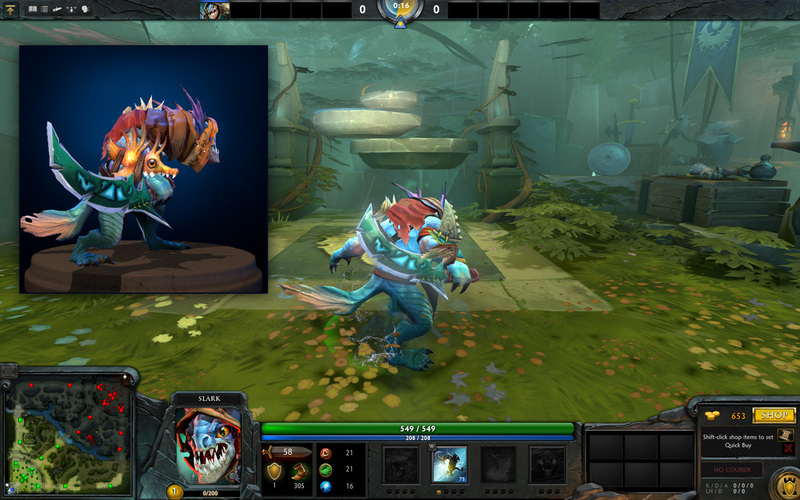 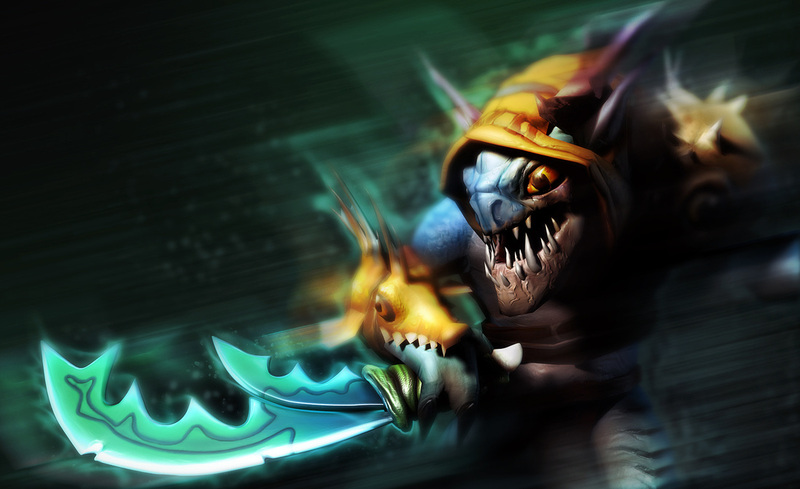 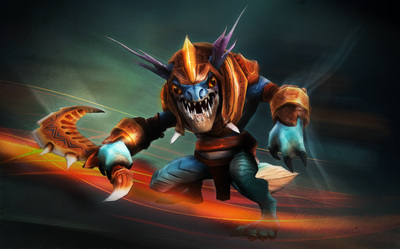 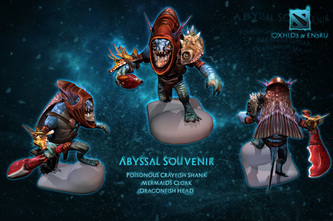 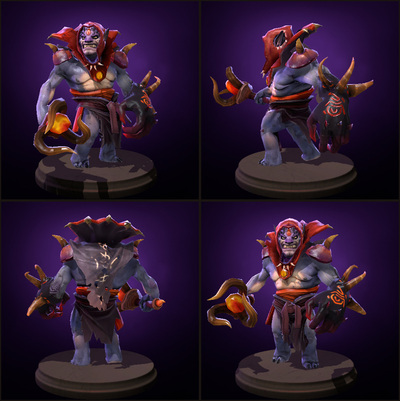 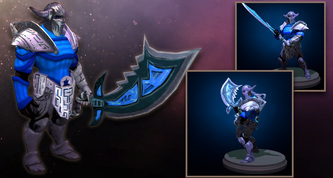 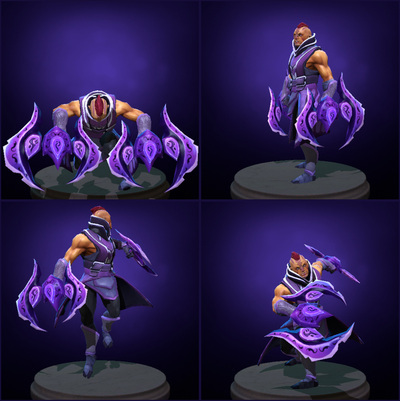 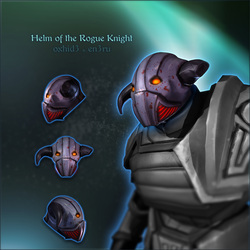 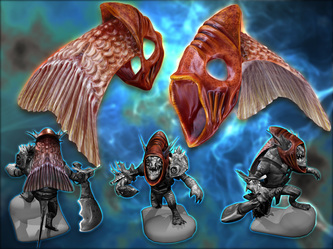 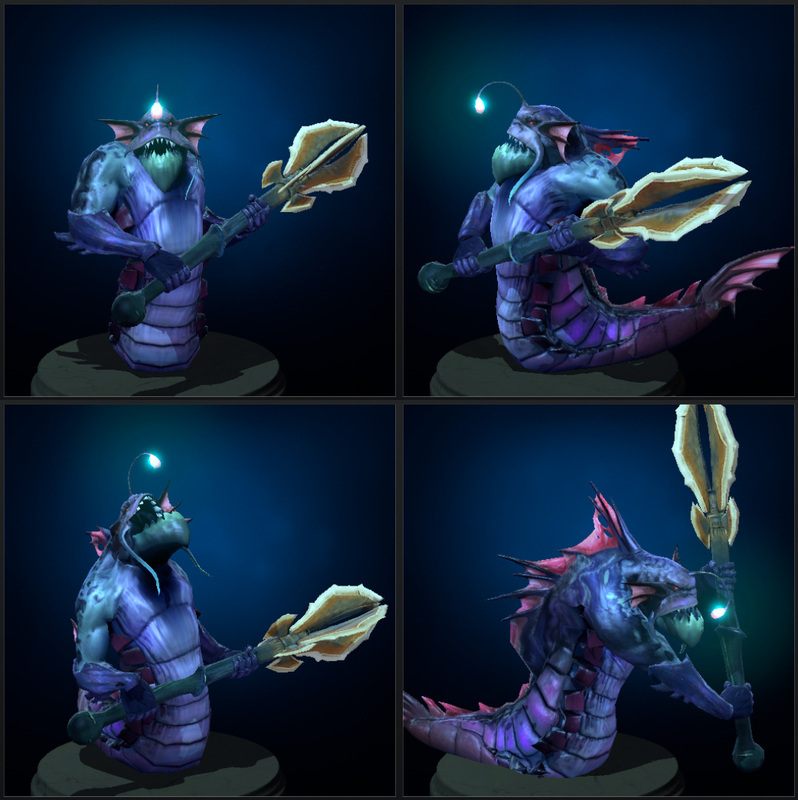 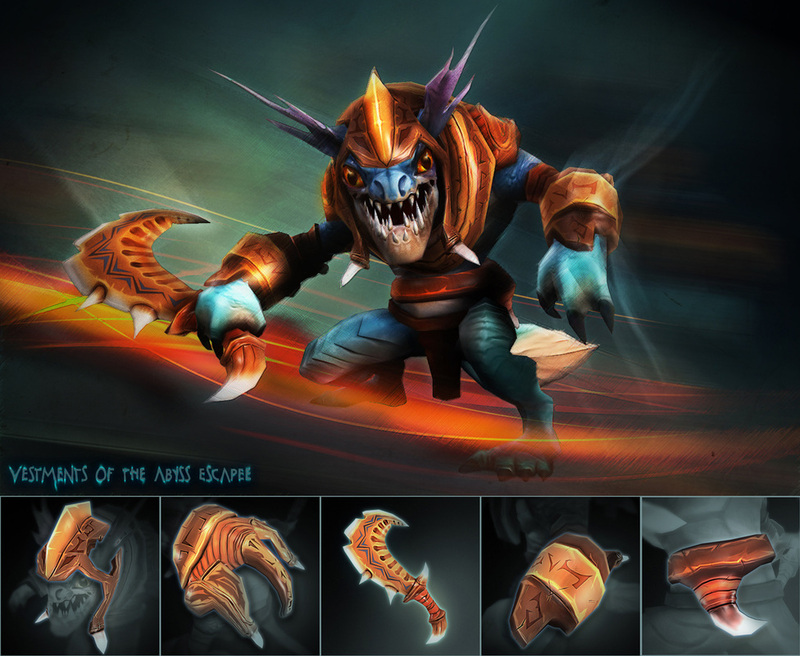 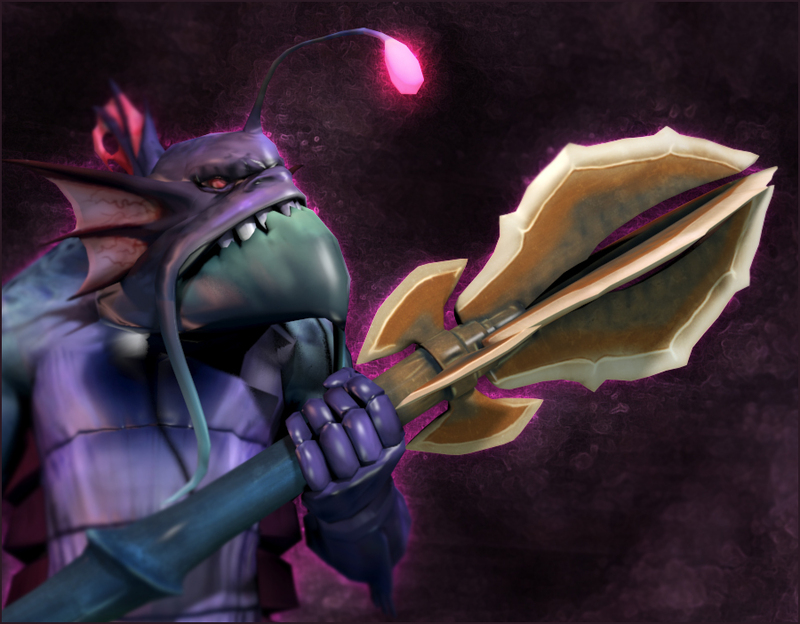 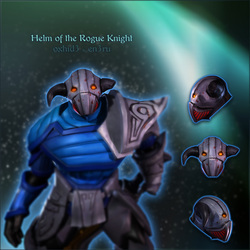 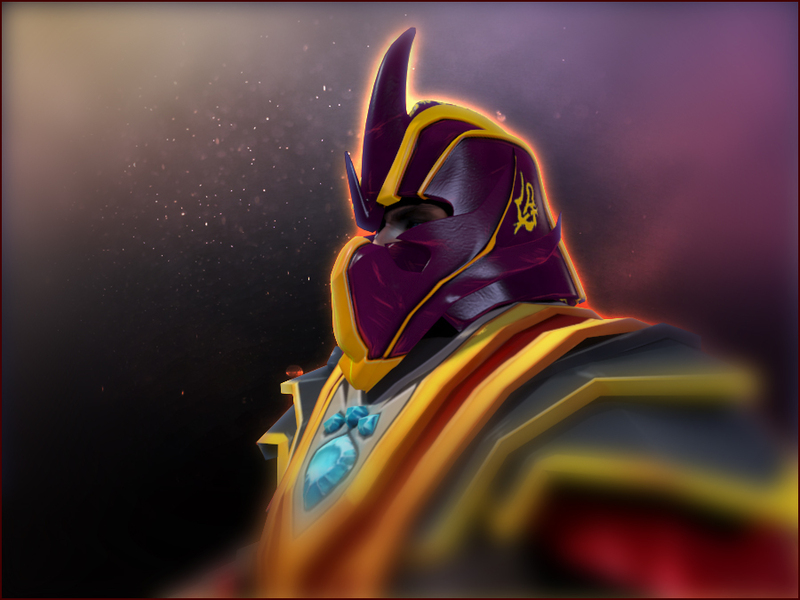 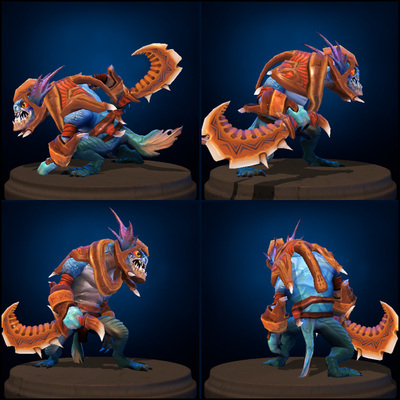 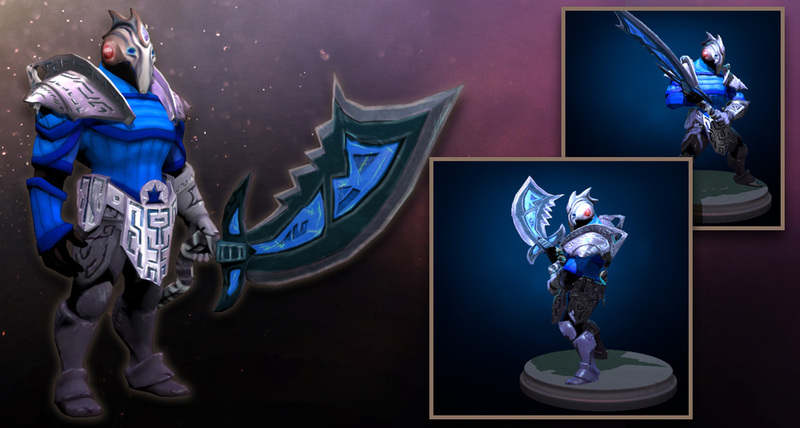 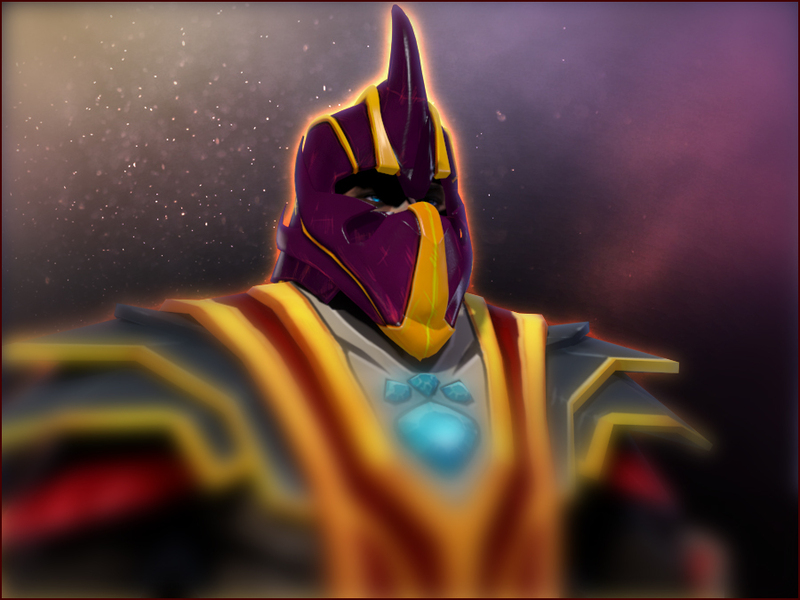 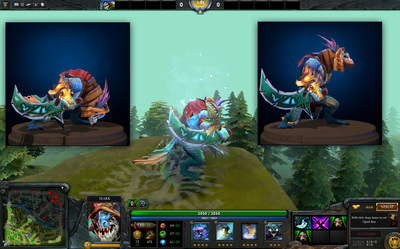 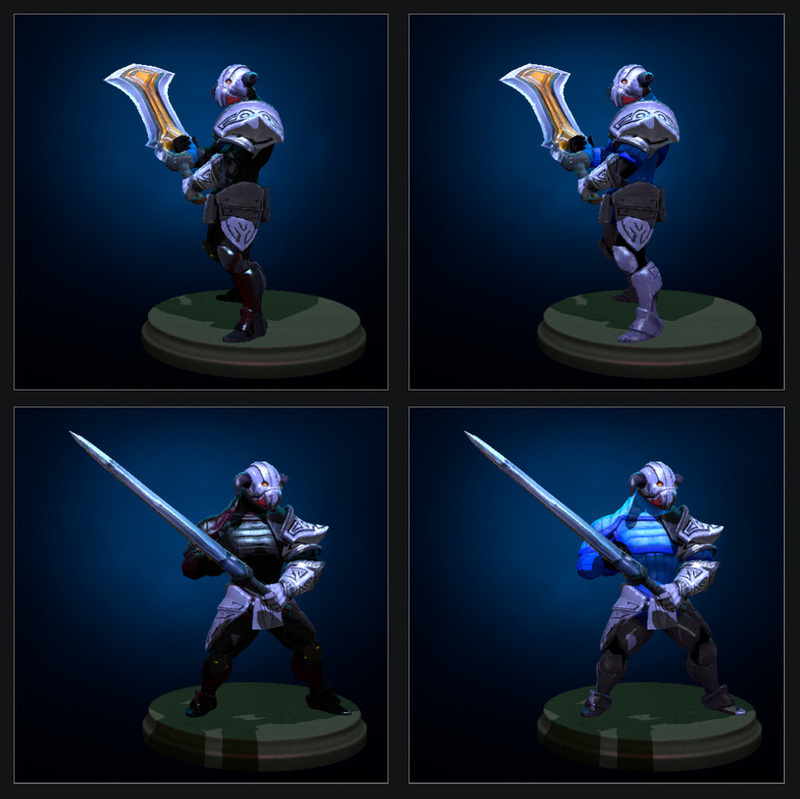 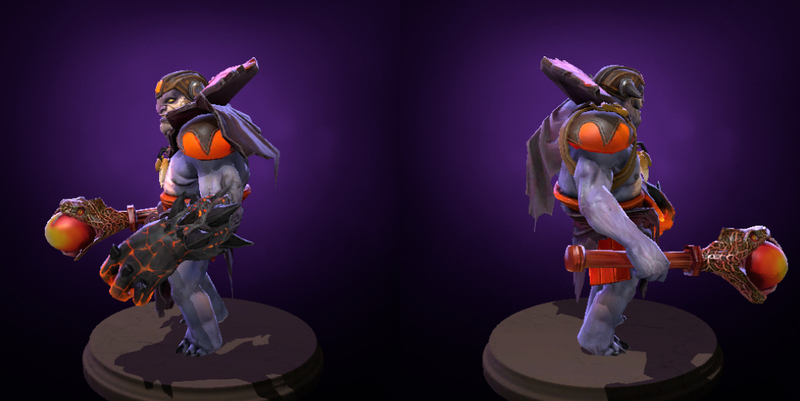 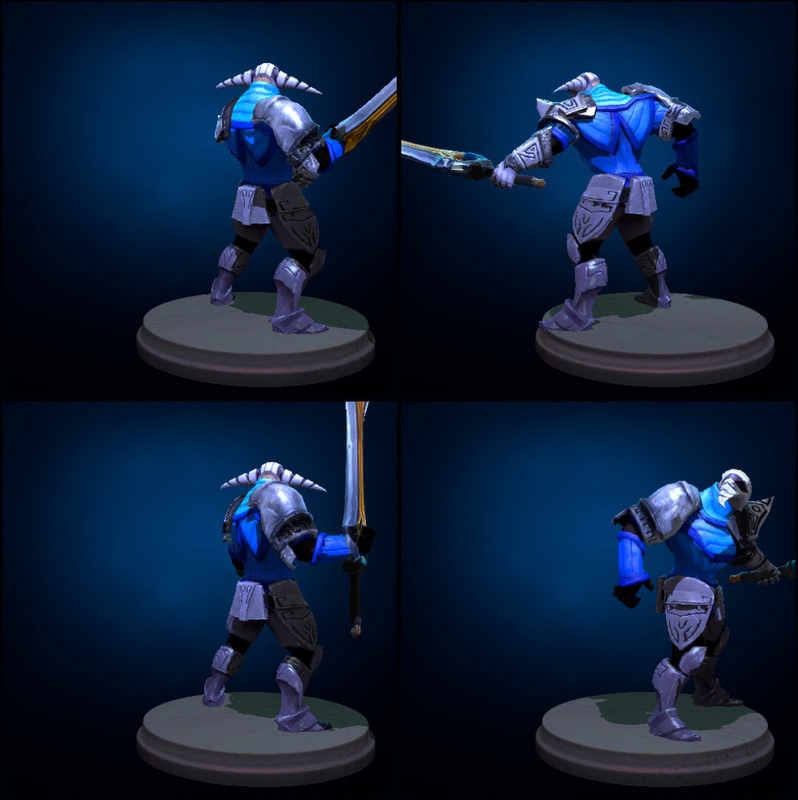 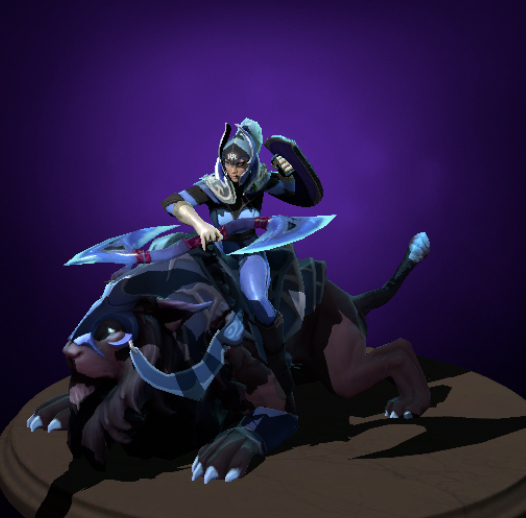 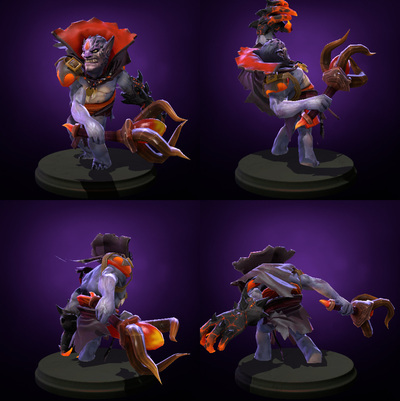 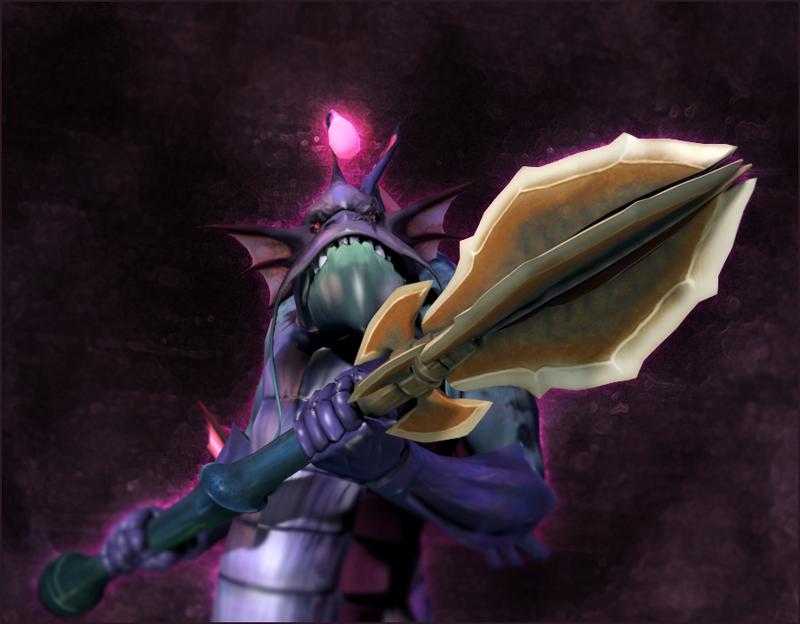 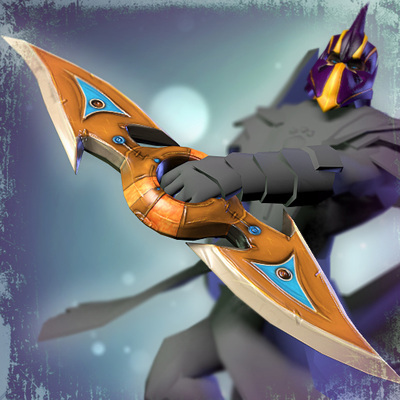 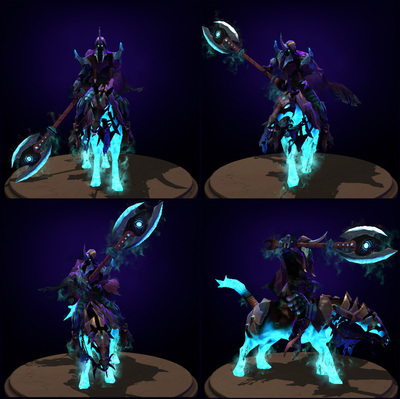 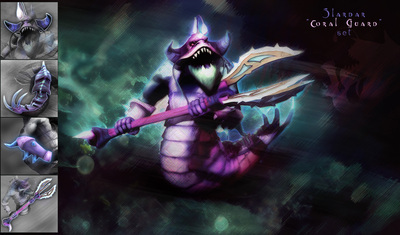 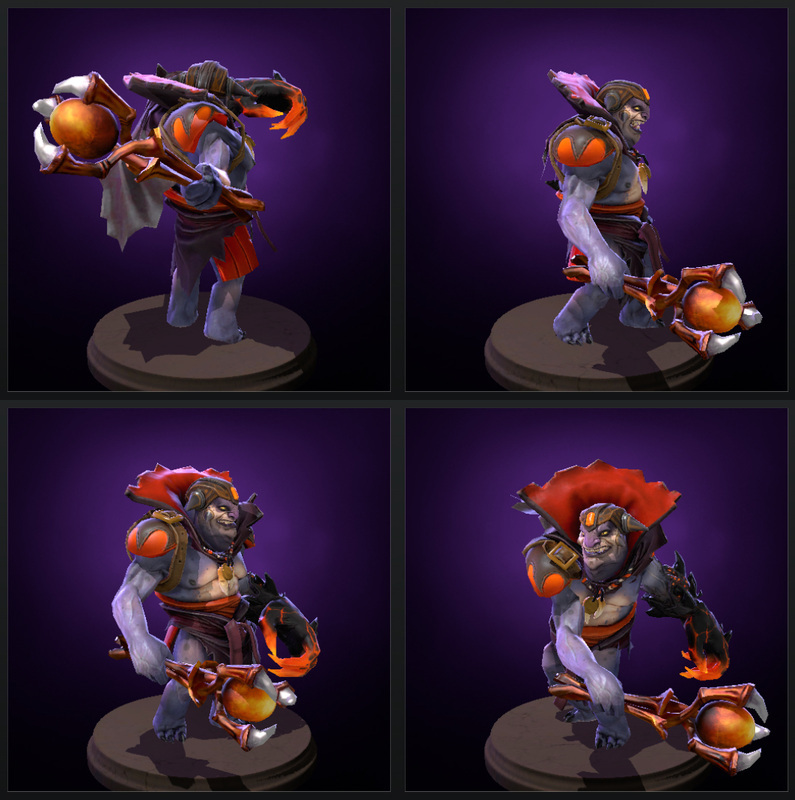 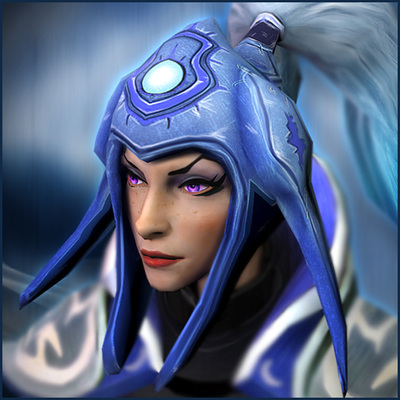 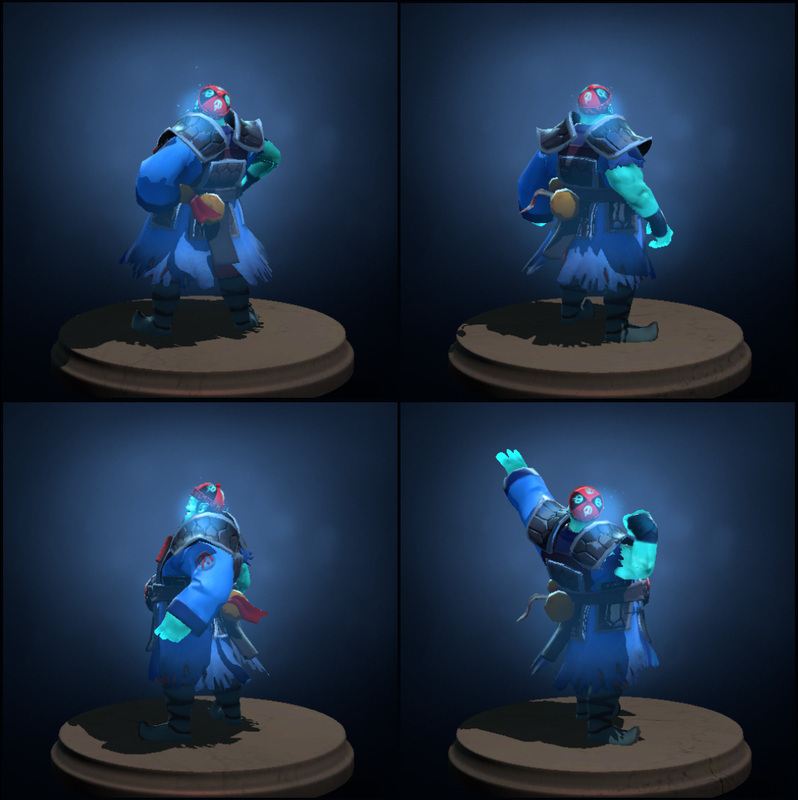 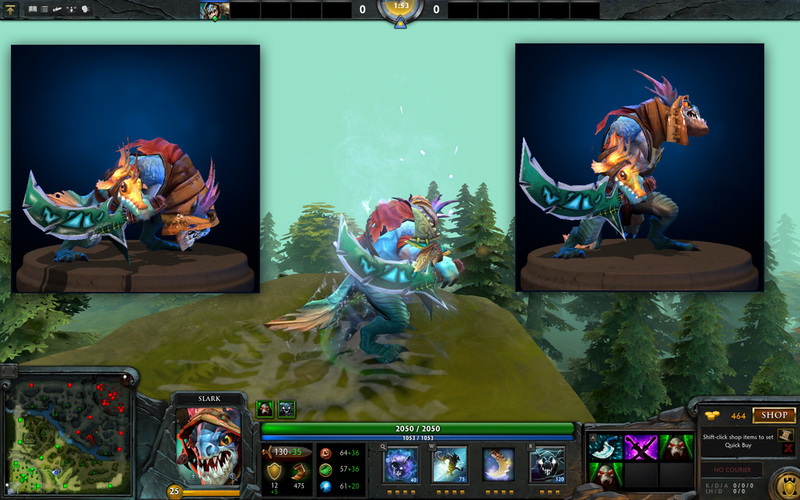 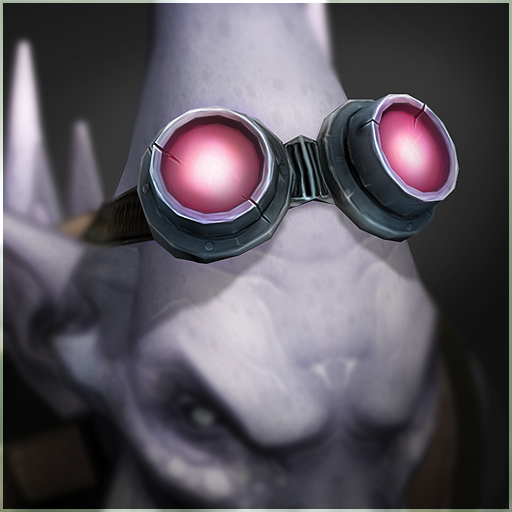 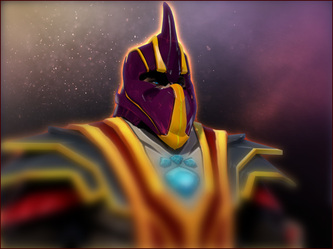 Slark - "coraline gift" and "abyssal souvenir set"
Sven - "helm of the enlighteneed king" and "helm of the rogue knight"
Slardar- "deep ocean grand revealer"
Silencer- "the helm of silence" and "the star of silence"
Sven - "flameguard oxhidized set"